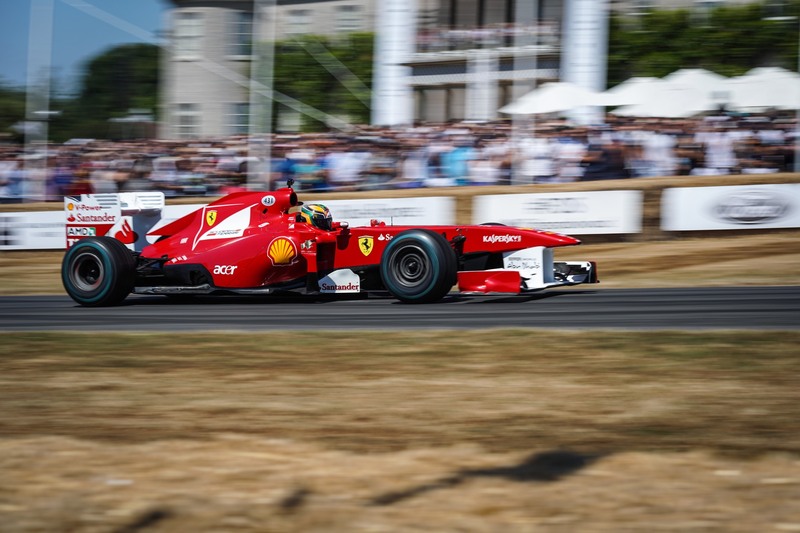 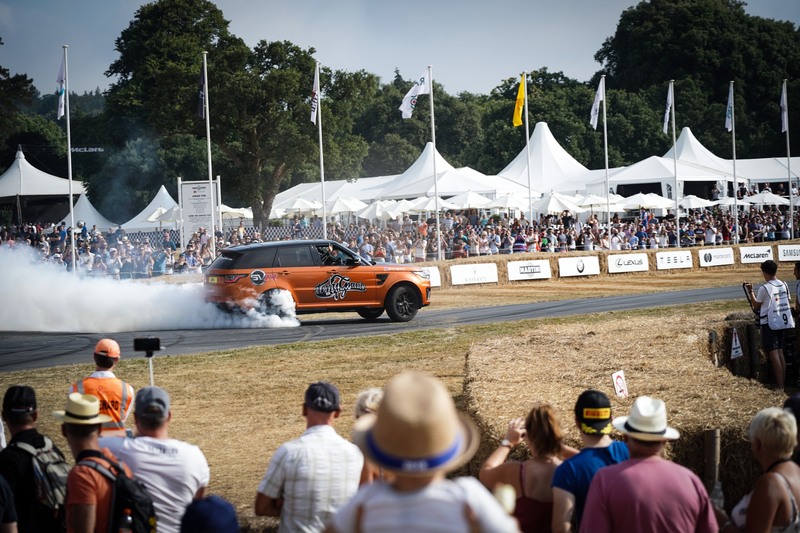 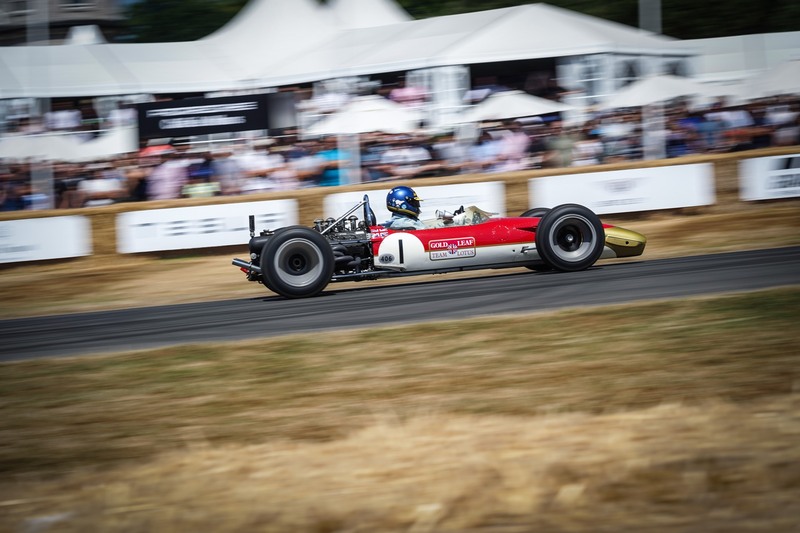 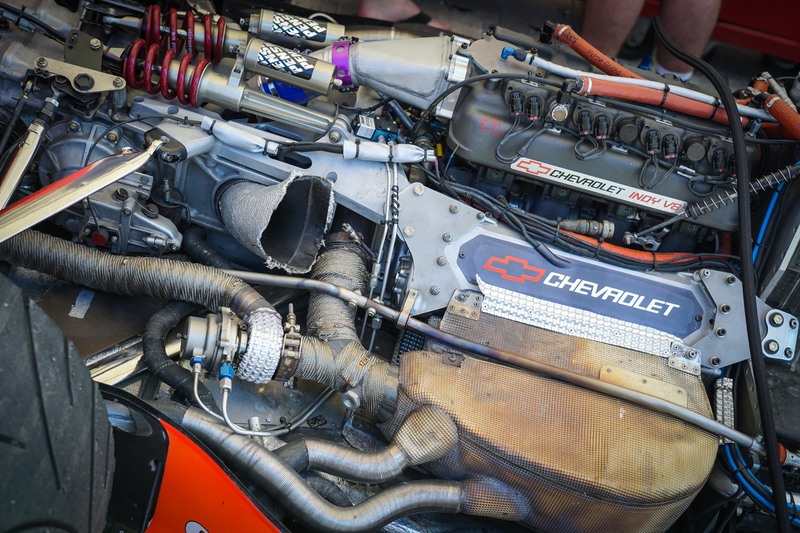 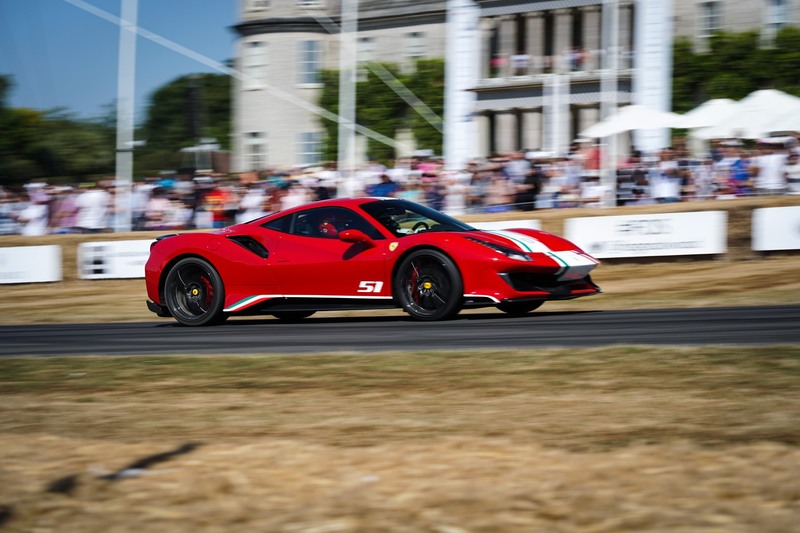 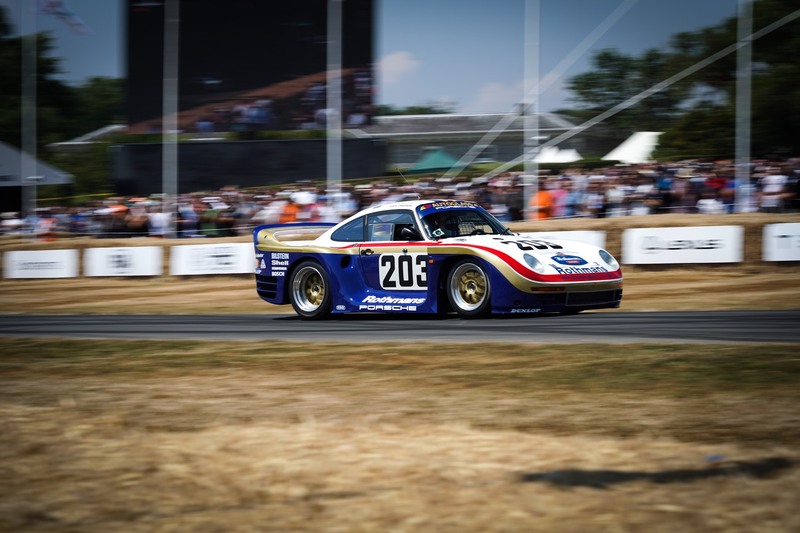 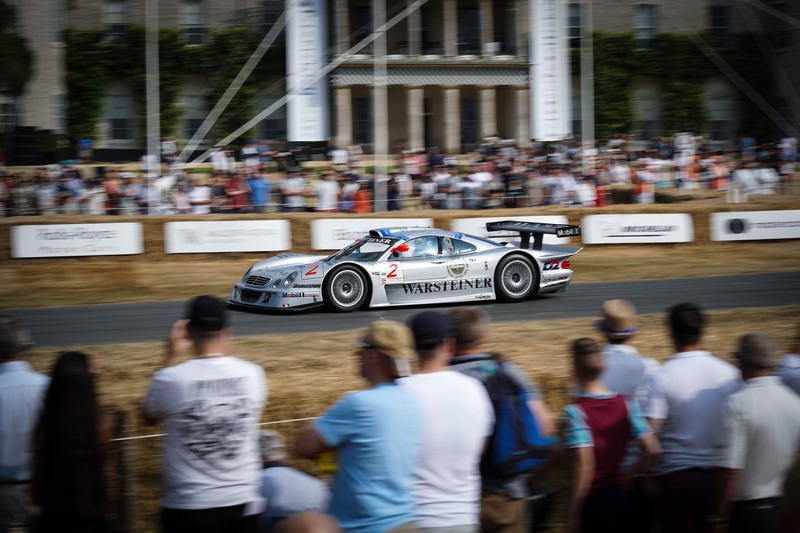 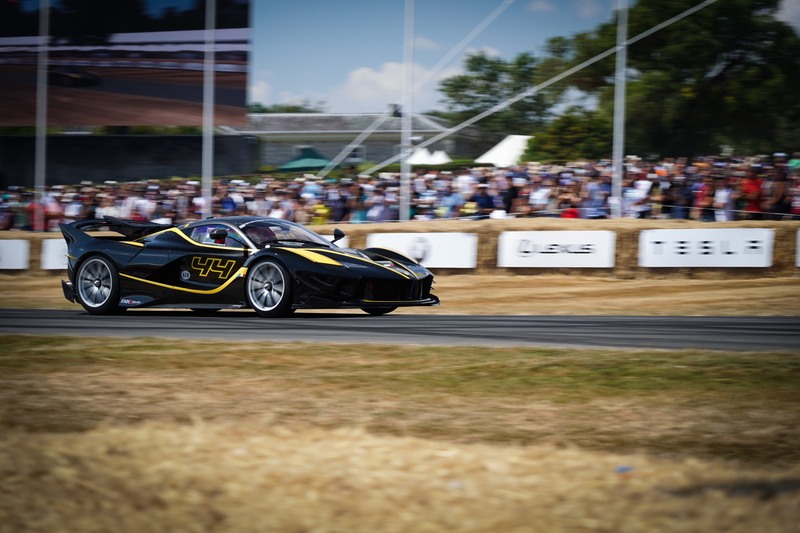 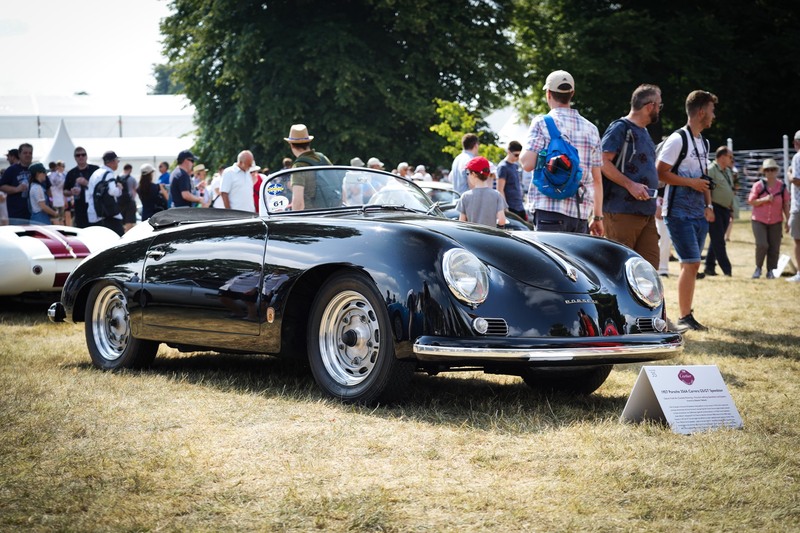 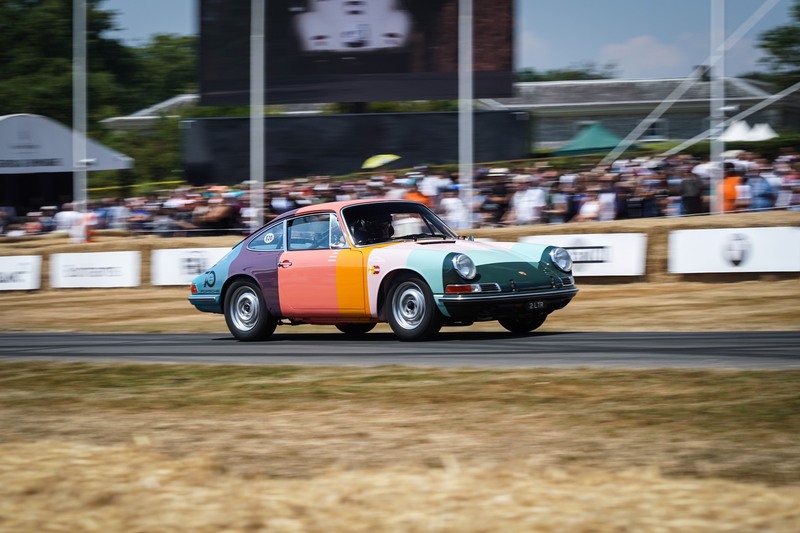 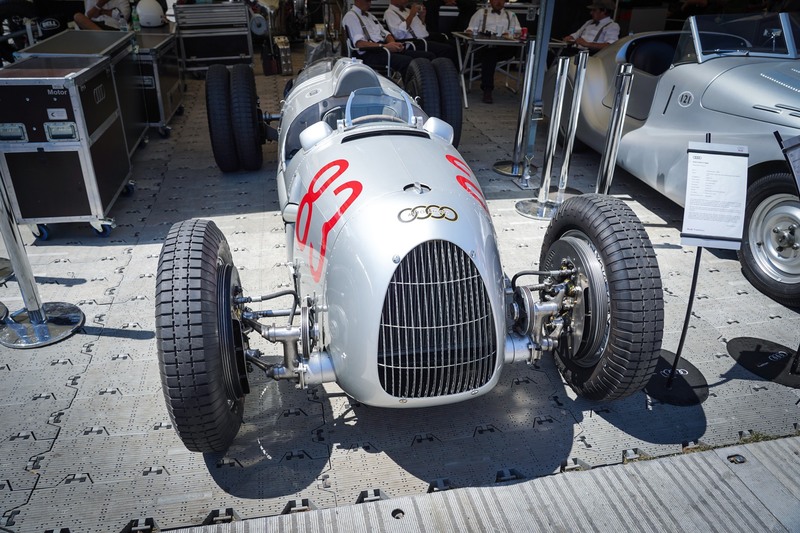 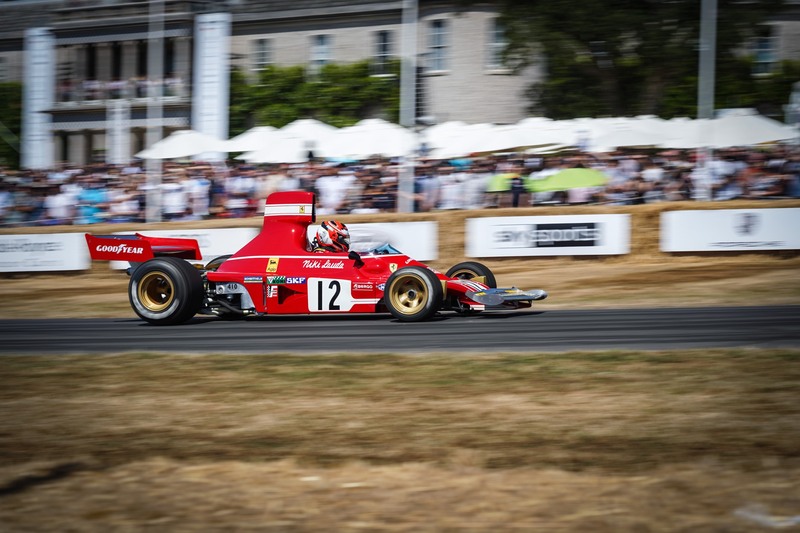 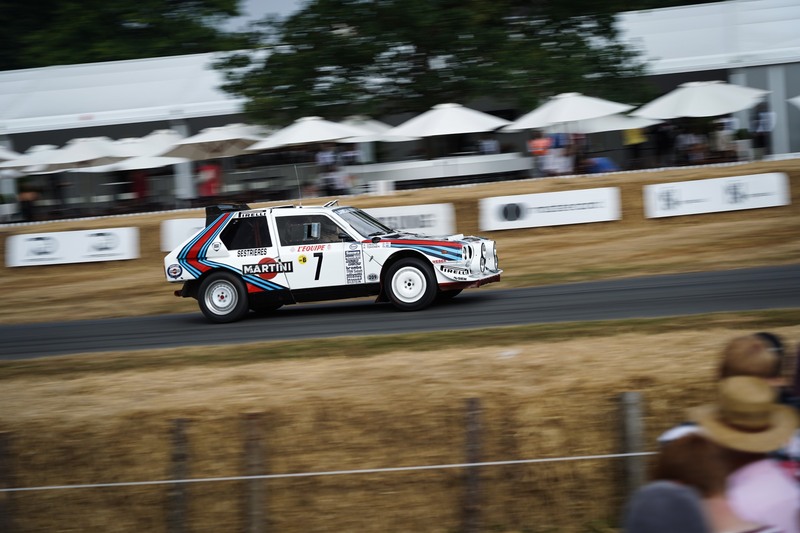 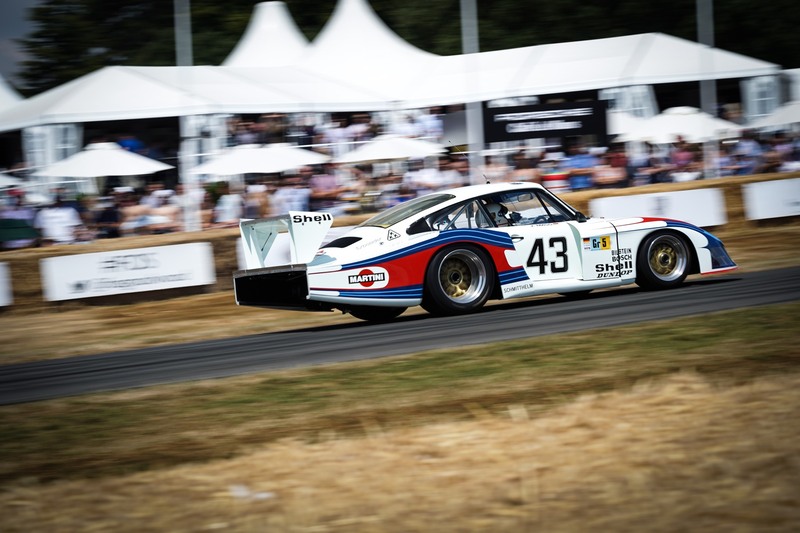 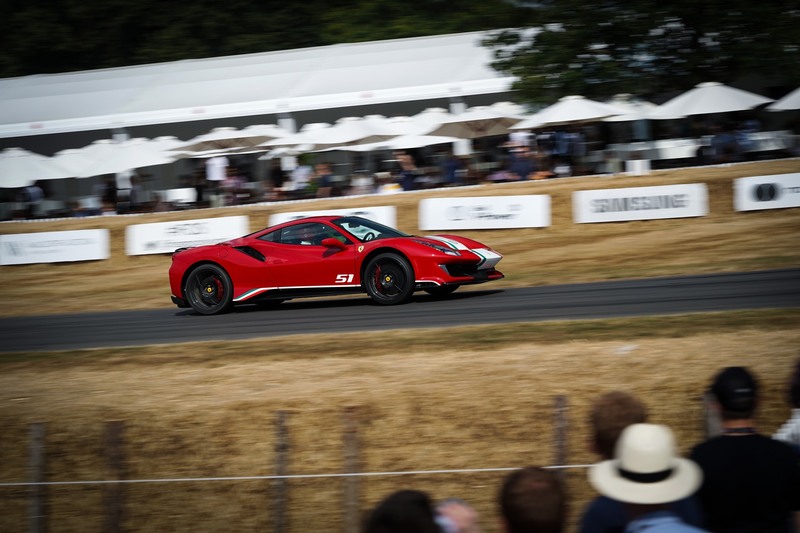 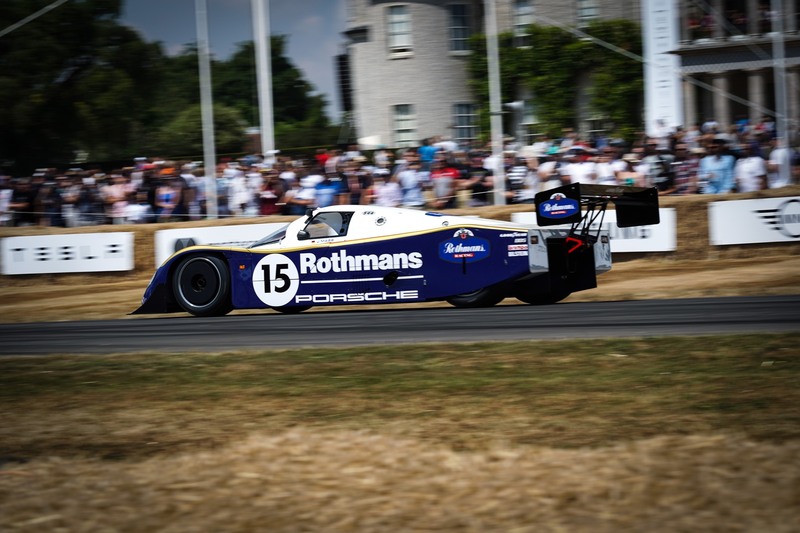 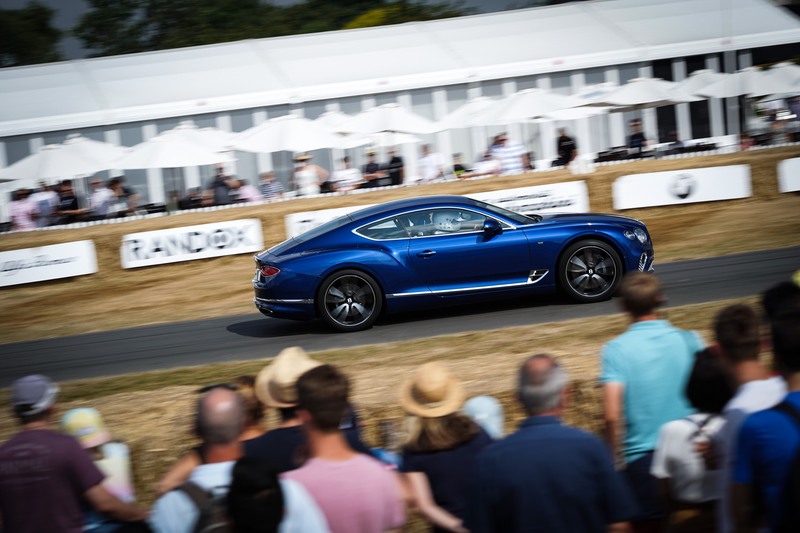 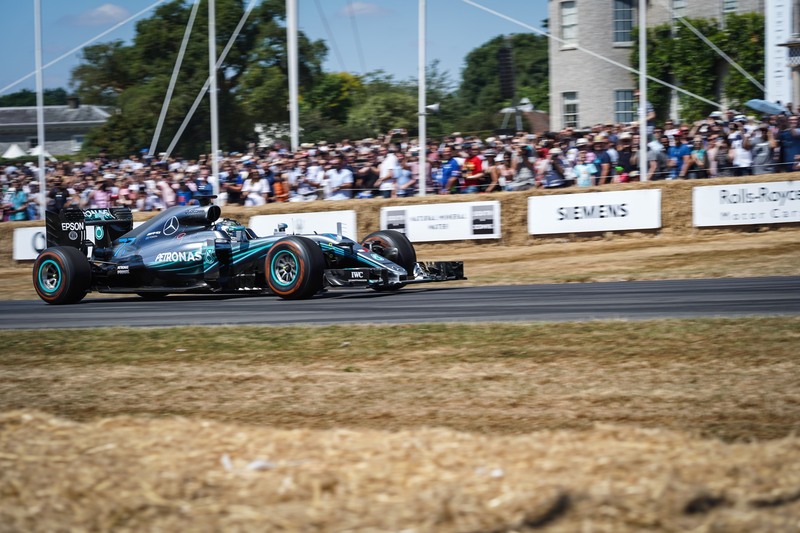 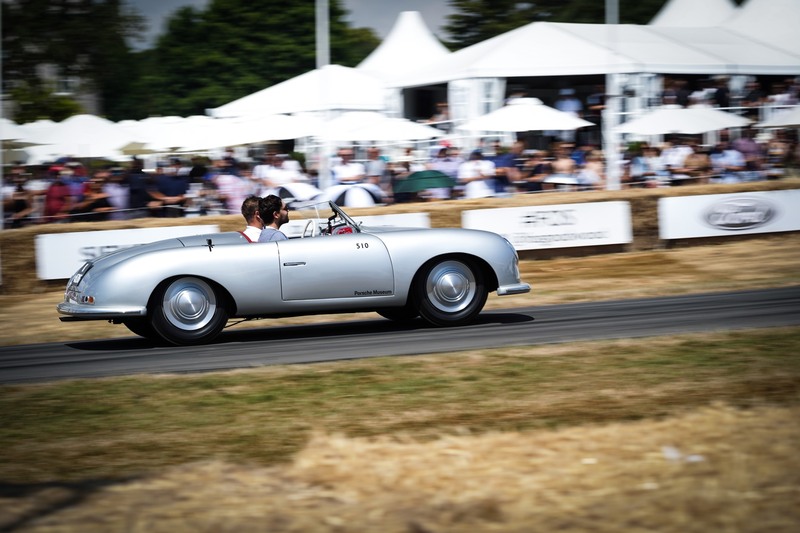 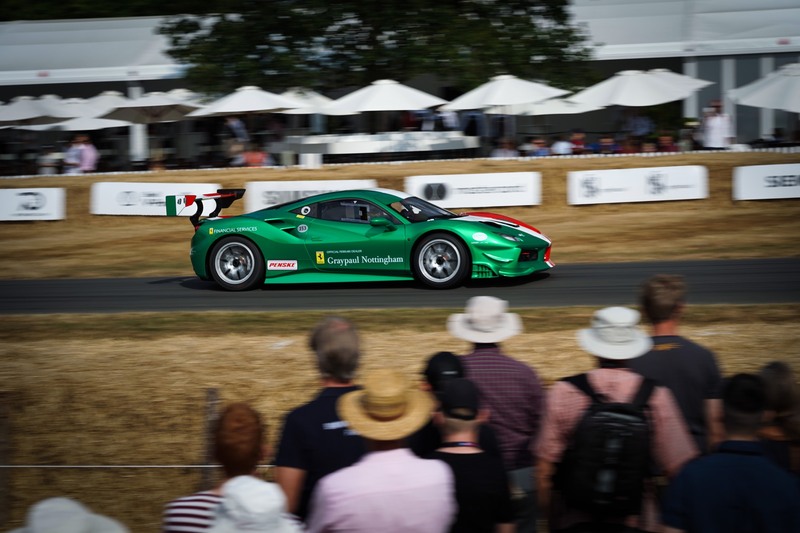 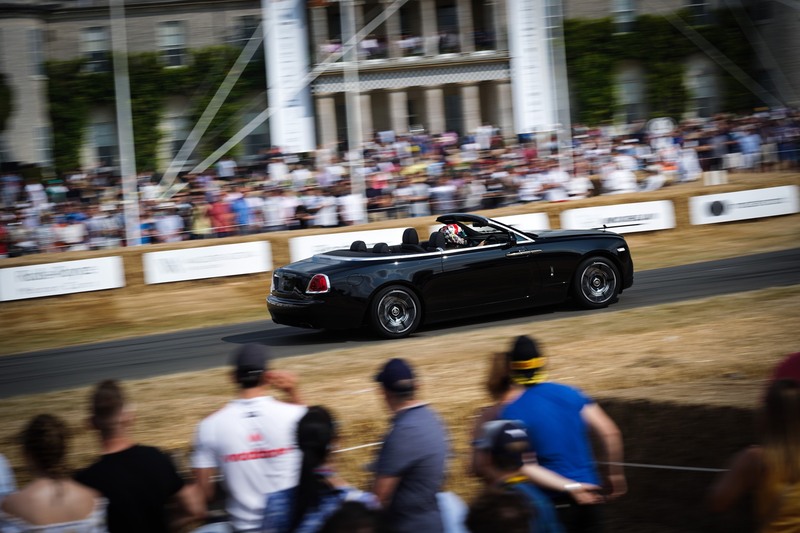 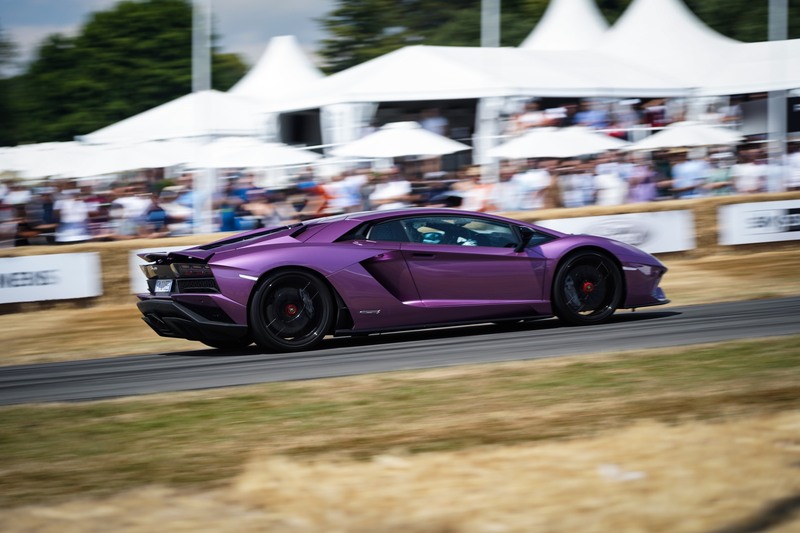 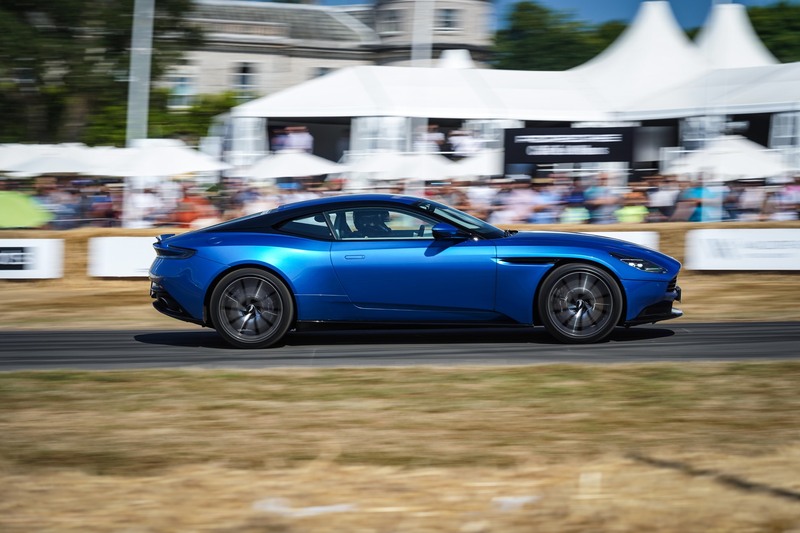 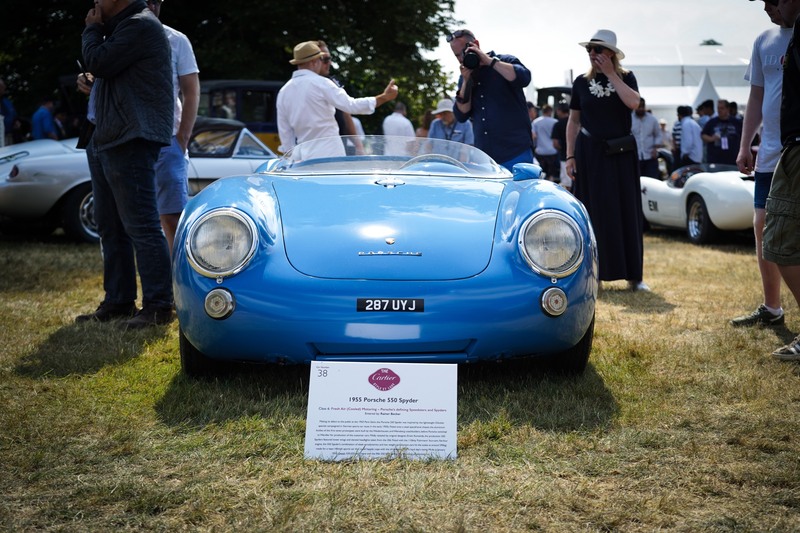 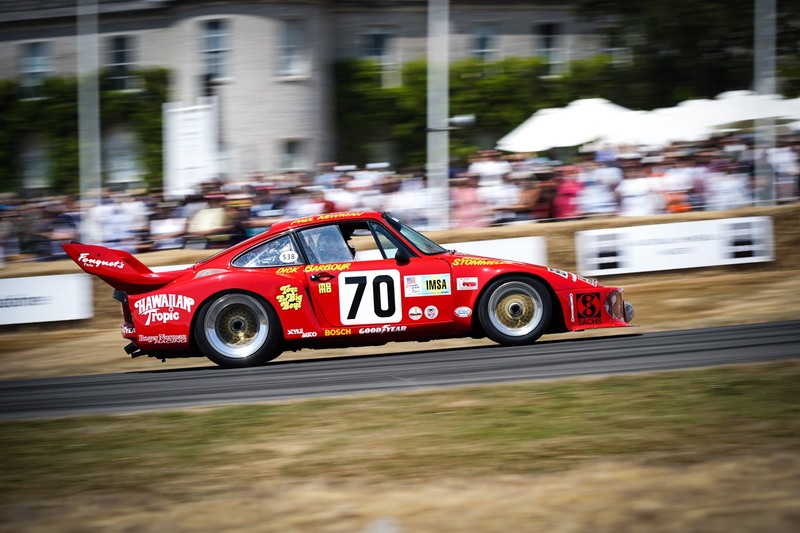 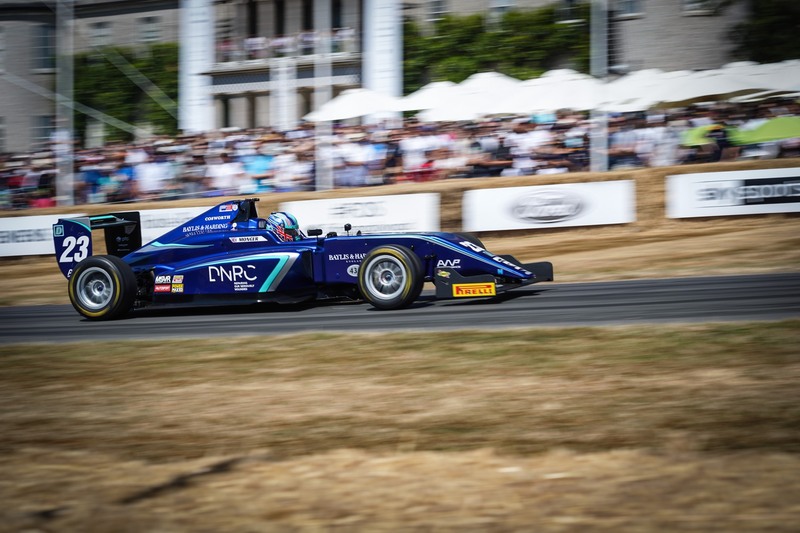 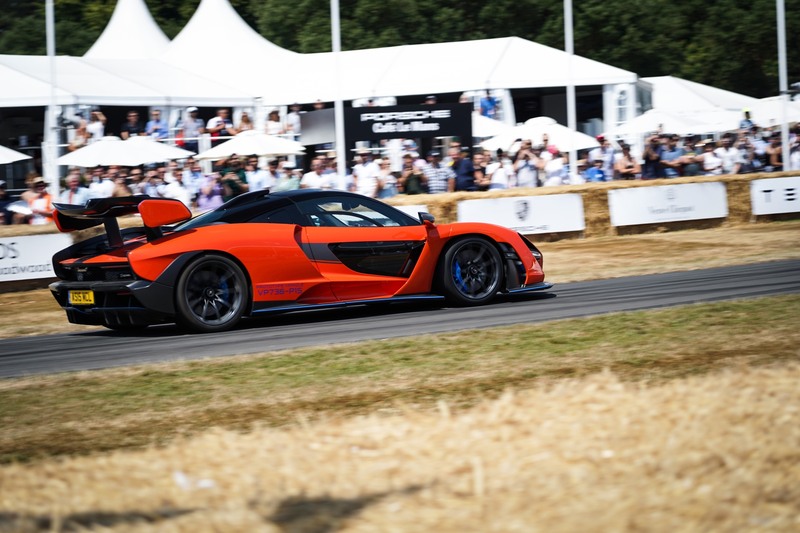 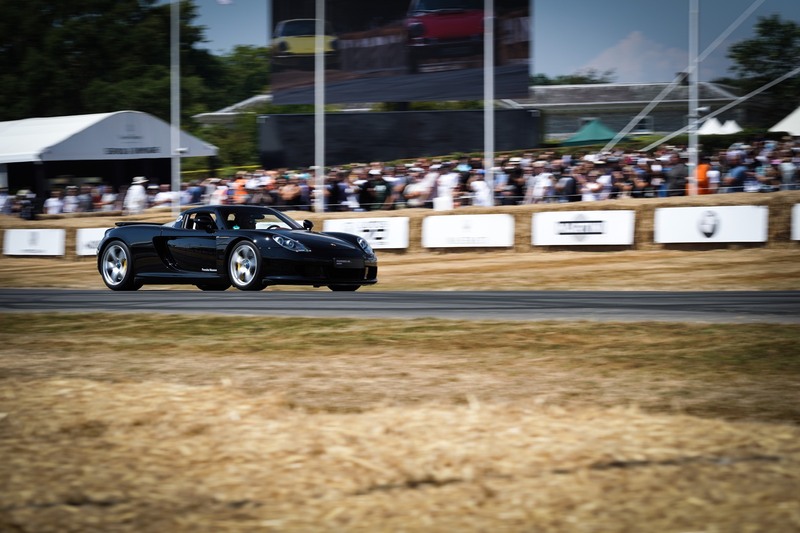 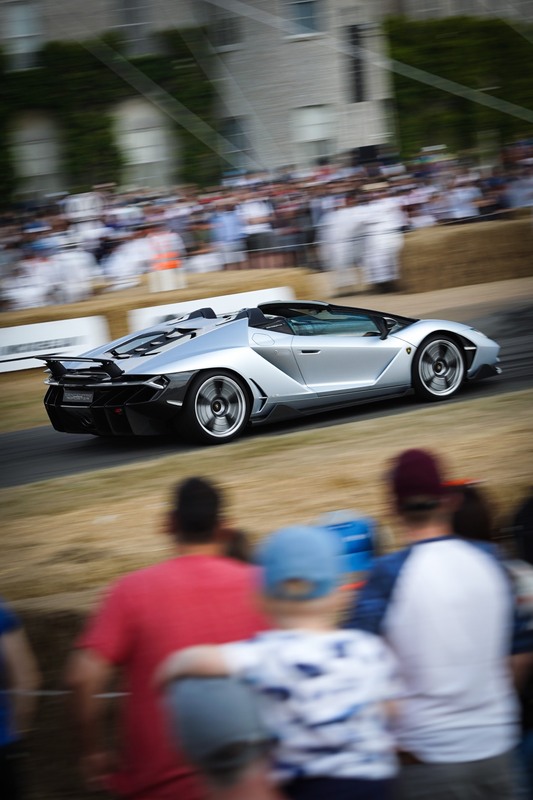 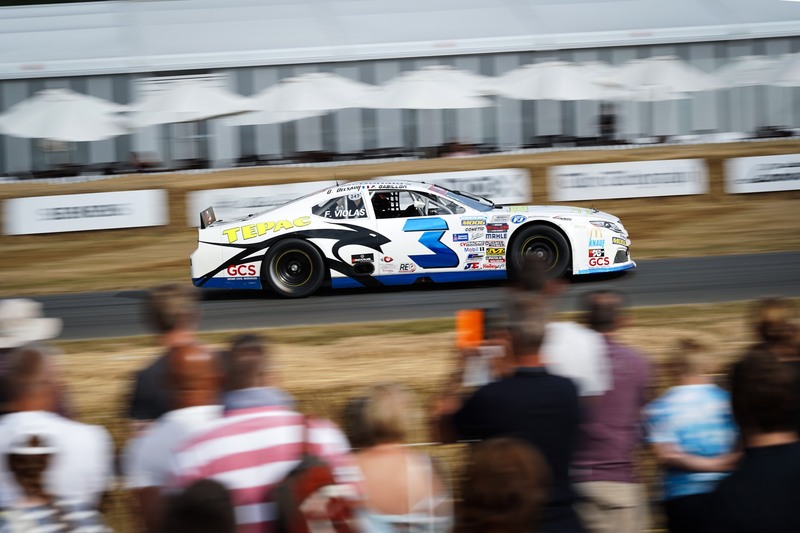 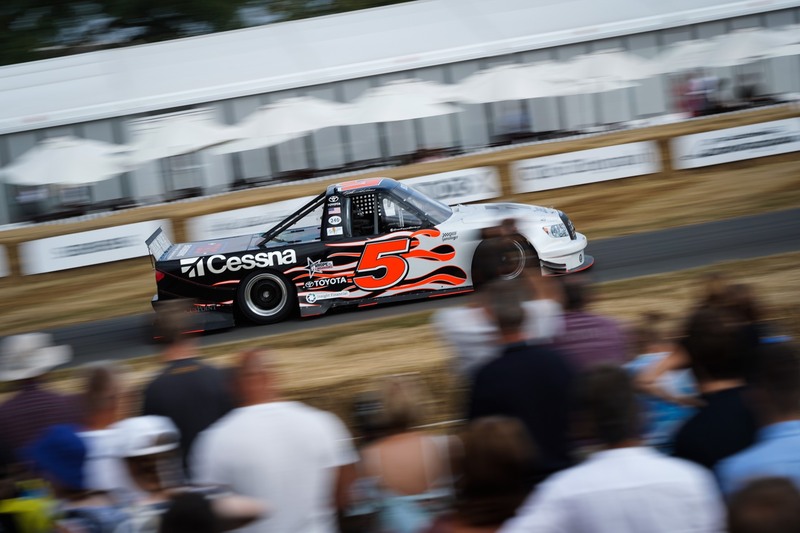 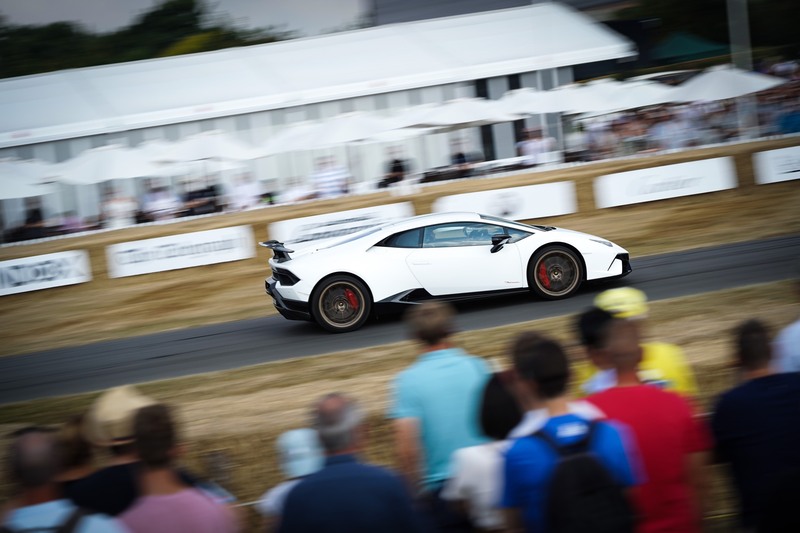 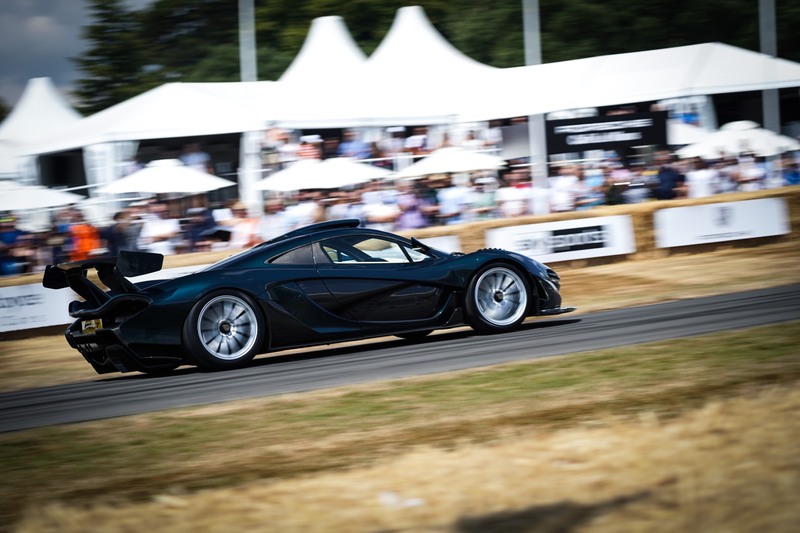 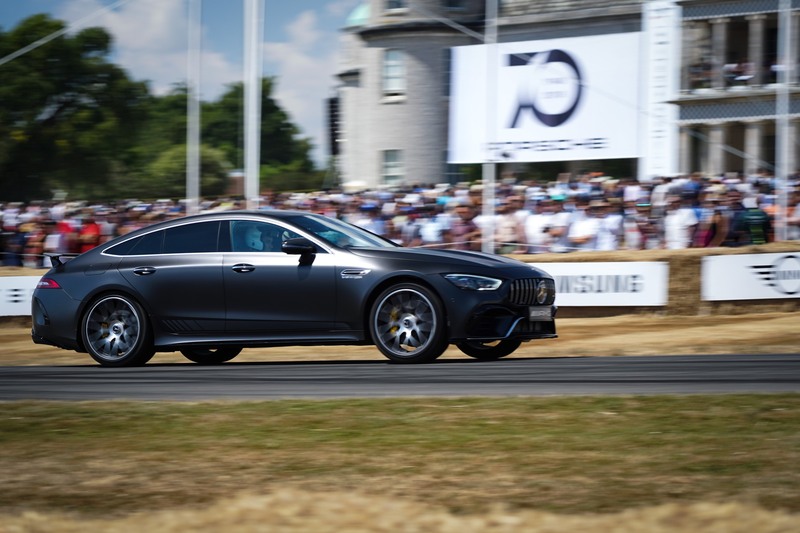 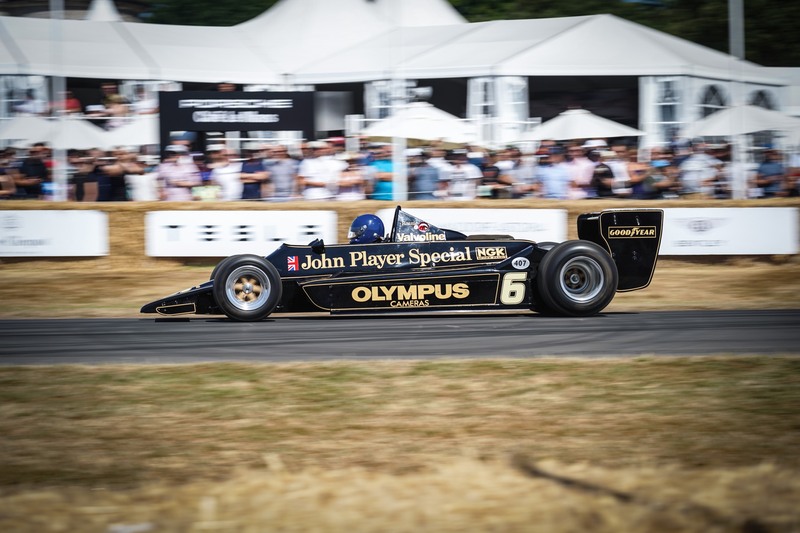 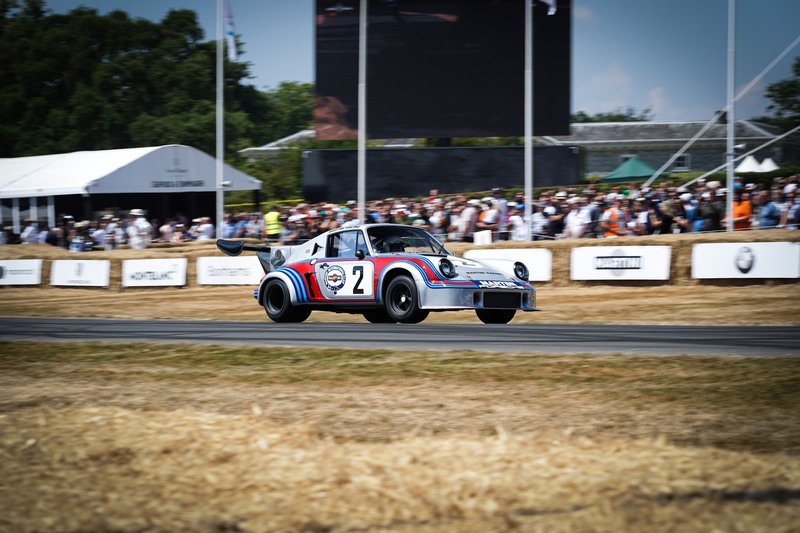 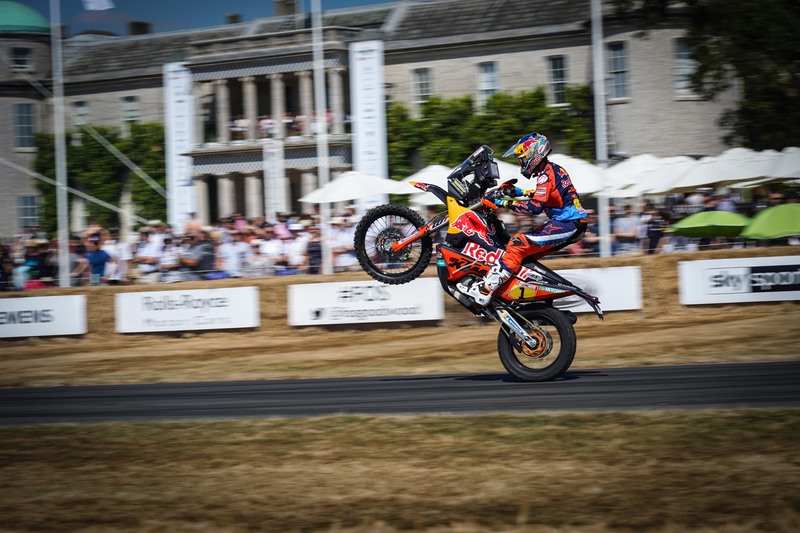 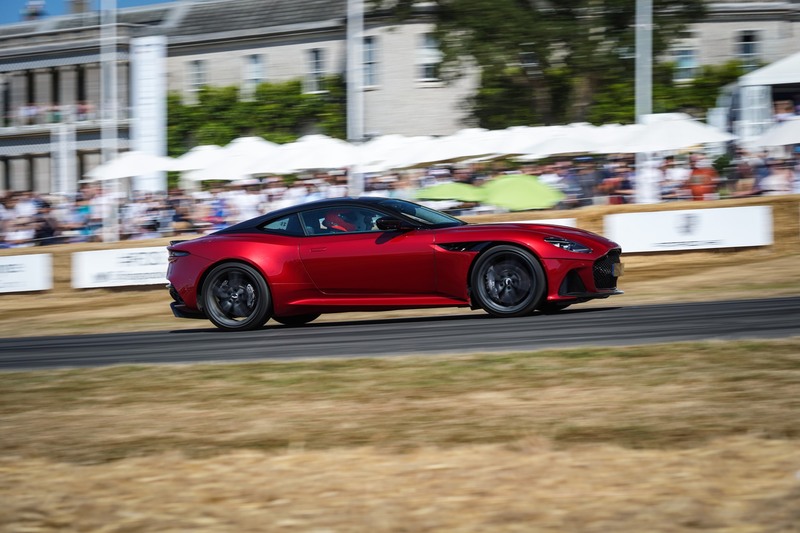 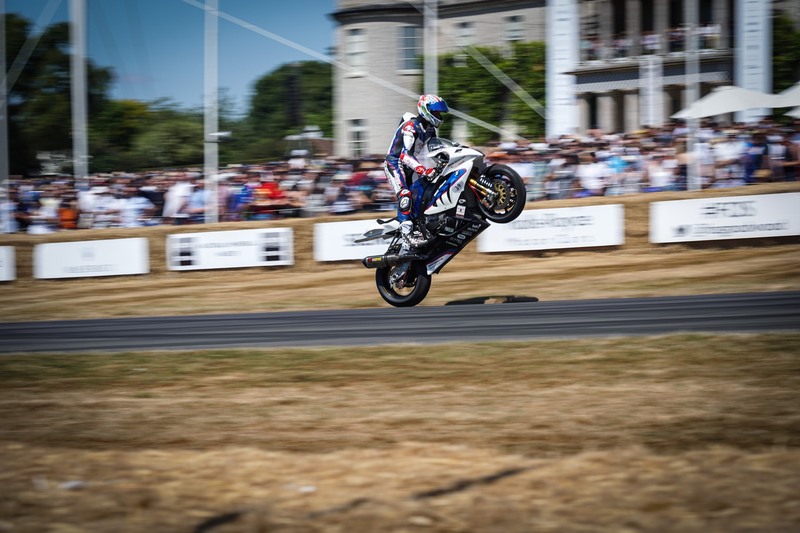 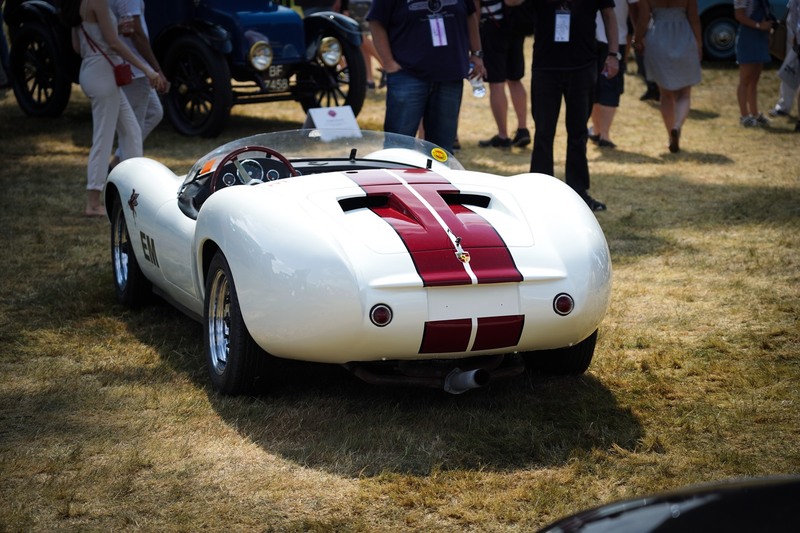 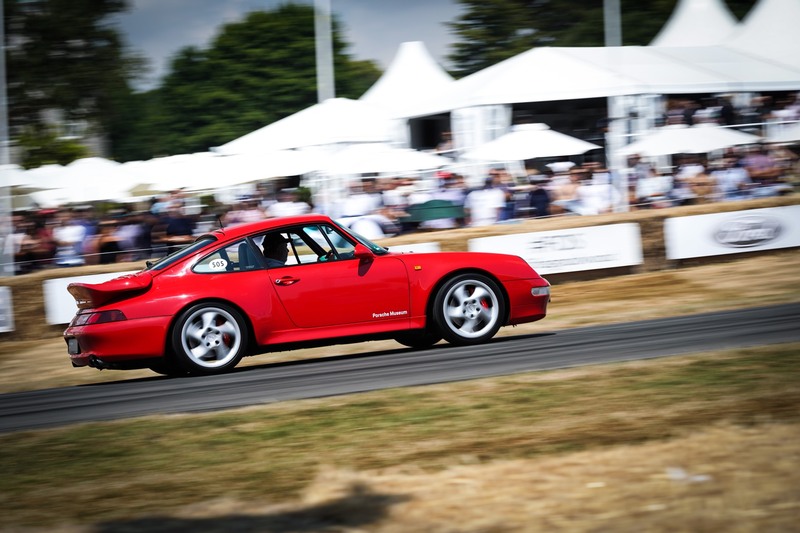 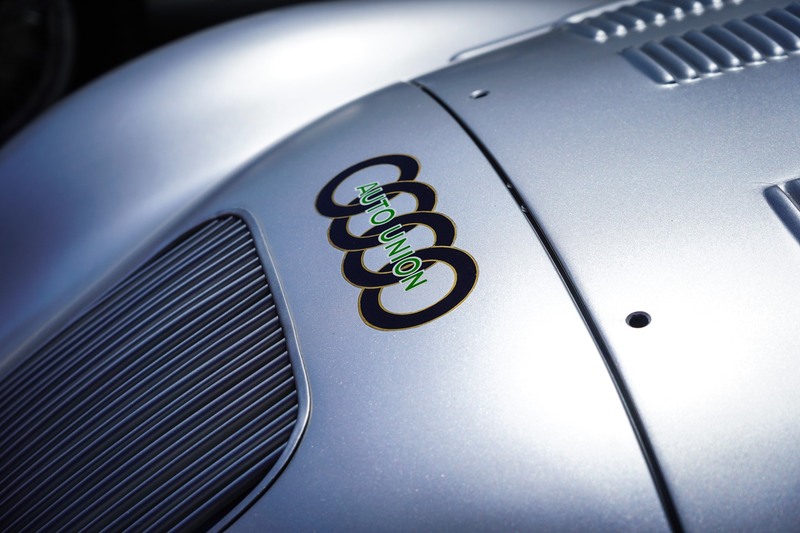 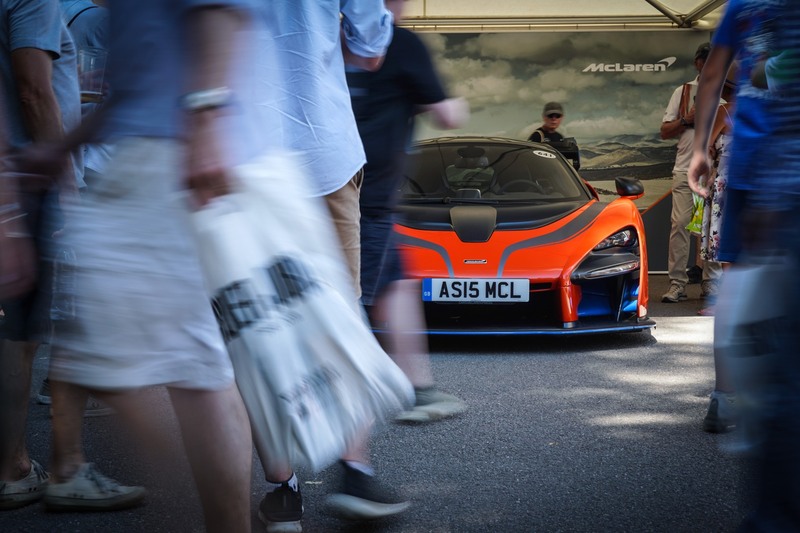 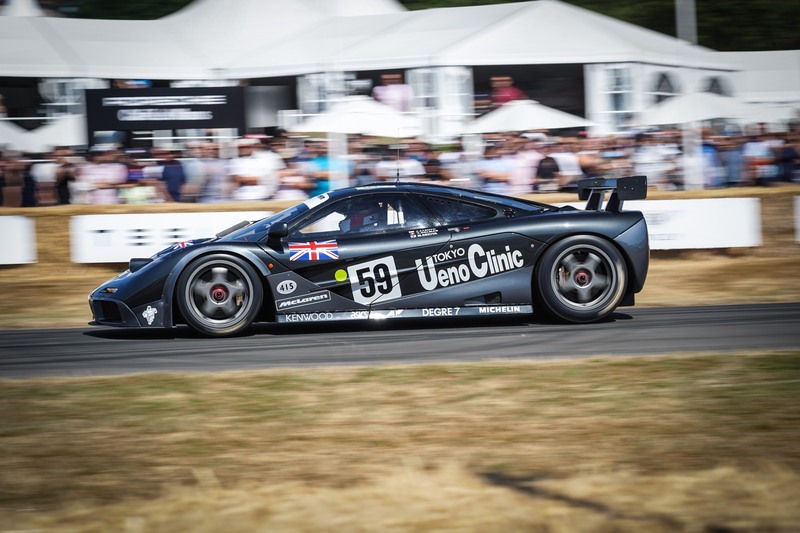 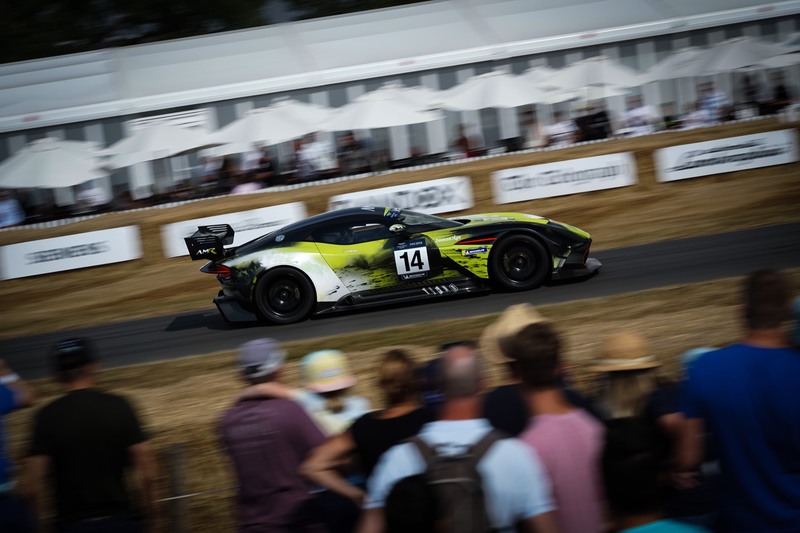 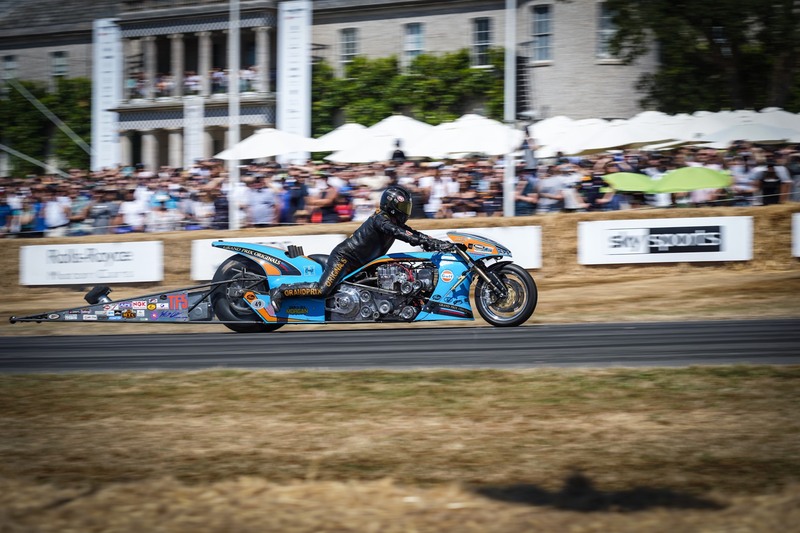 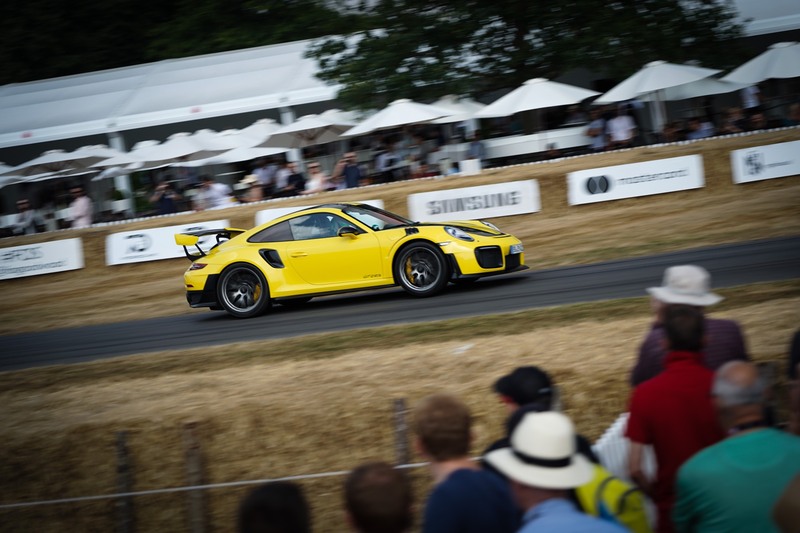 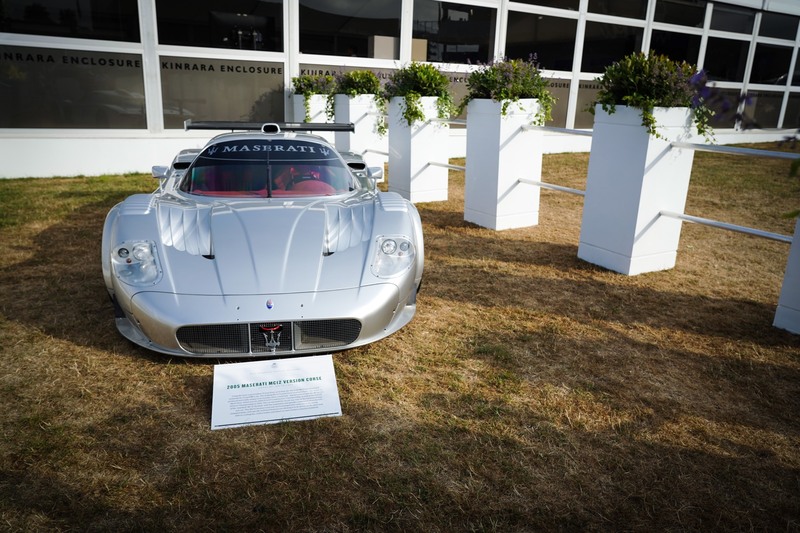 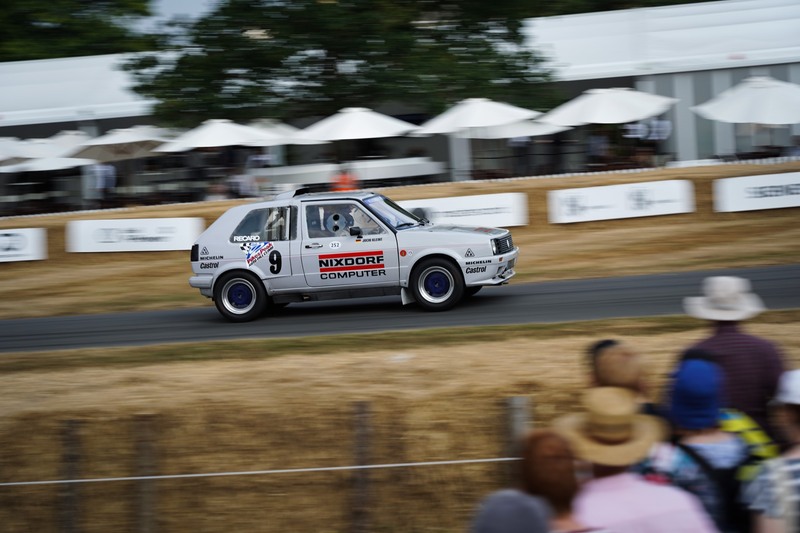 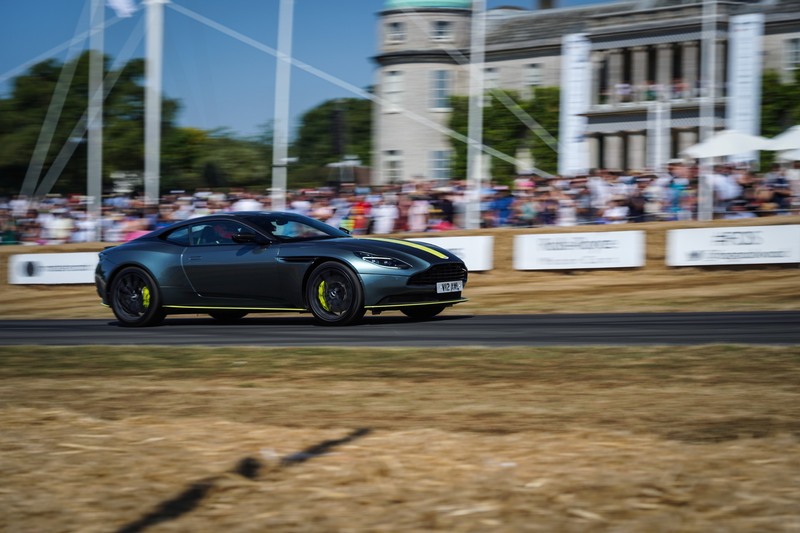 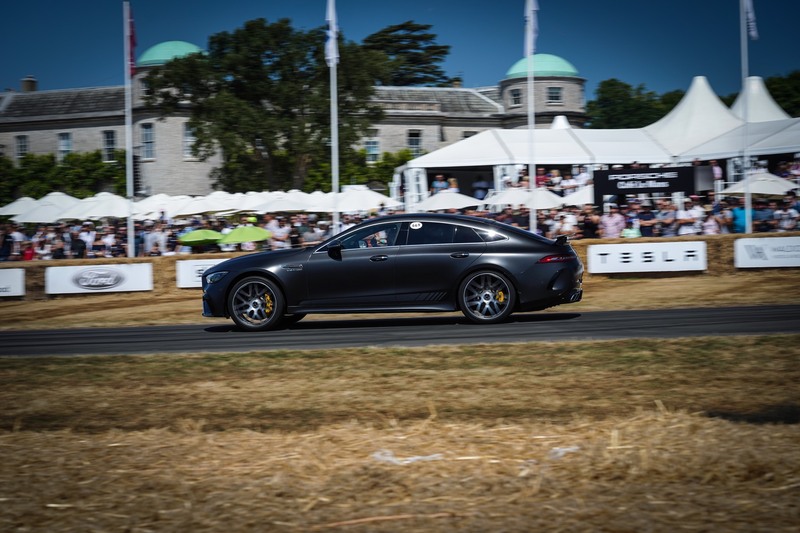 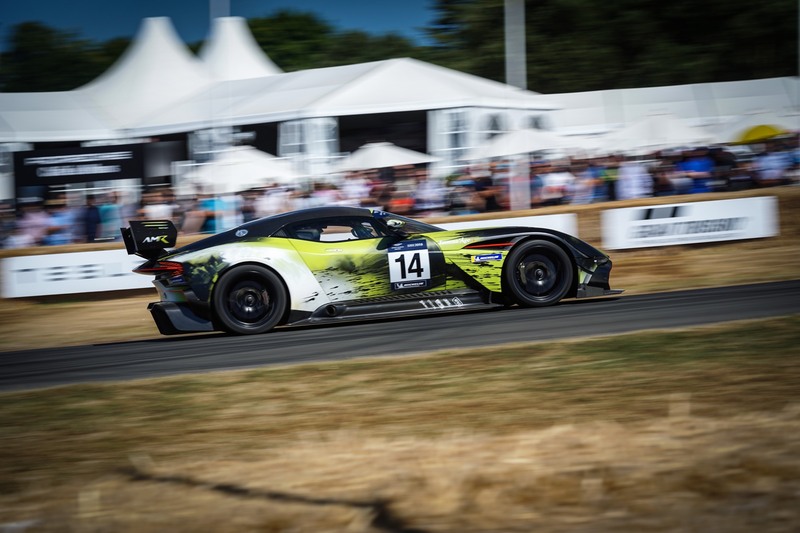 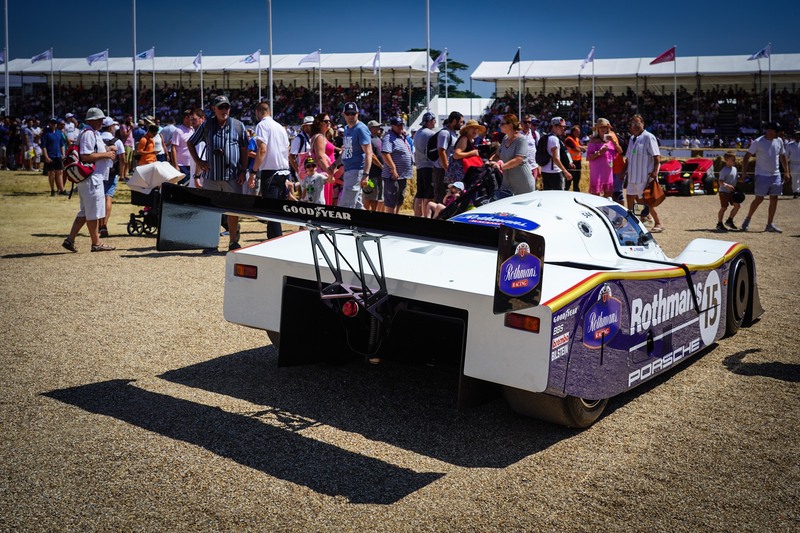 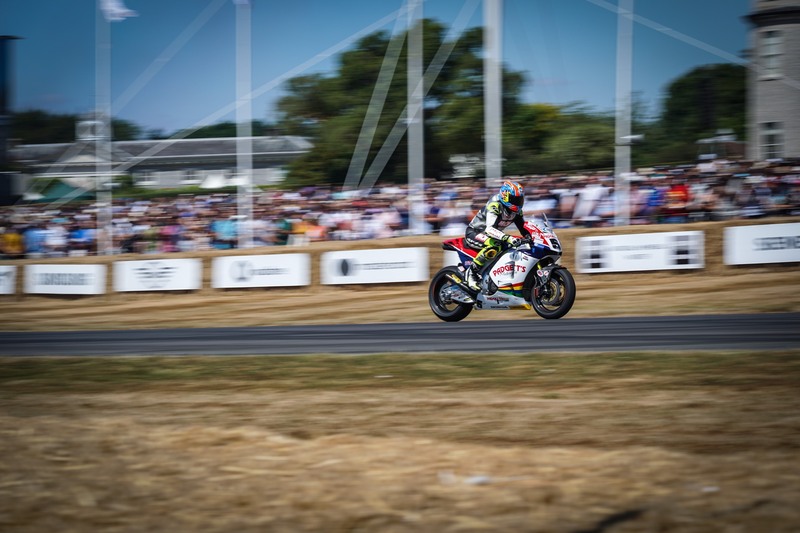 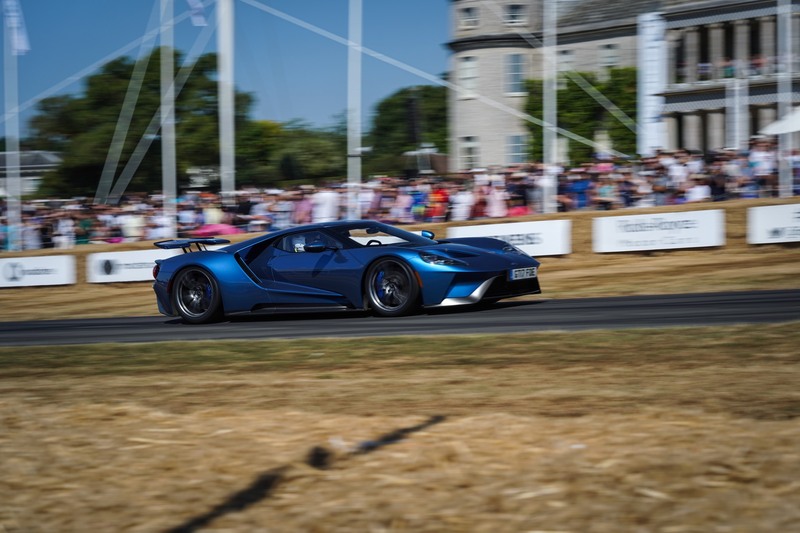 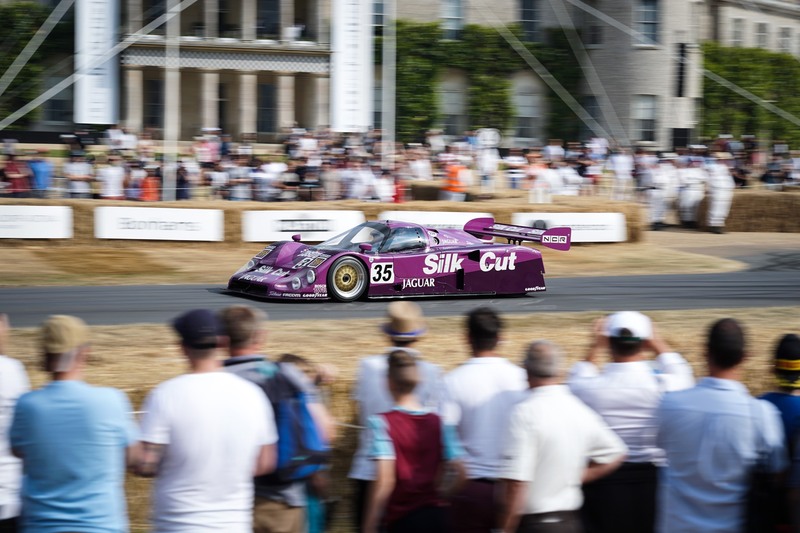 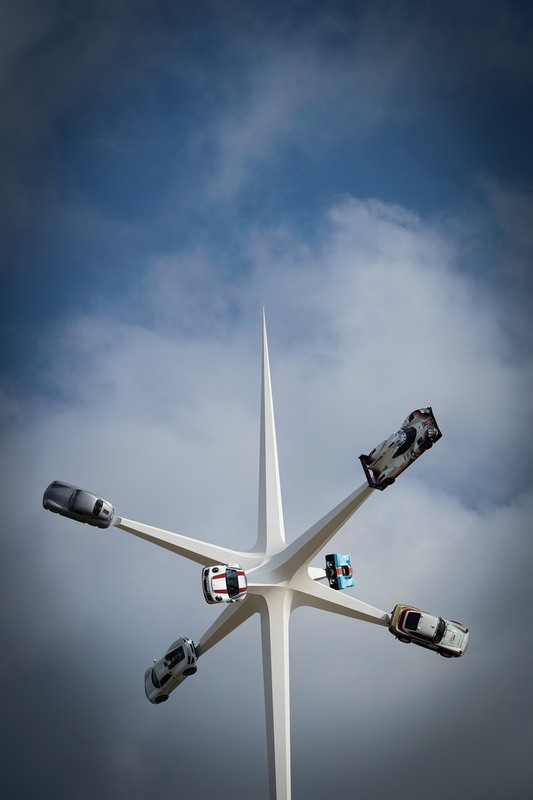 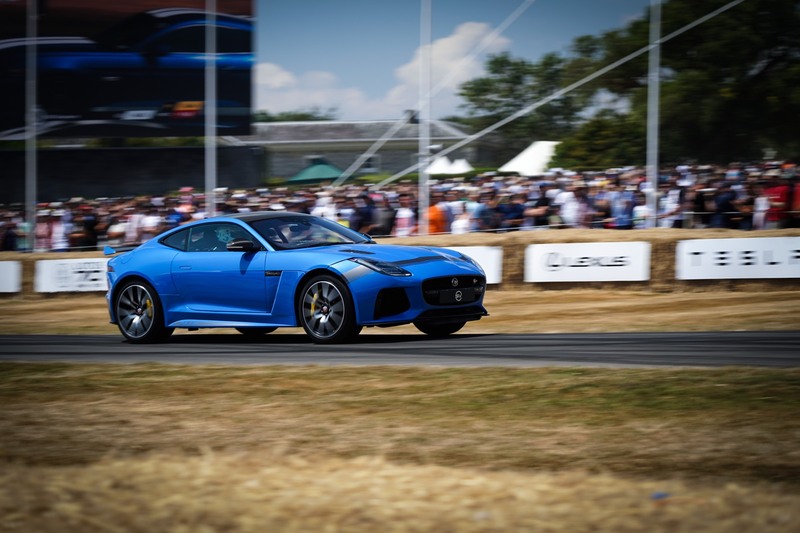 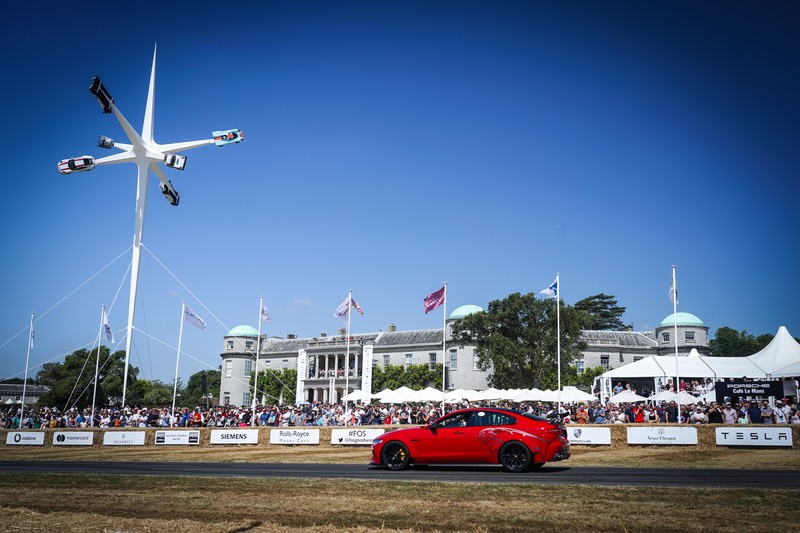 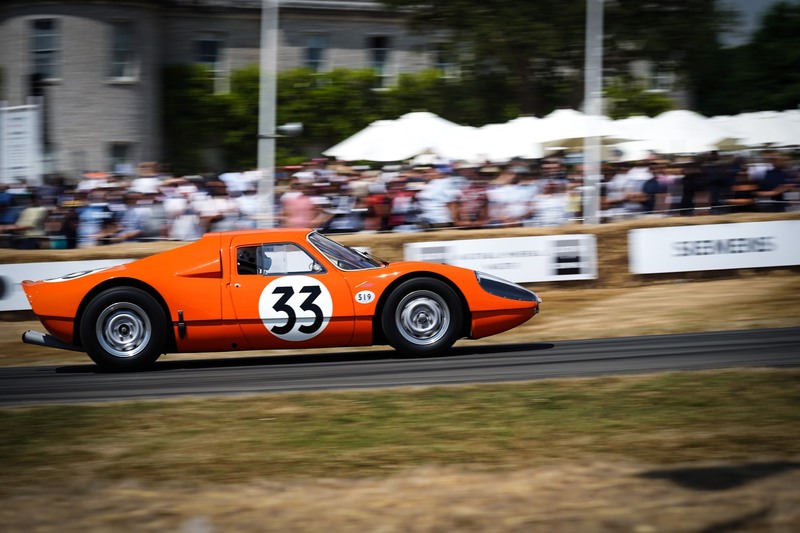 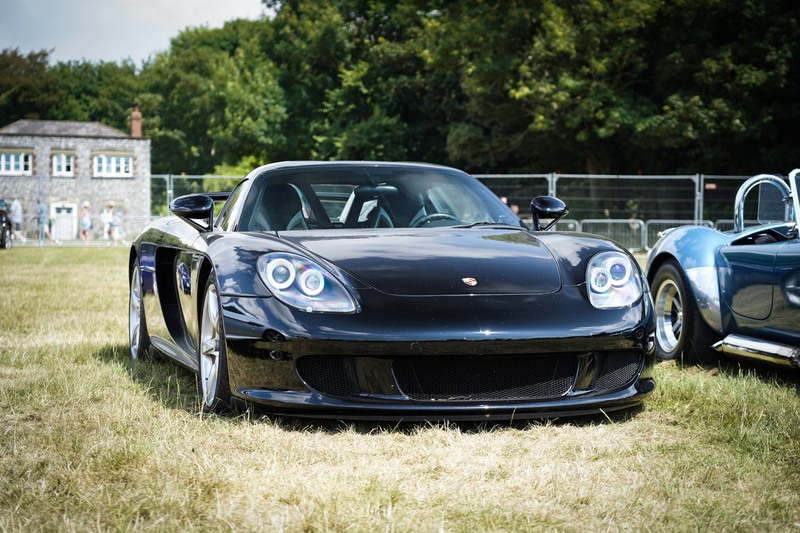 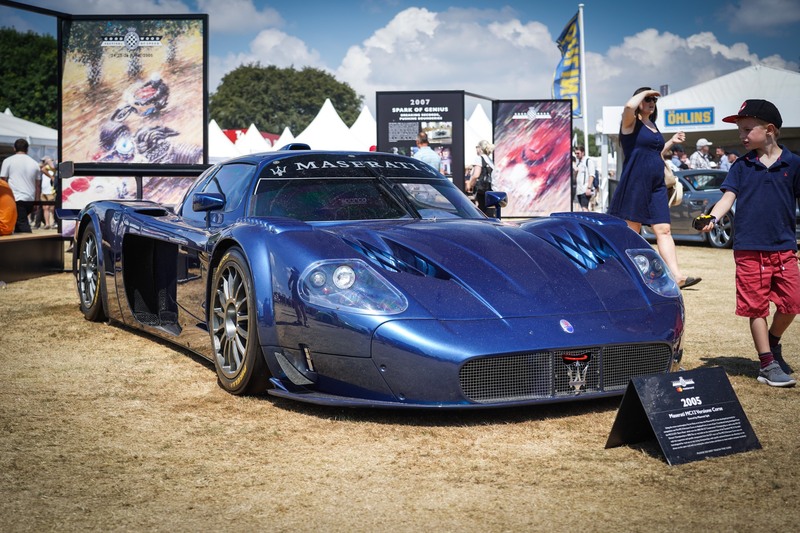 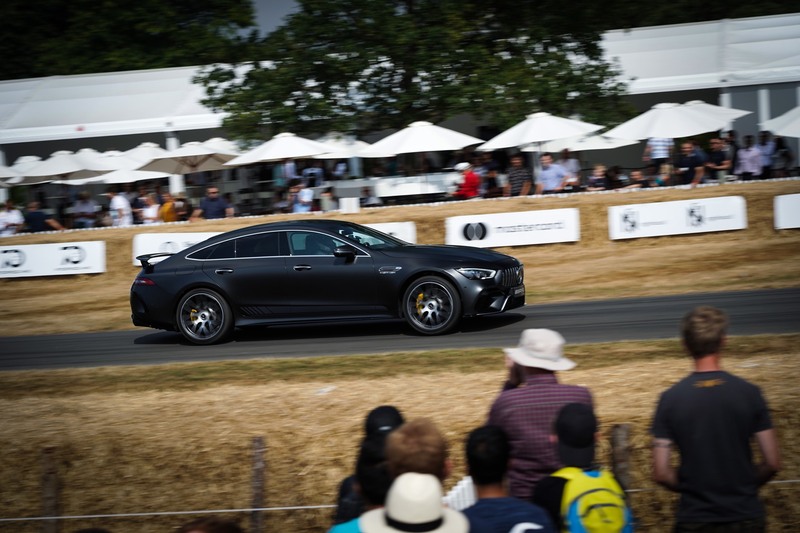 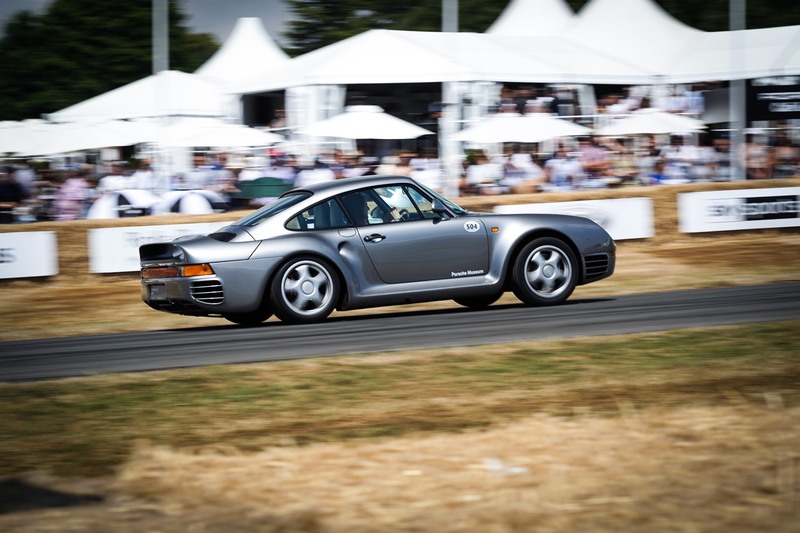 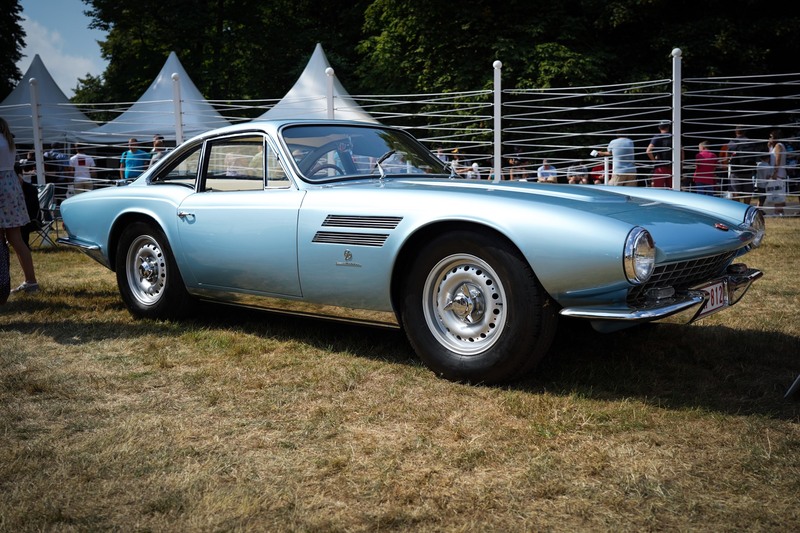 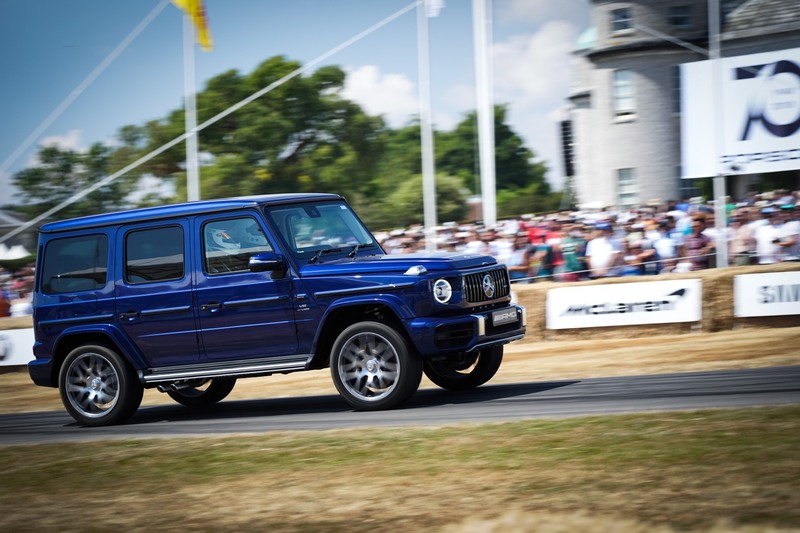 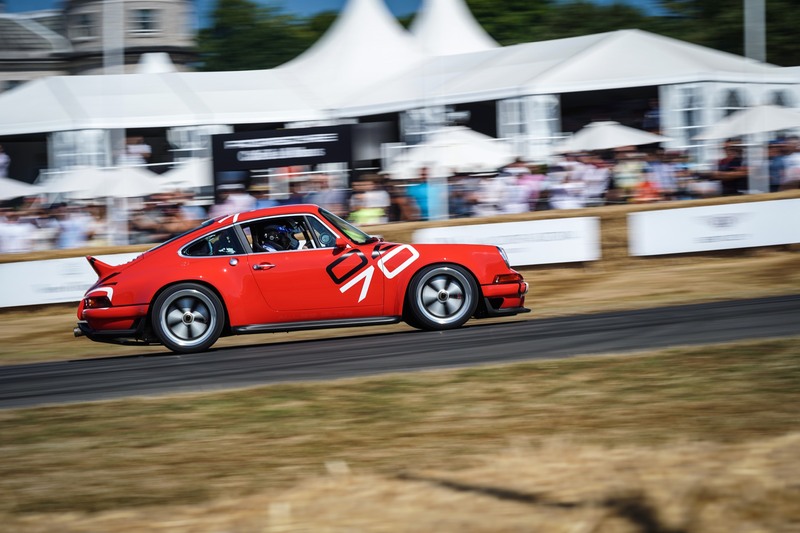 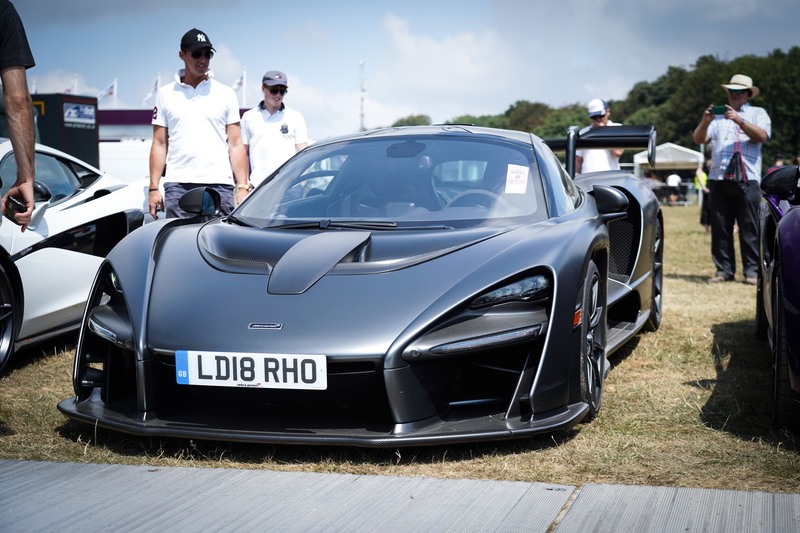 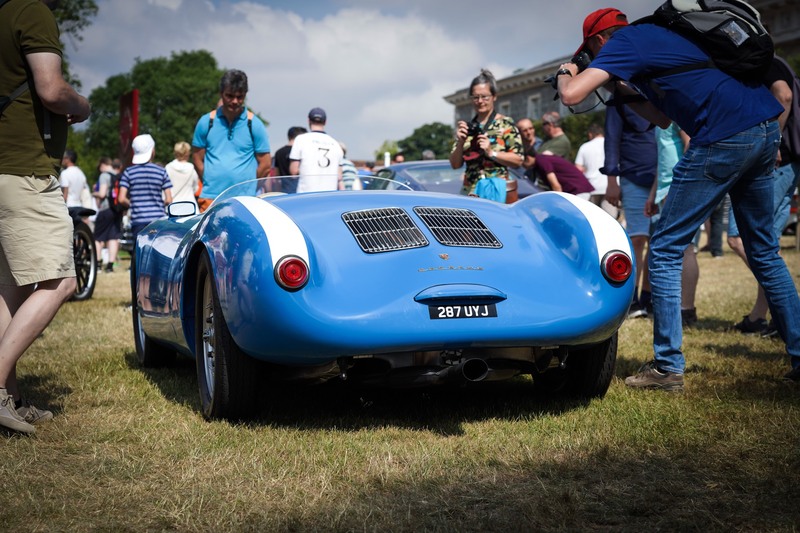 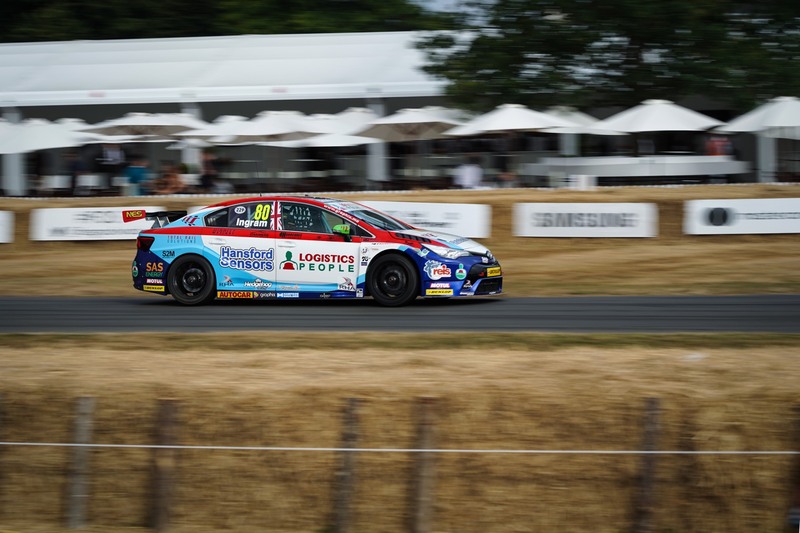 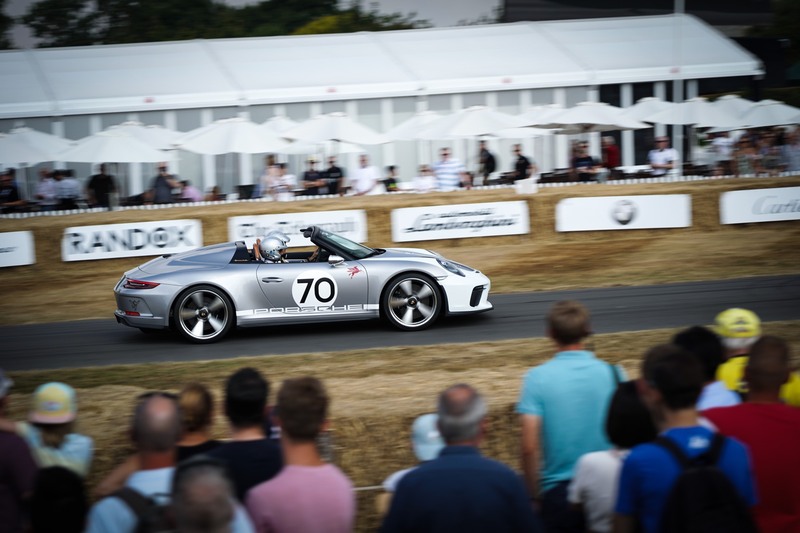 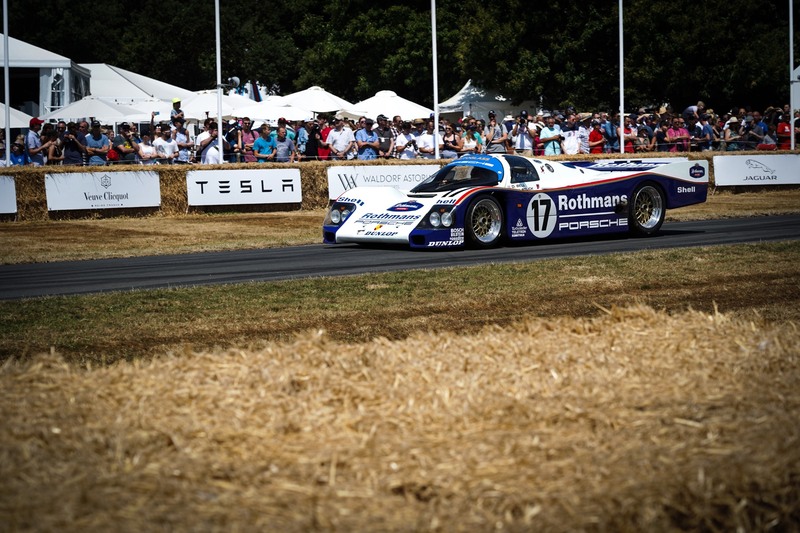 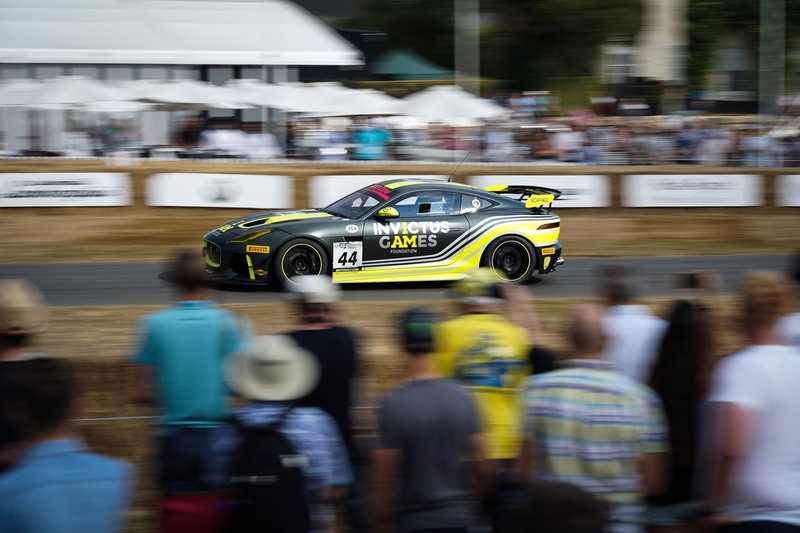 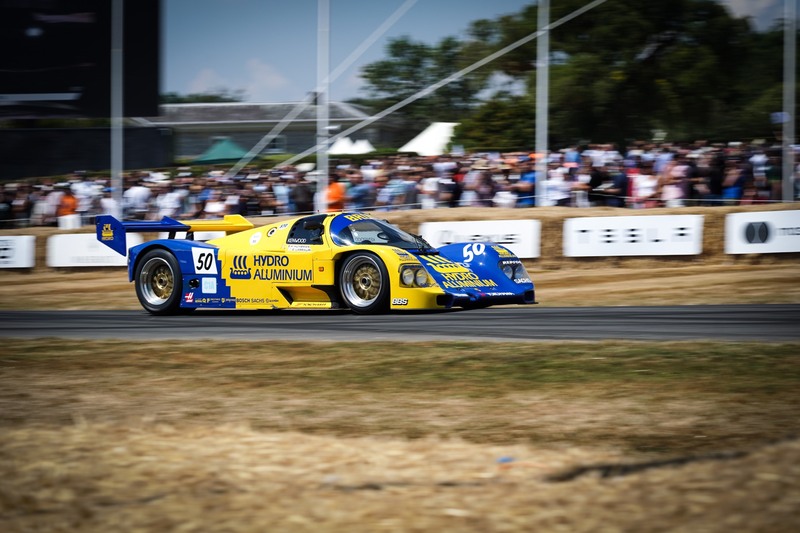 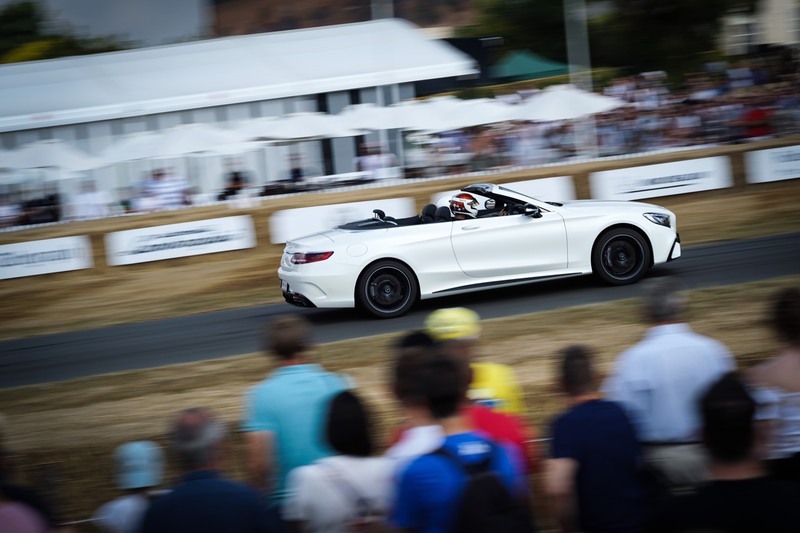 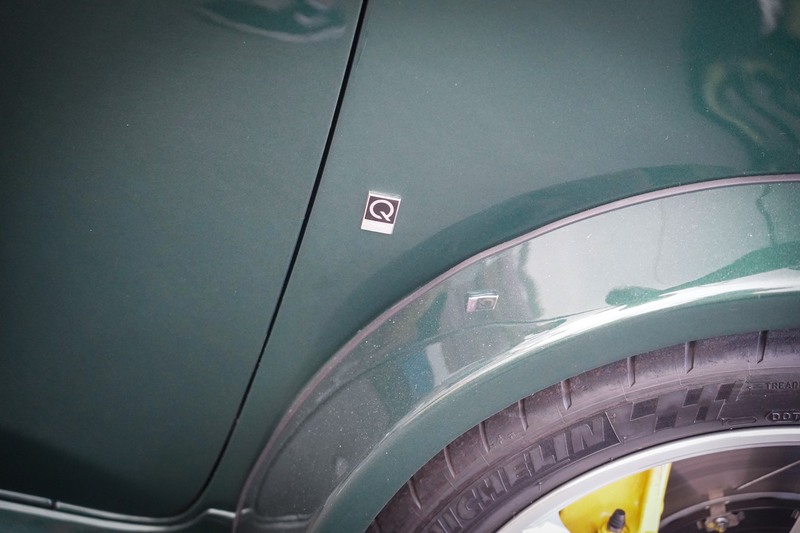 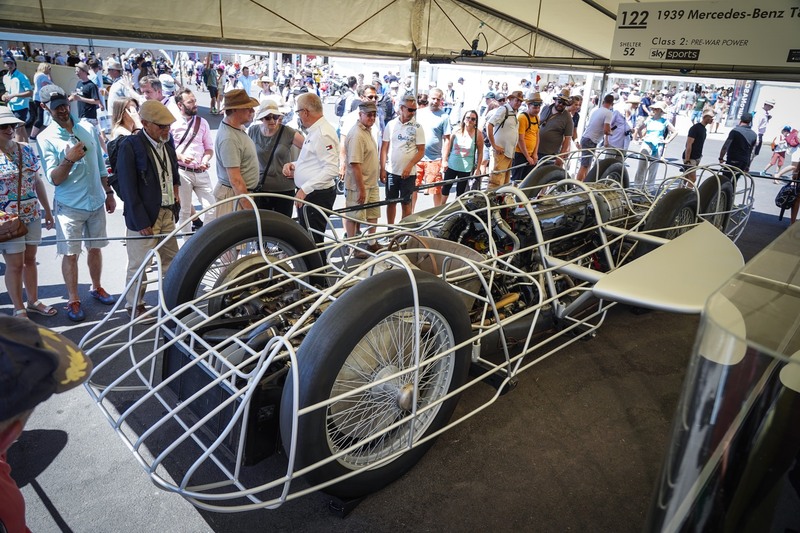 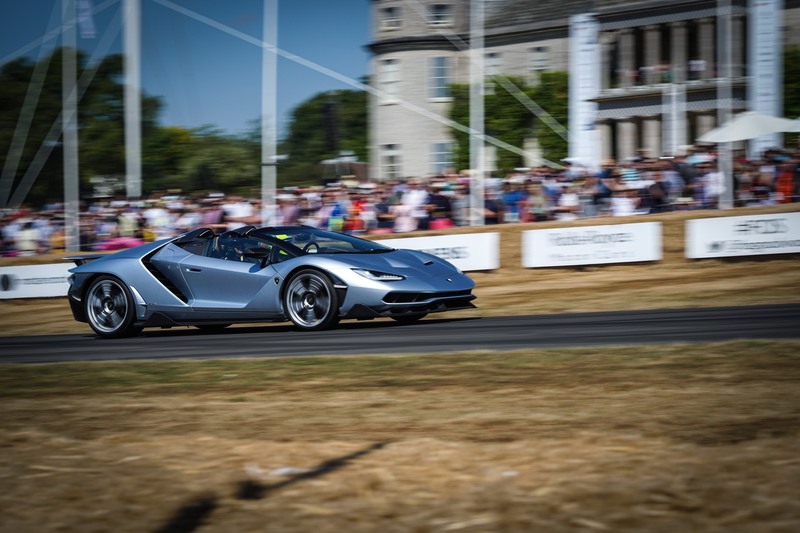 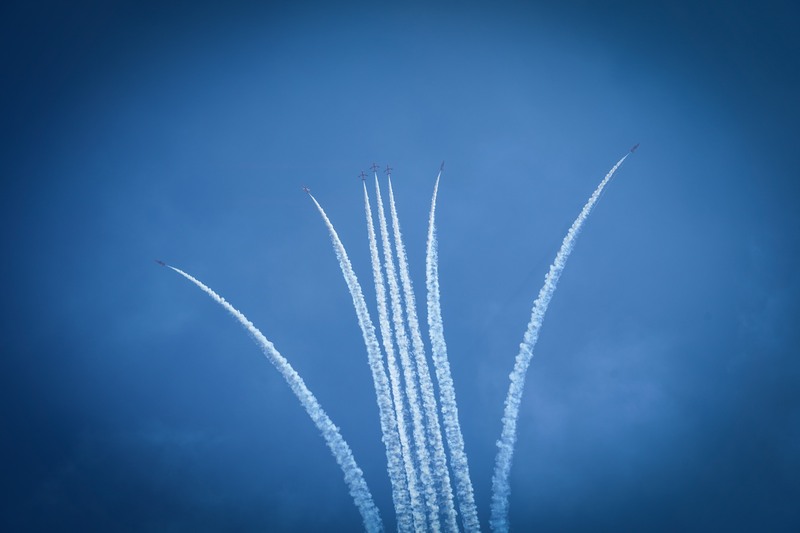 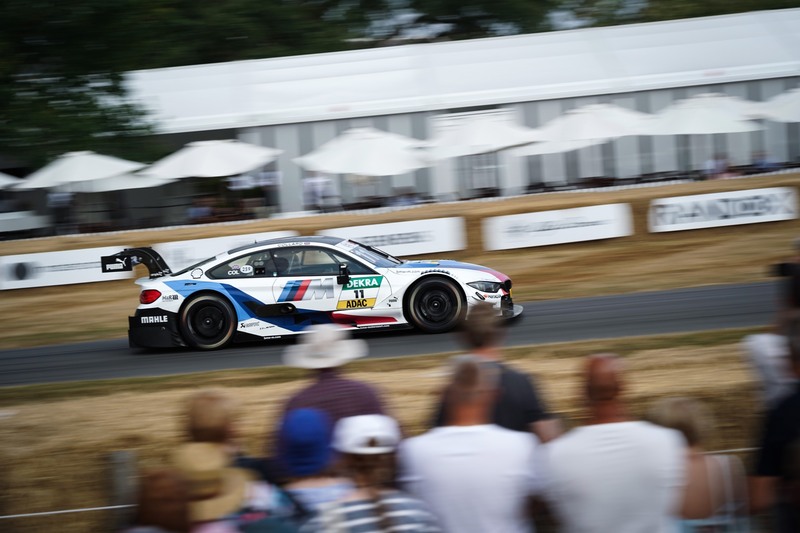 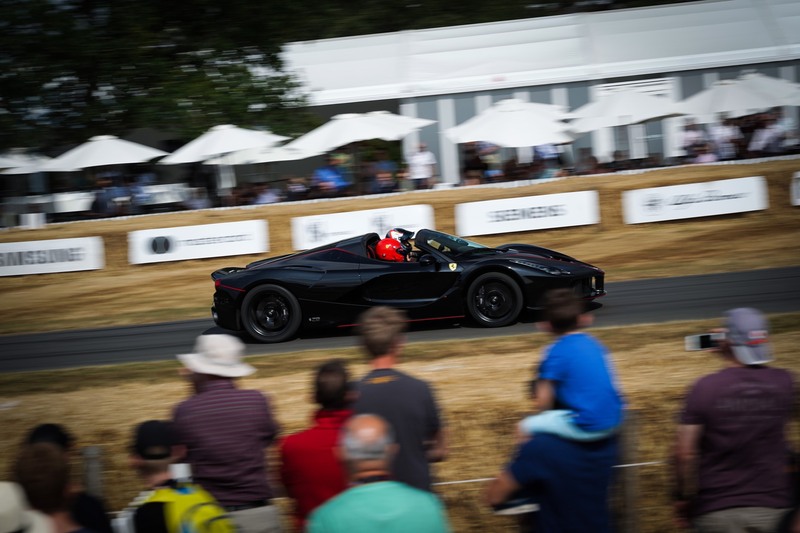 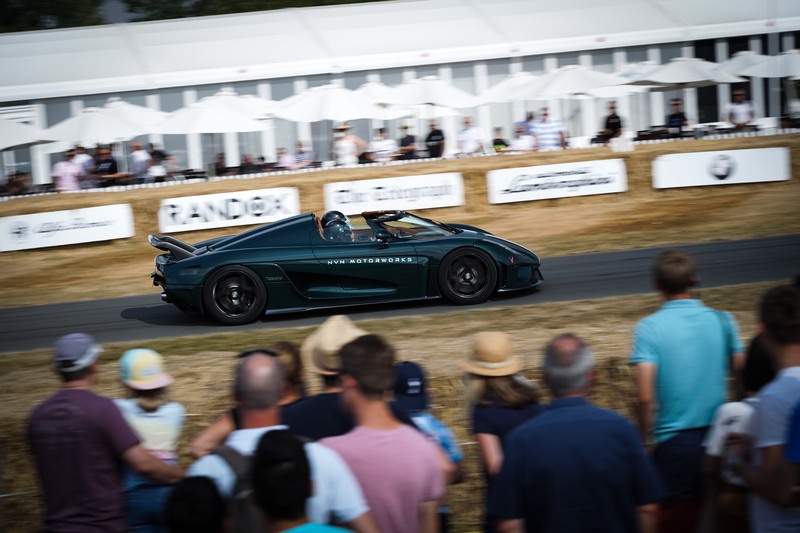 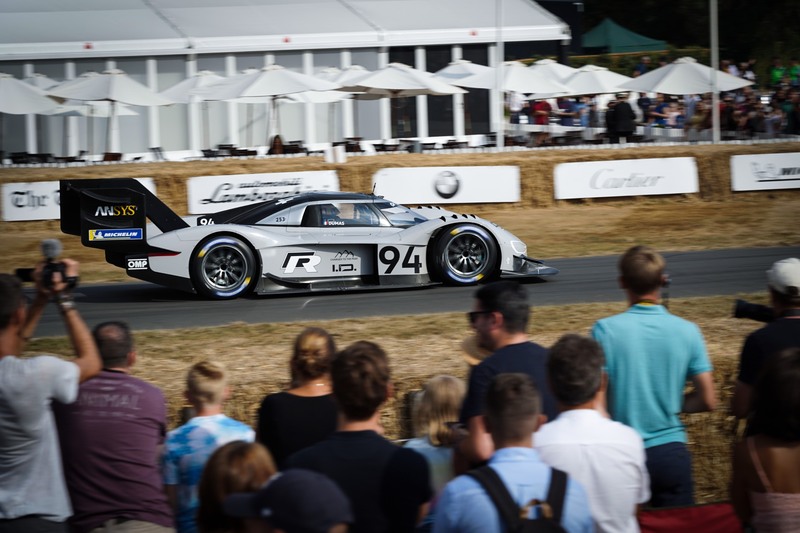 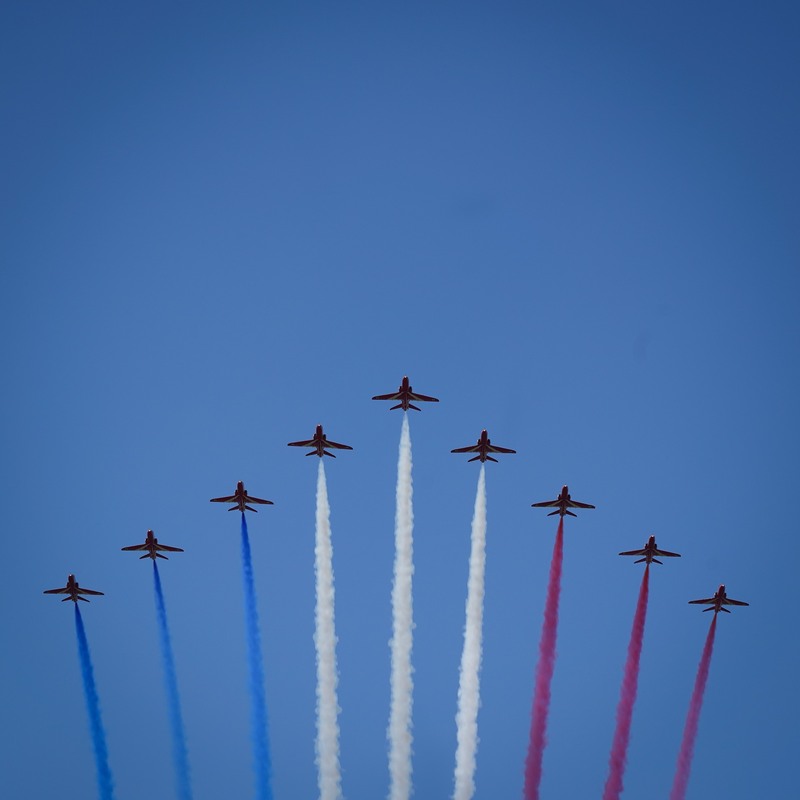 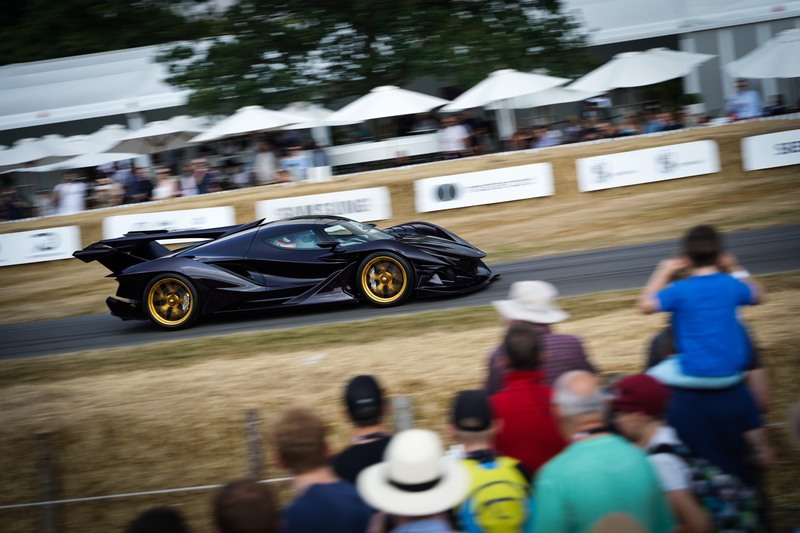 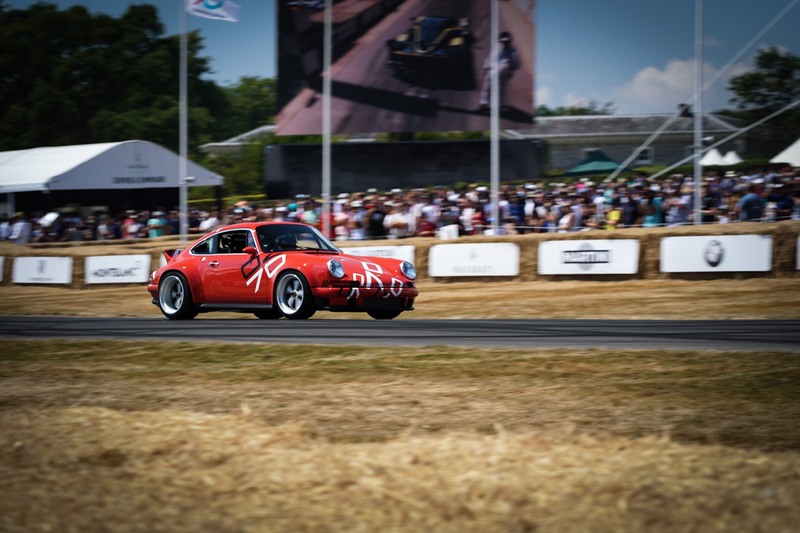 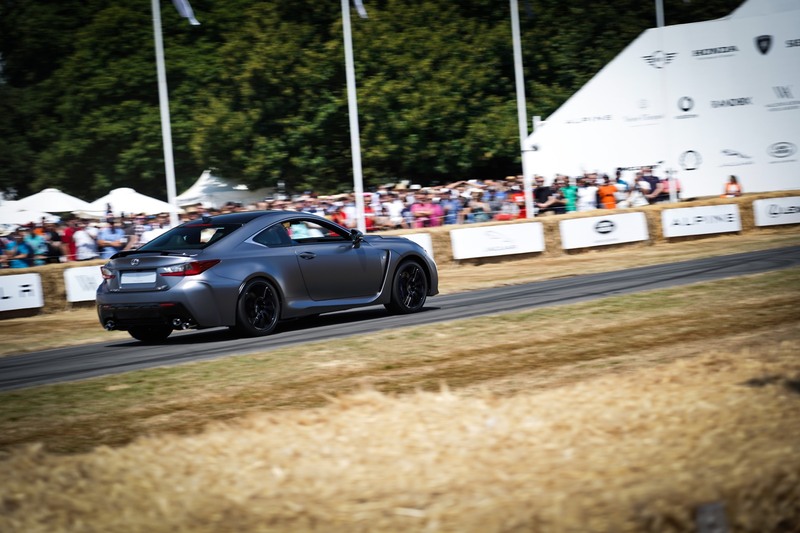 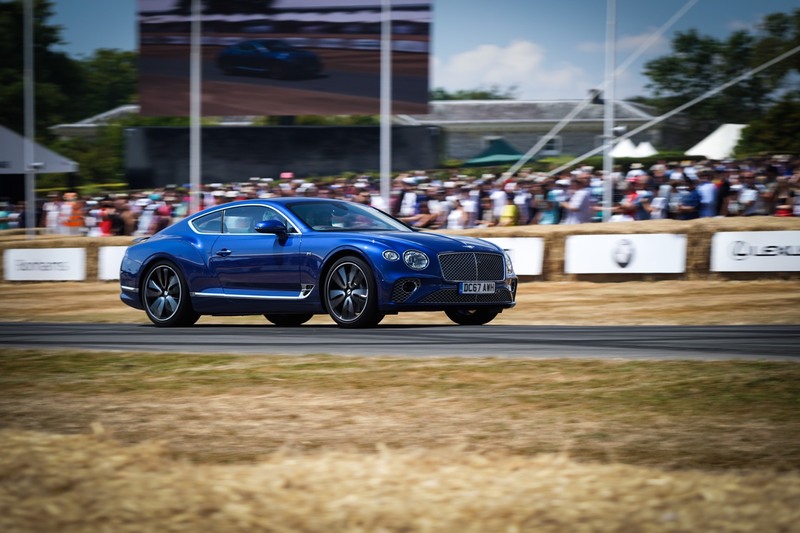 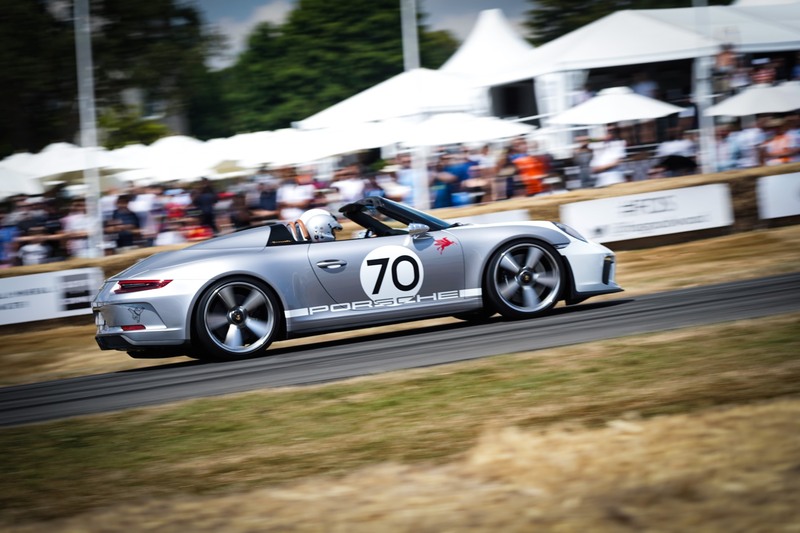 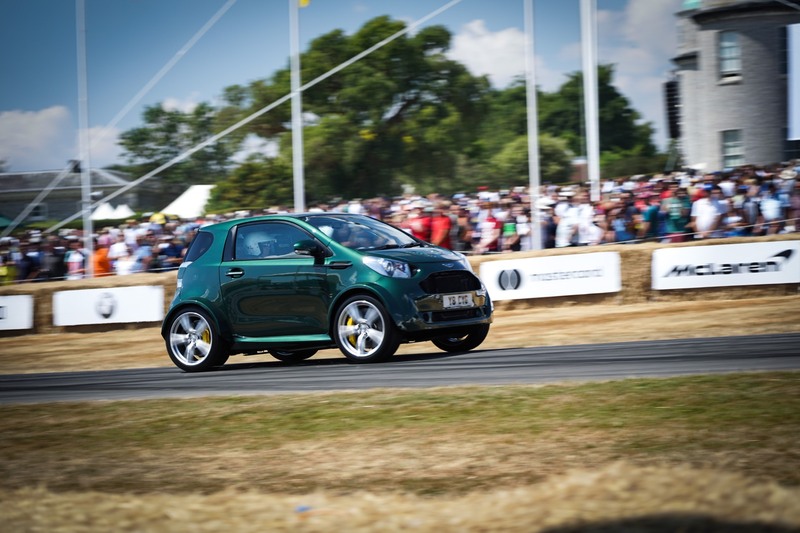 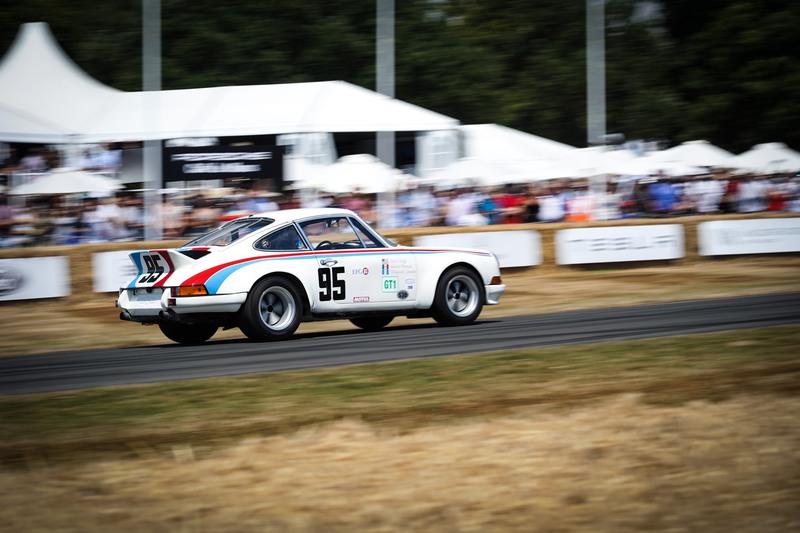 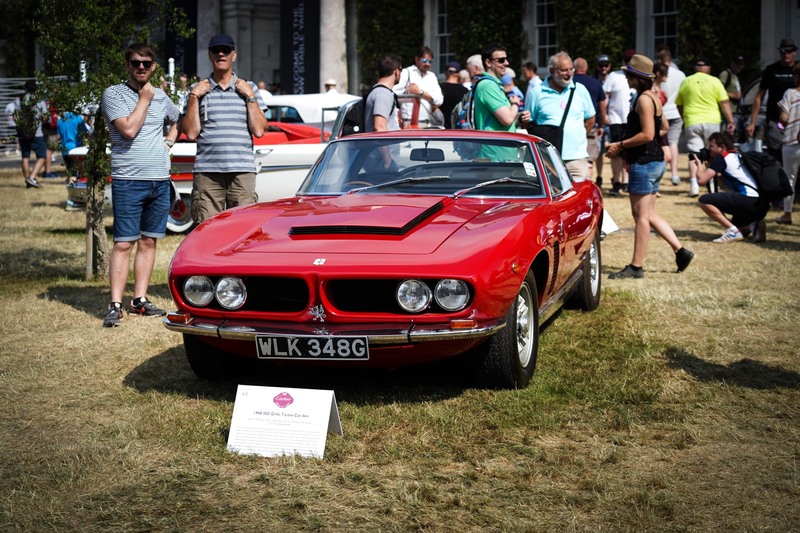 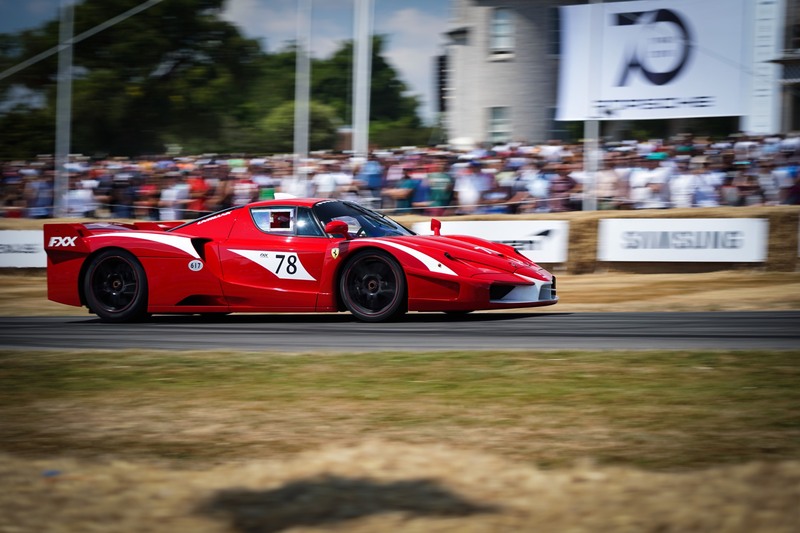 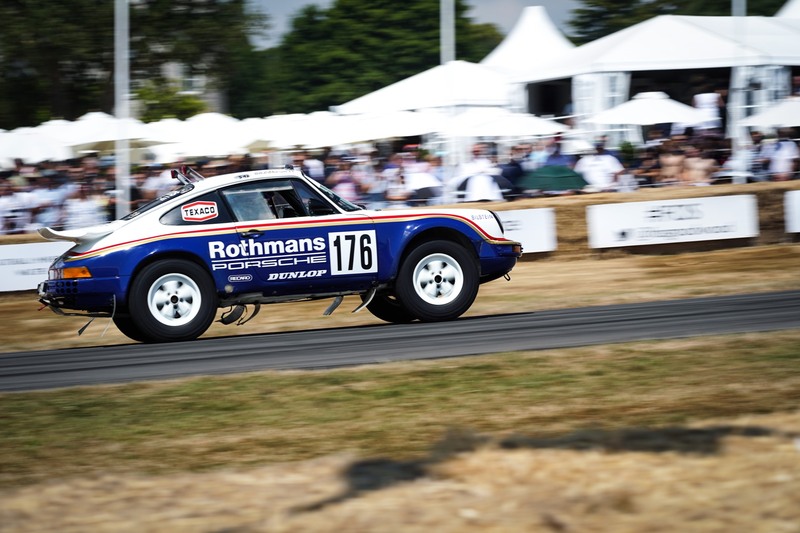 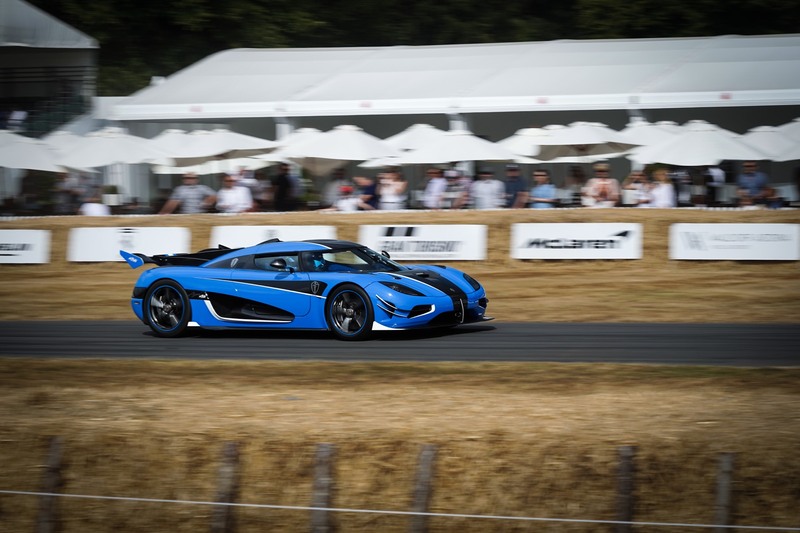 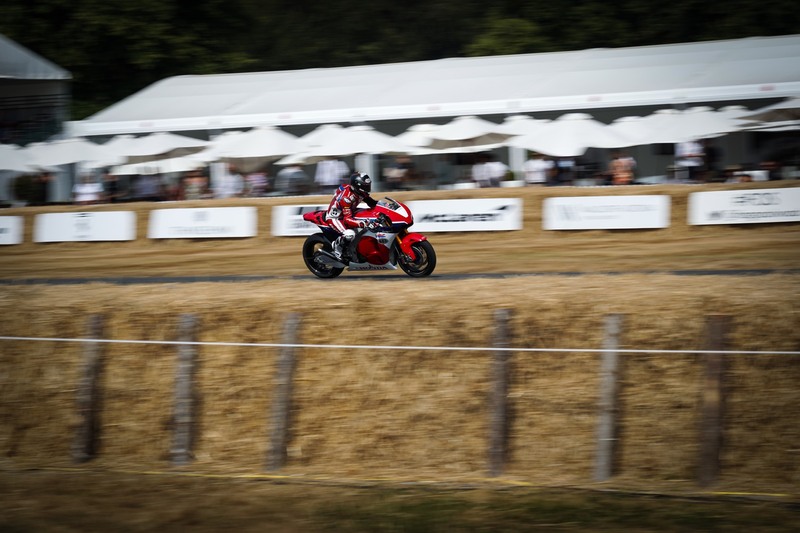 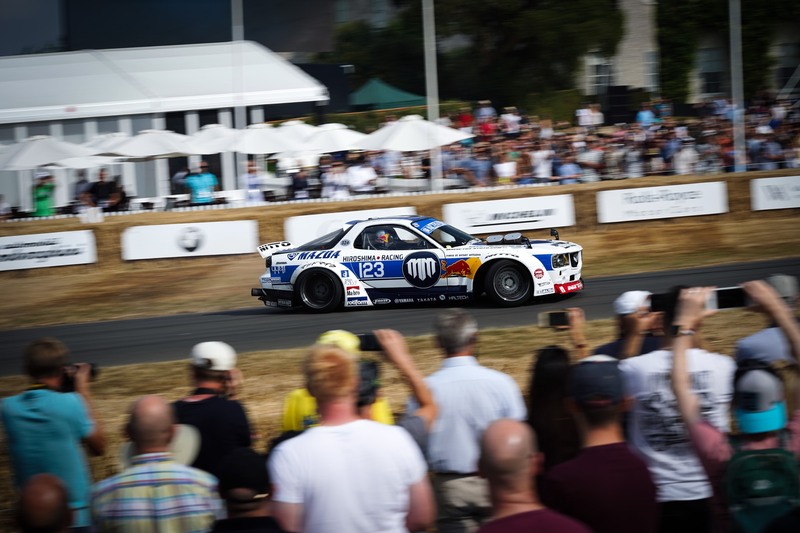 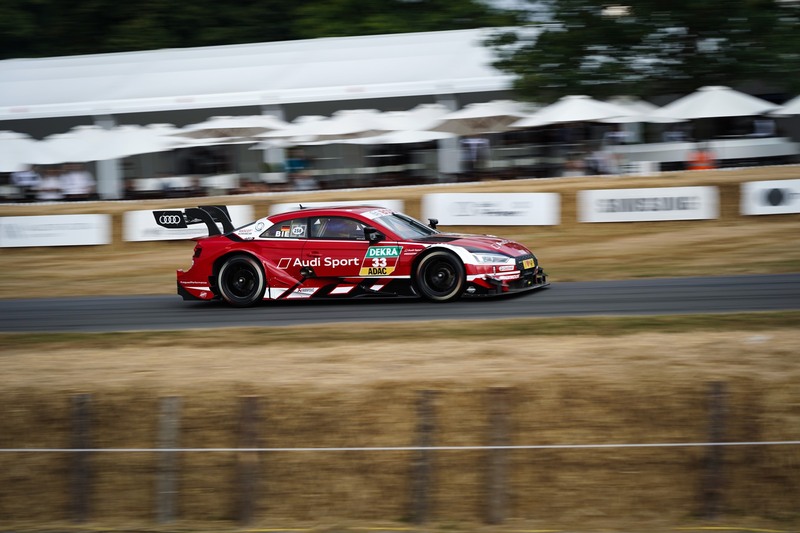 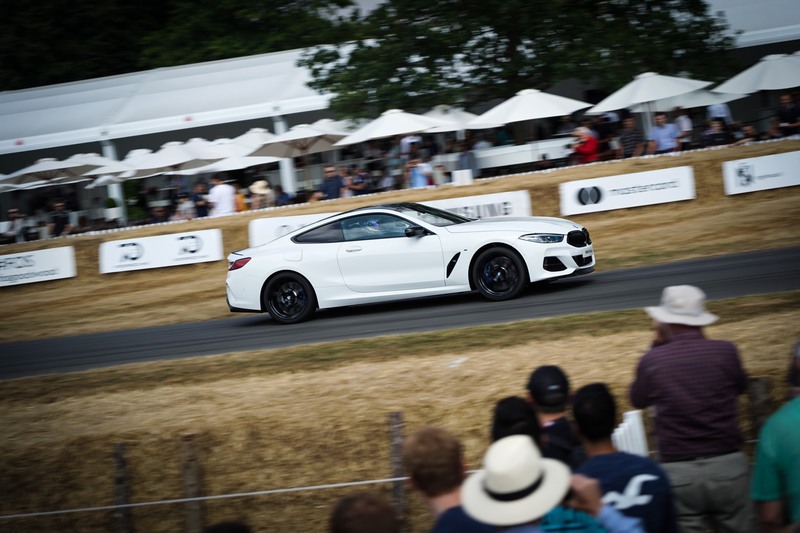 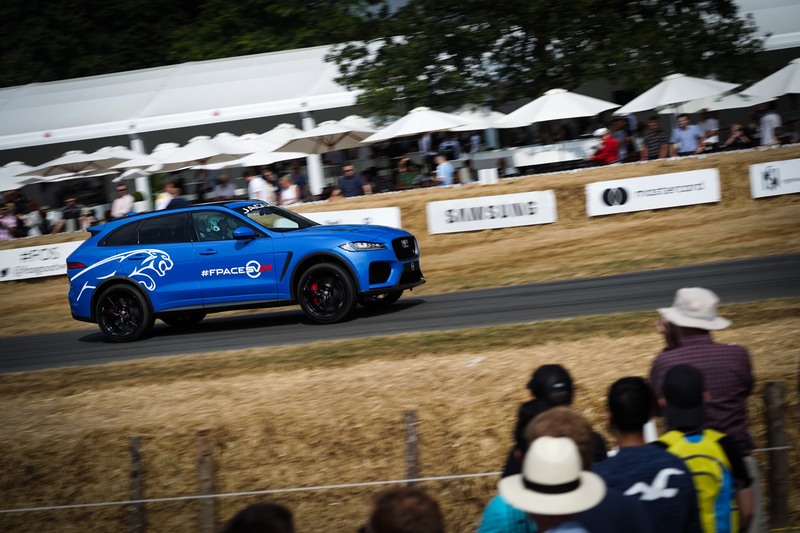 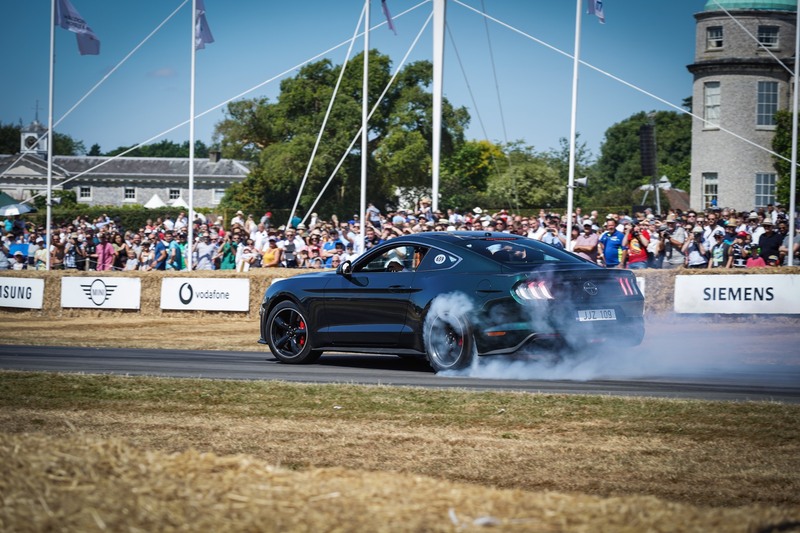 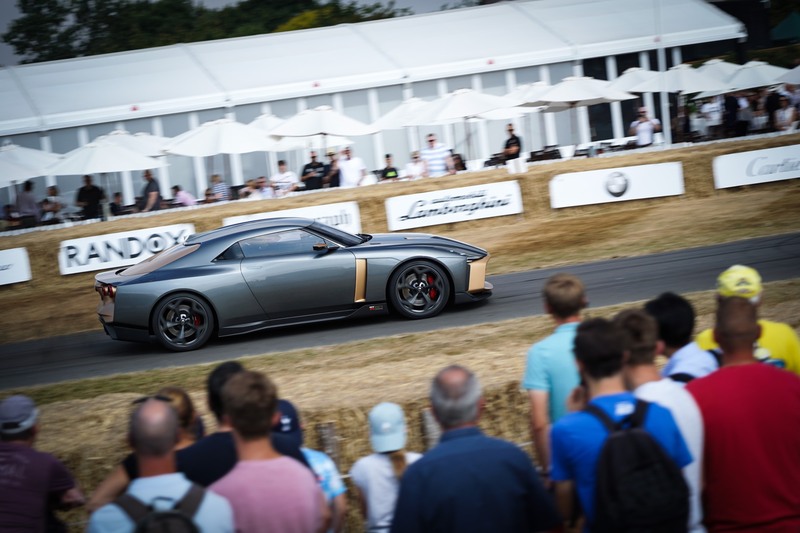 Last weekend we took our annual visit to the biggest British motoring event, the Goodwood Festival of Speed! 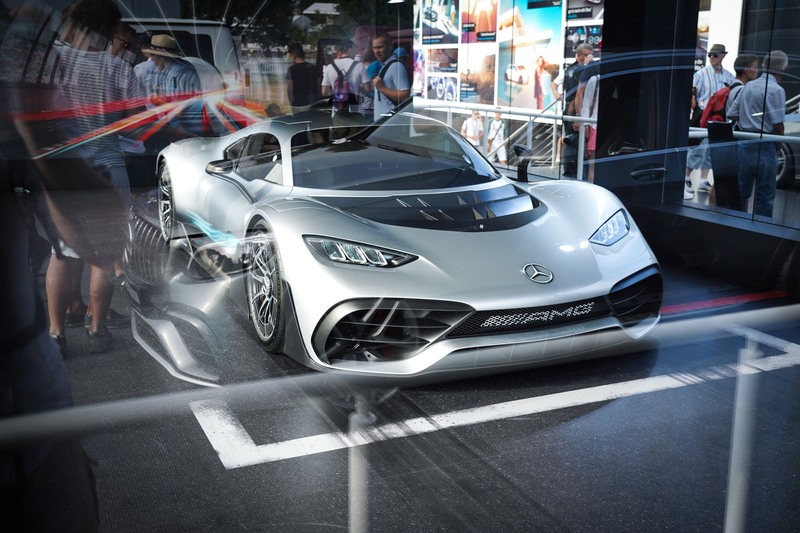 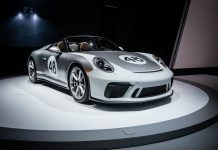 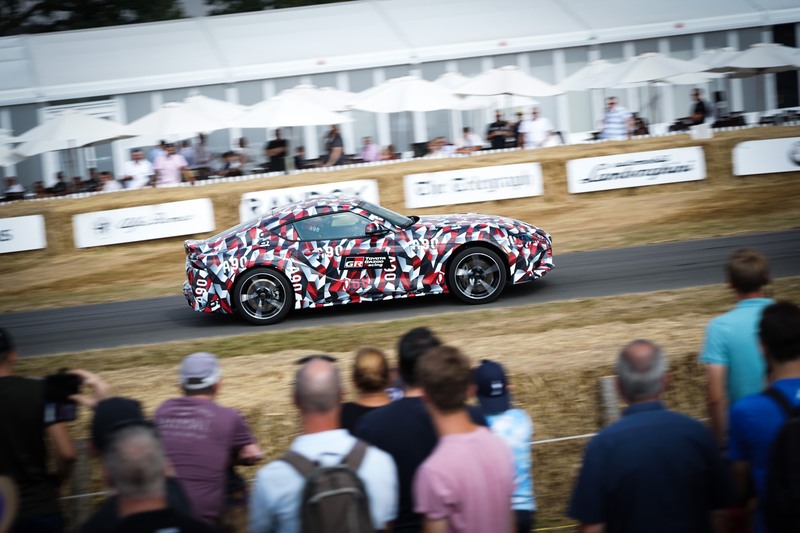 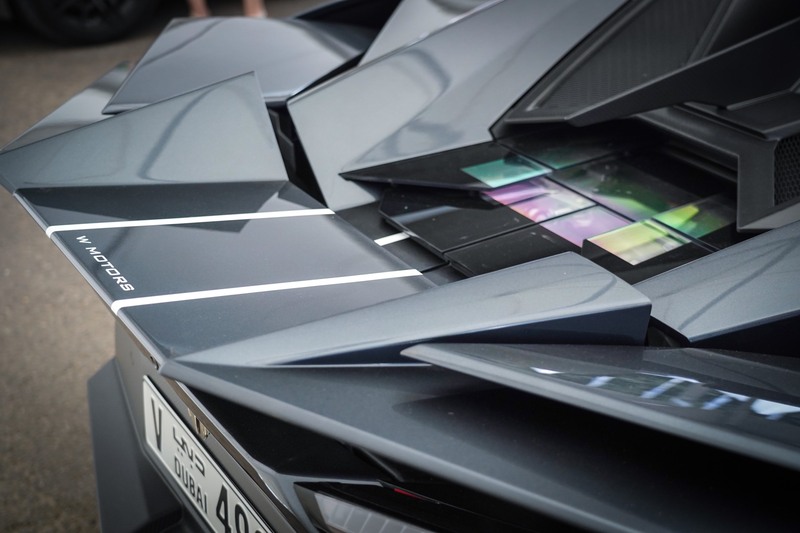 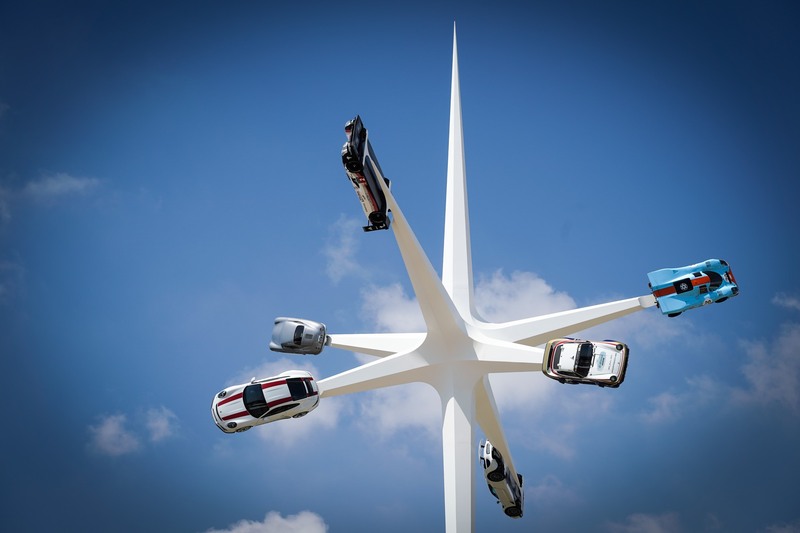 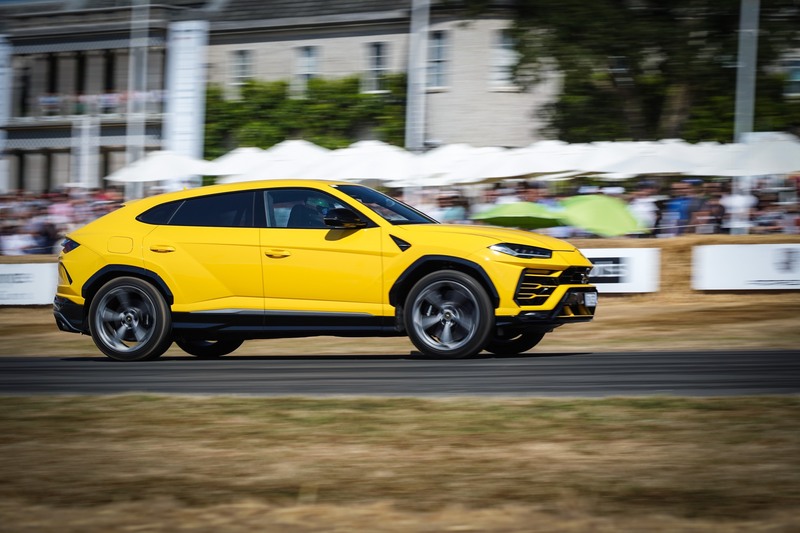 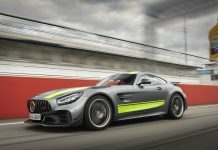 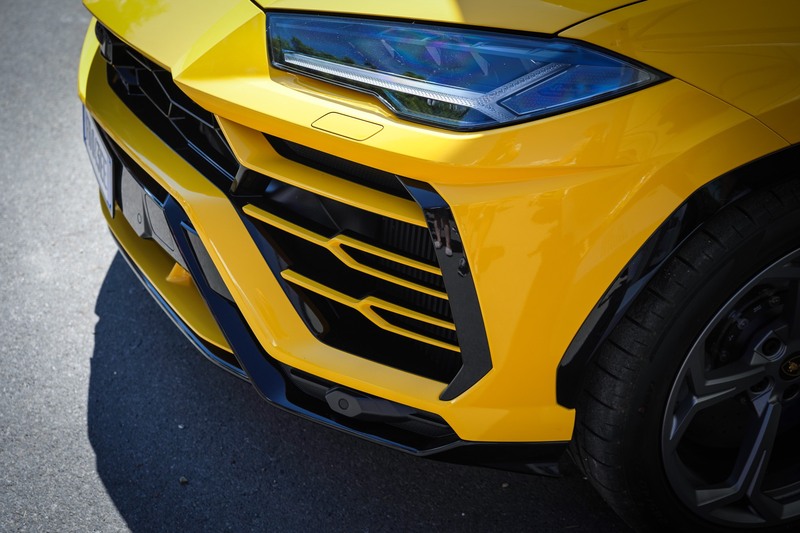 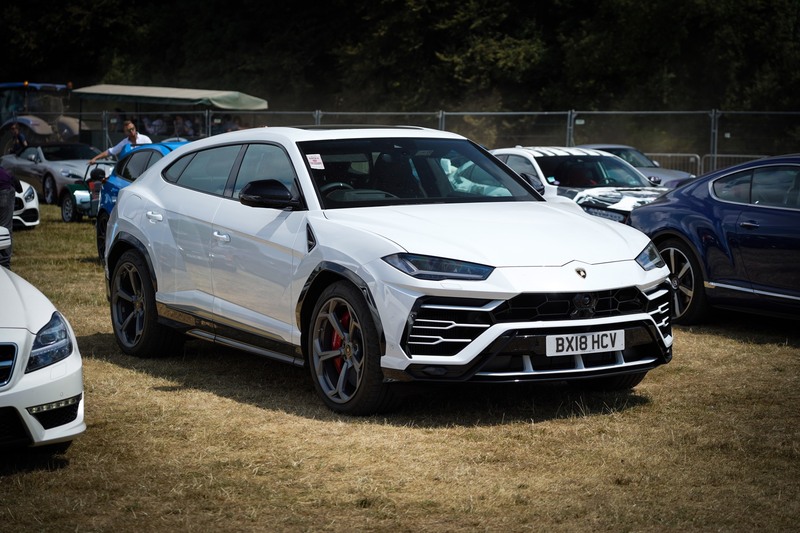 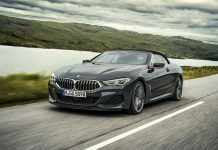 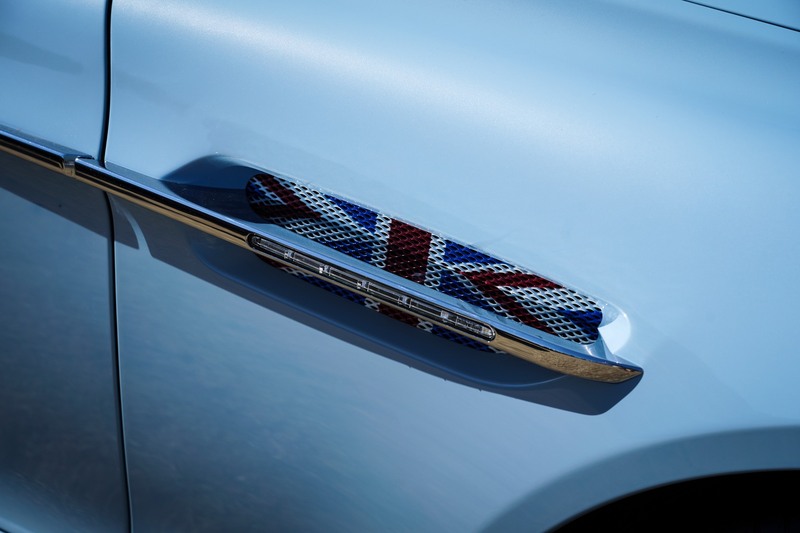 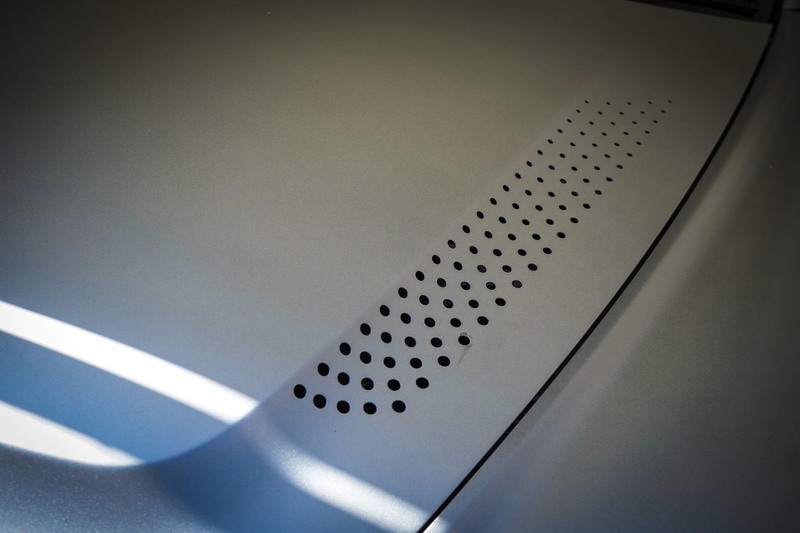 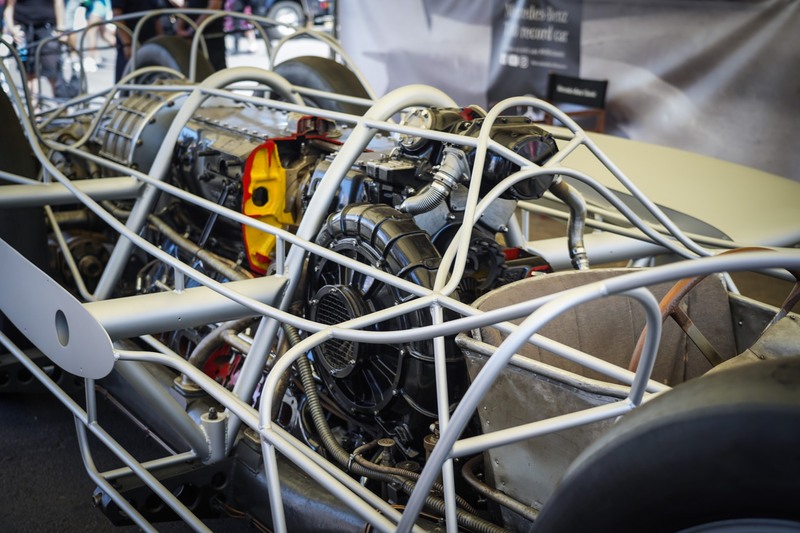 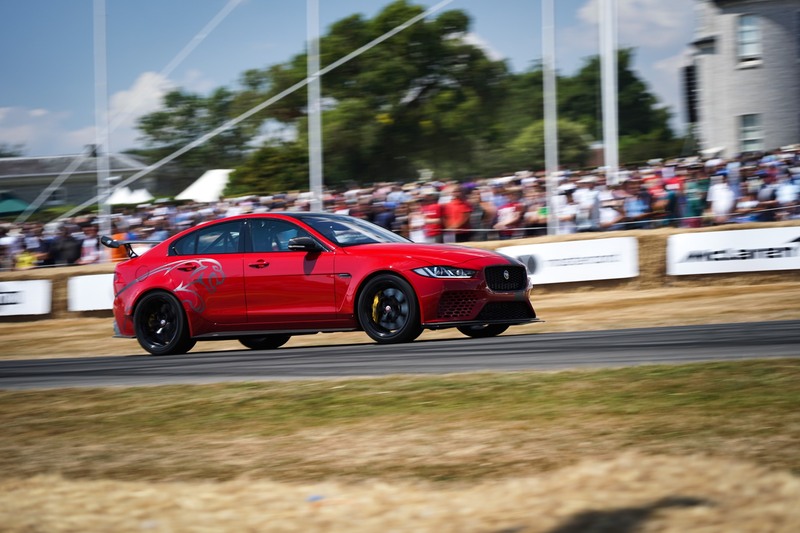 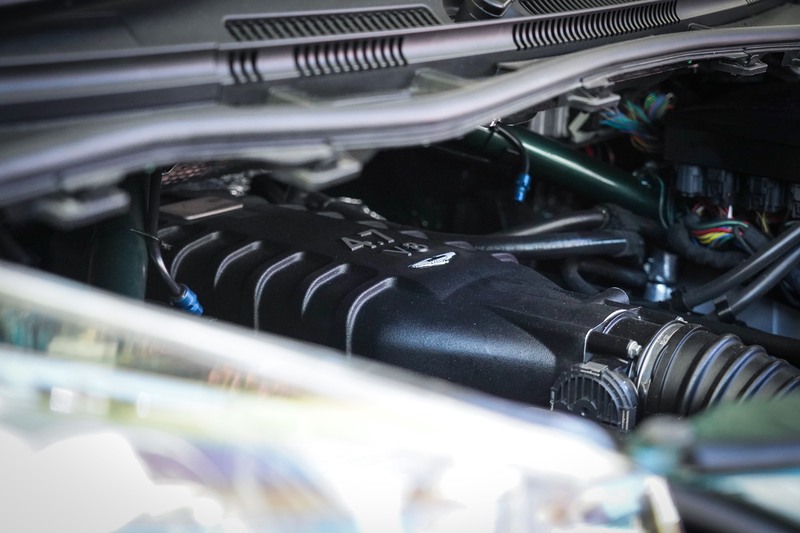 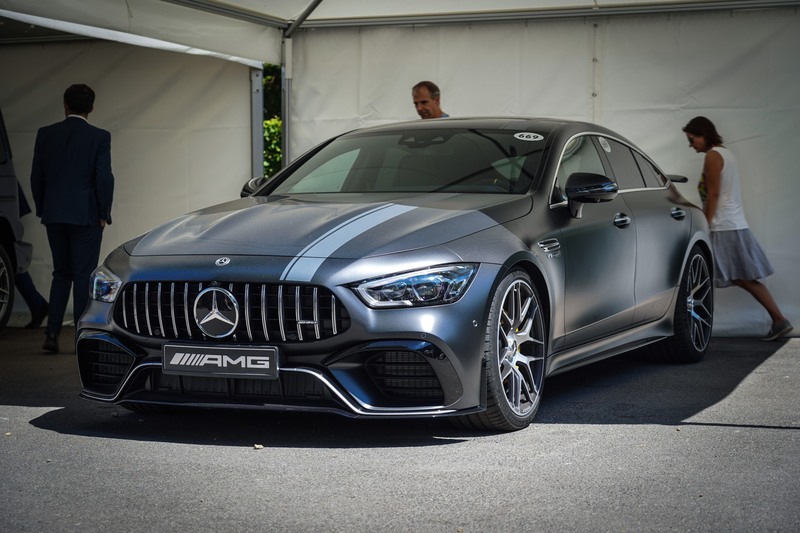 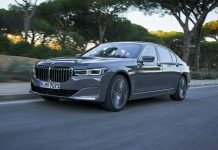 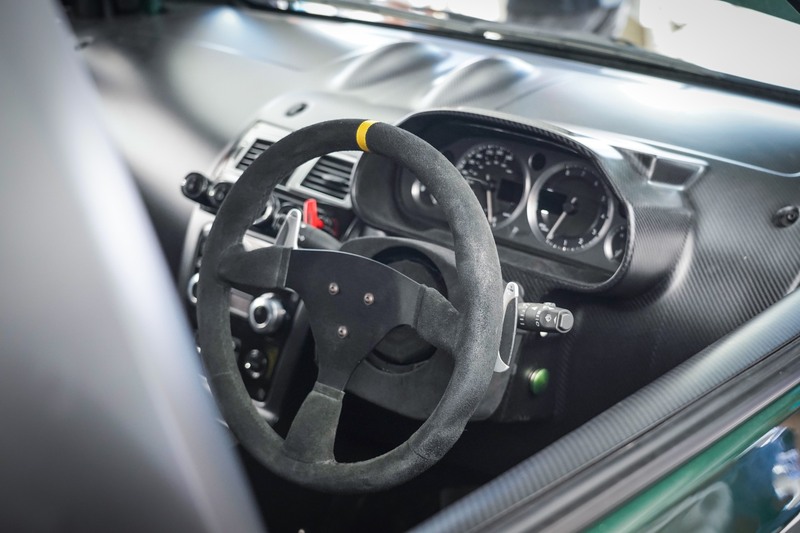 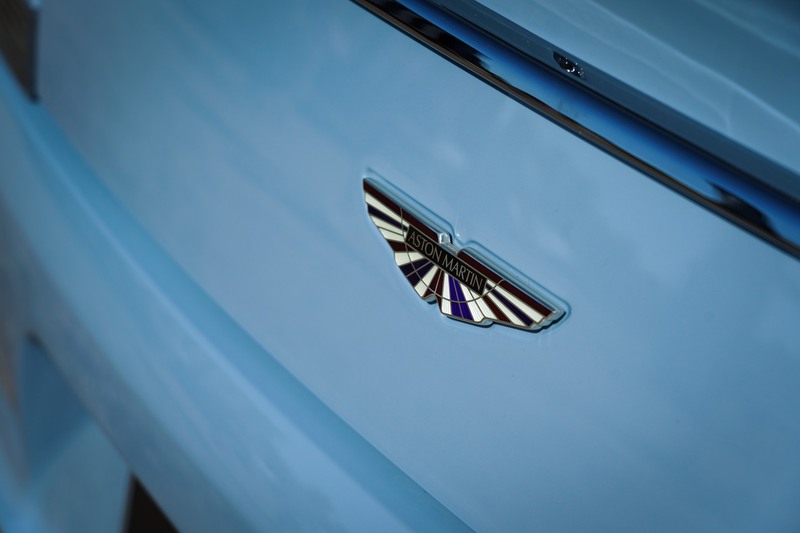 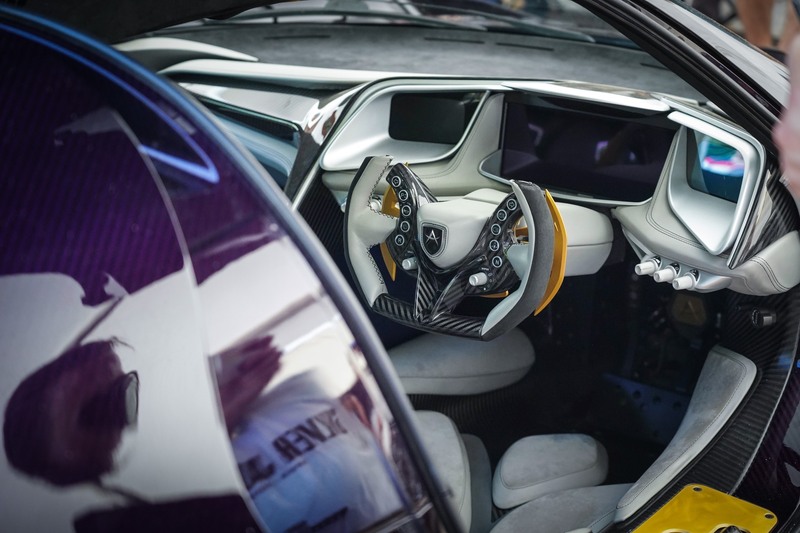 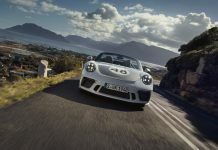 The Festival of Speed has quickly established itself as the British Motor Show, with many of the big name brands releasing something special during the three day event. 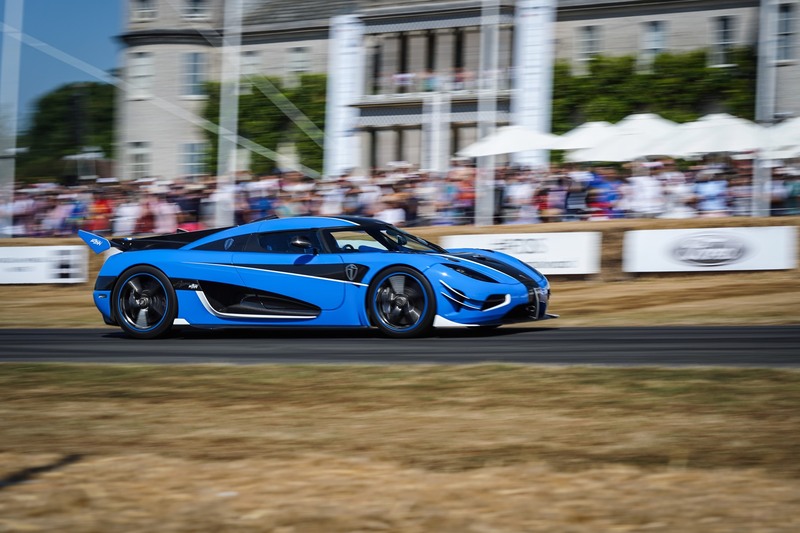 This year’s event saw a staggering amount of new cars released. 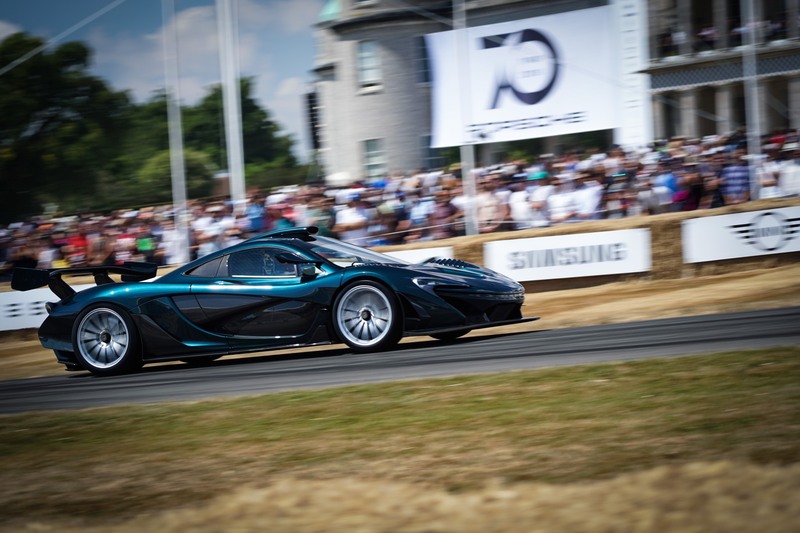 One of the biggest came from McLaren, the home manufacturer. 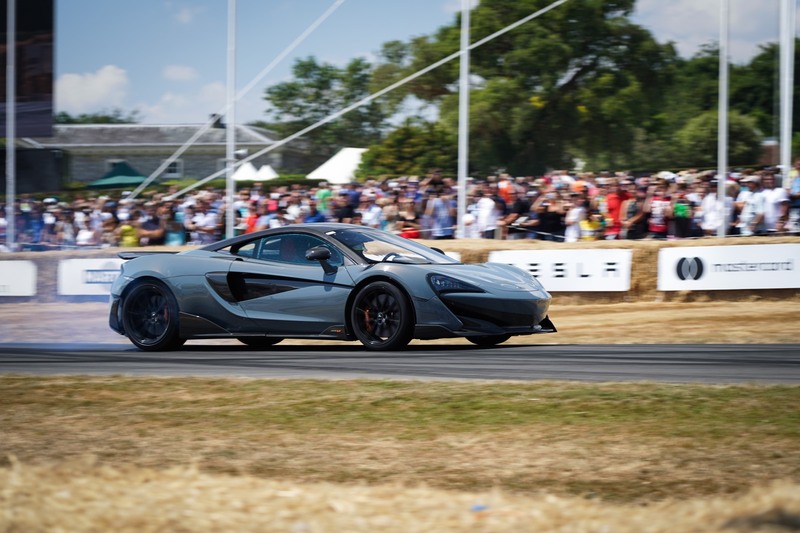 It released its new, limited edition McLaren 600LT. 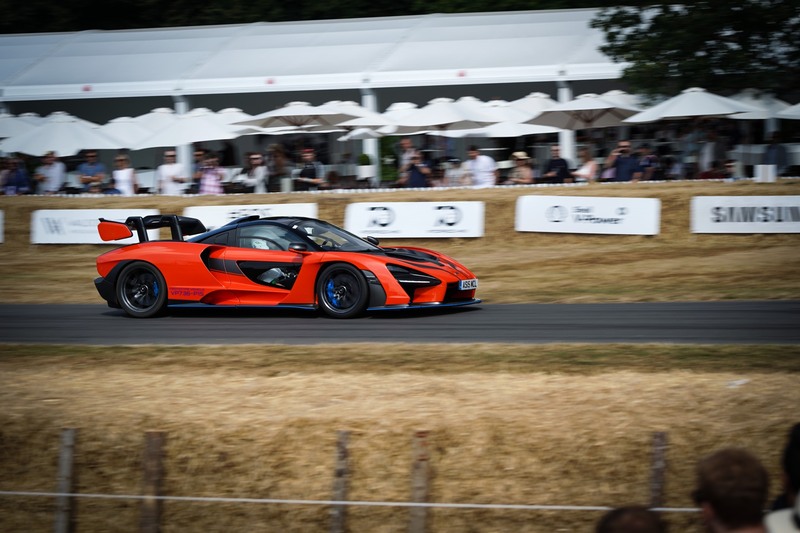 Lanzante provided some support too, in the form of the one-off McLaren P1 GT Longtail, commissioned by a middle eastern customer. 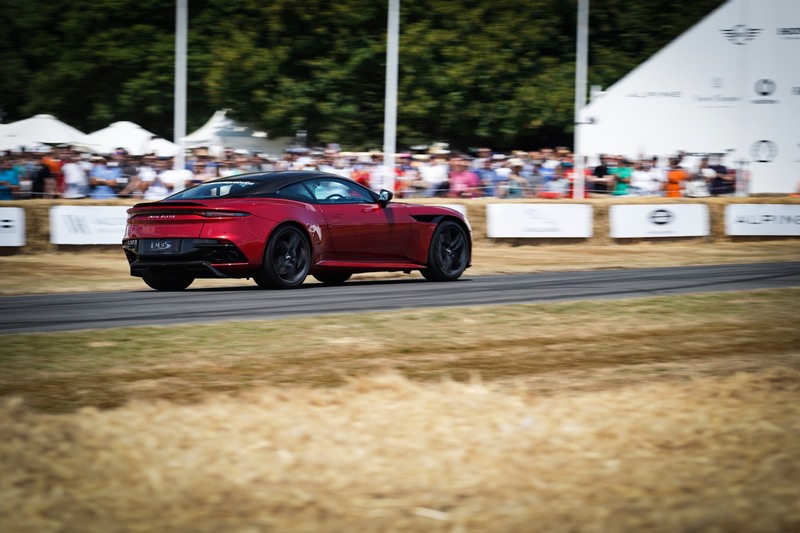 Aston Martin also impressed with the debut of their latest GT, the Aston Martin DBS Superleggera. 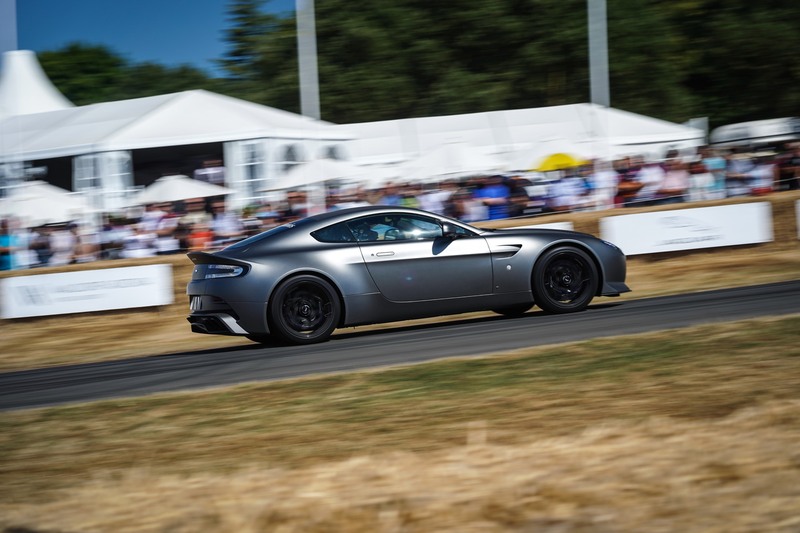 Alongside the DBS was a skunkworks project, again, commissioned by a very special customer who fancied the running gear from the V8 Vantage shoehorned into the Cygnet city car. 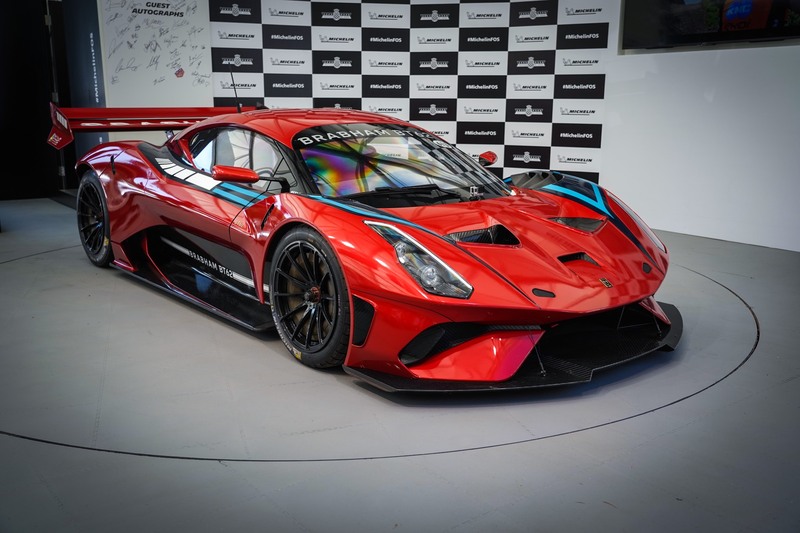 Elsewhere, Pagani impressed with the latest they had to offer. 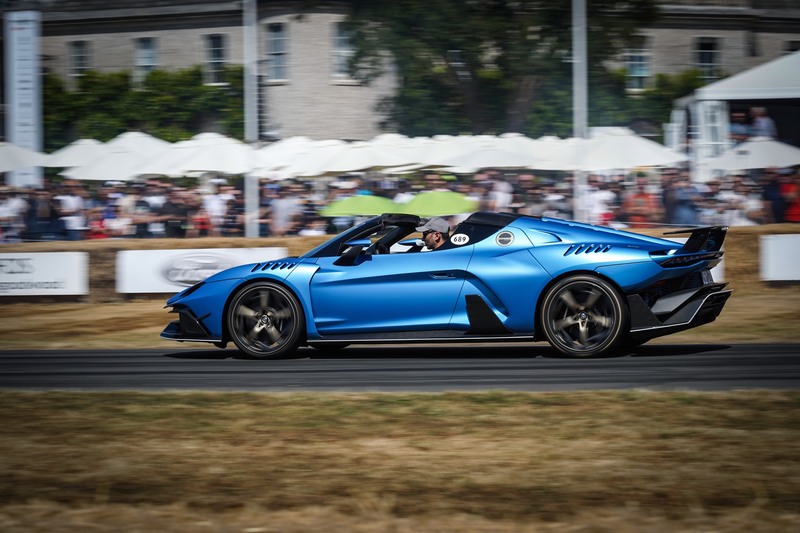 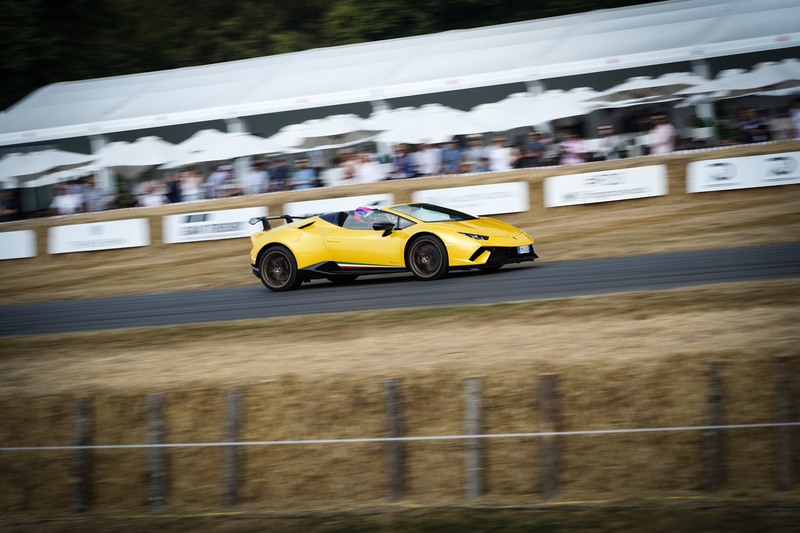 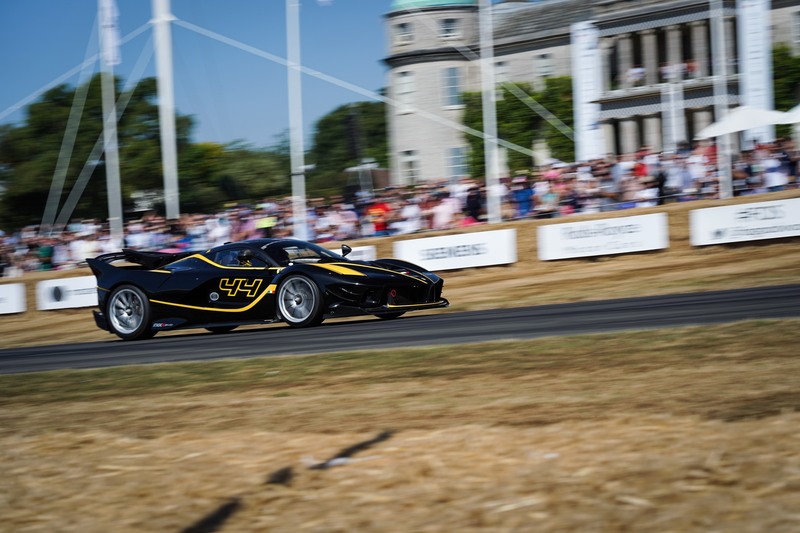 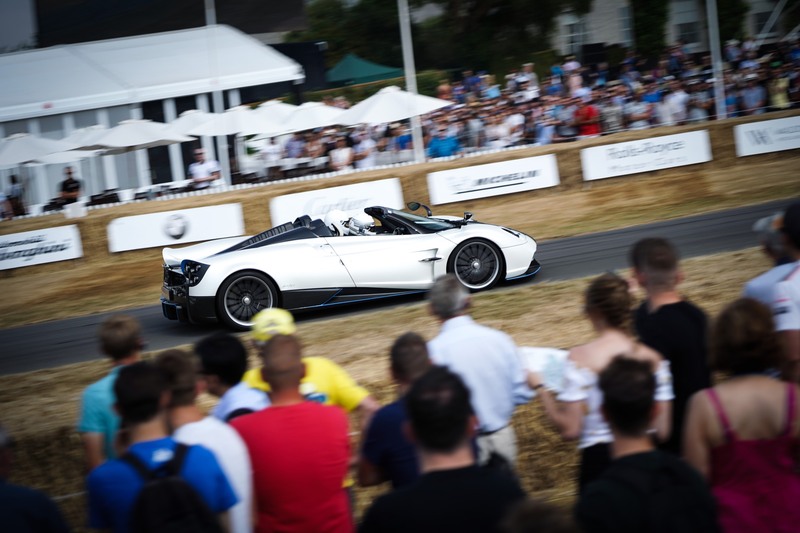 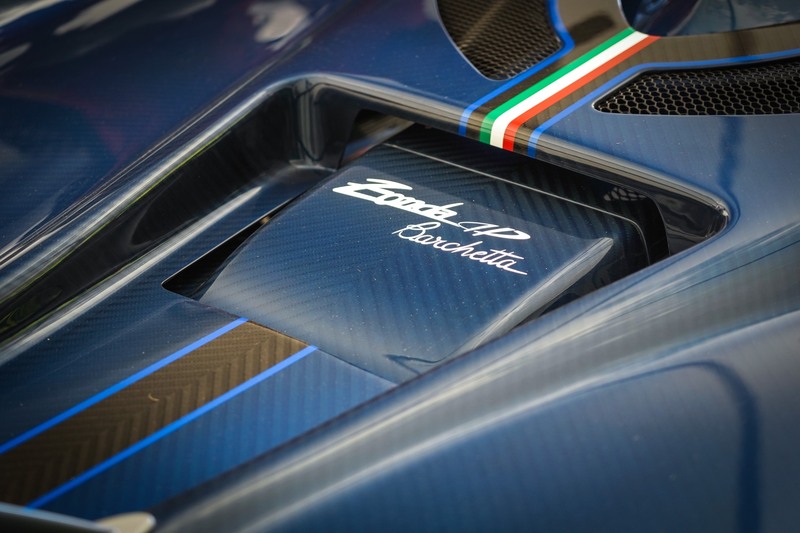 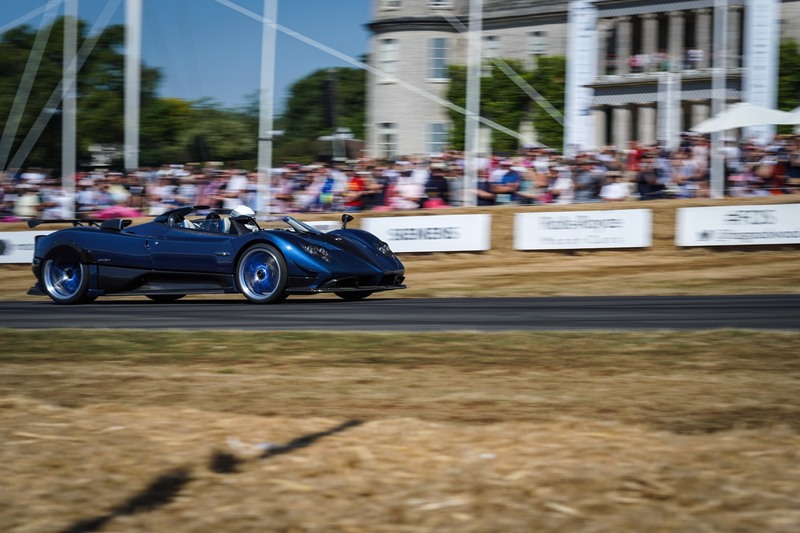 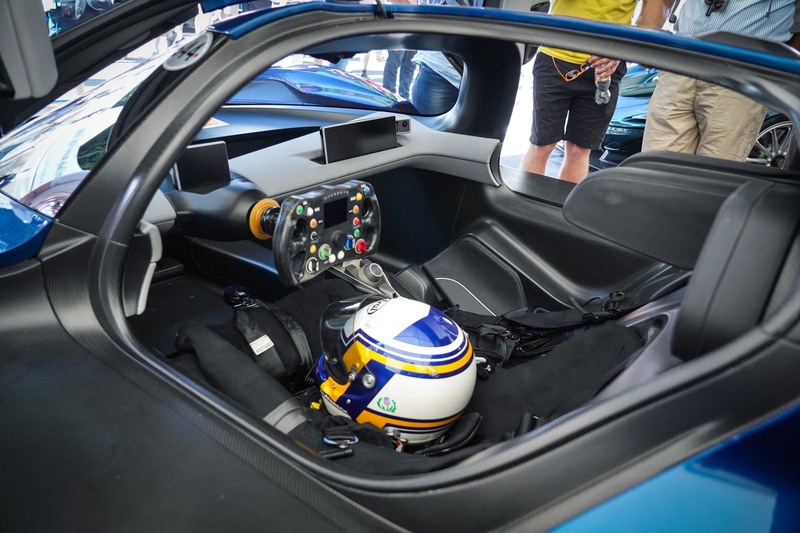 Horracio drove from Italy in his personal Pagani Zonda Speedster which joined the Pagani Huayra Roadster on the Goodwood hill. 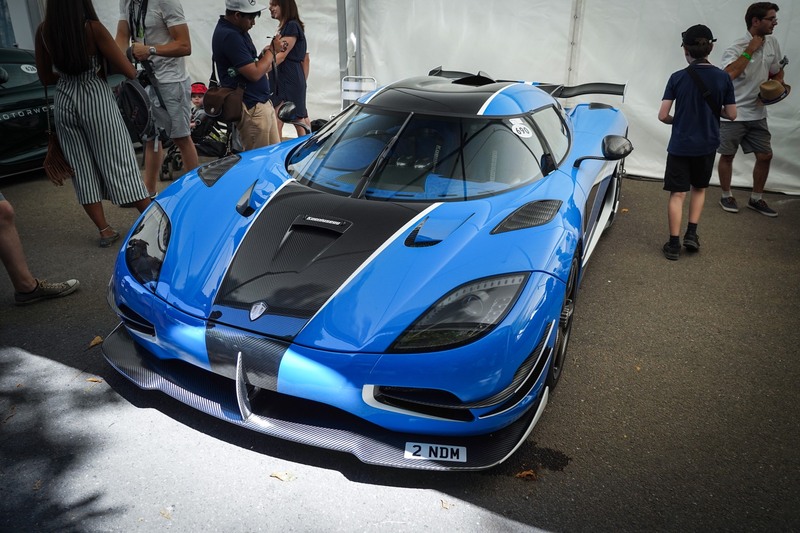 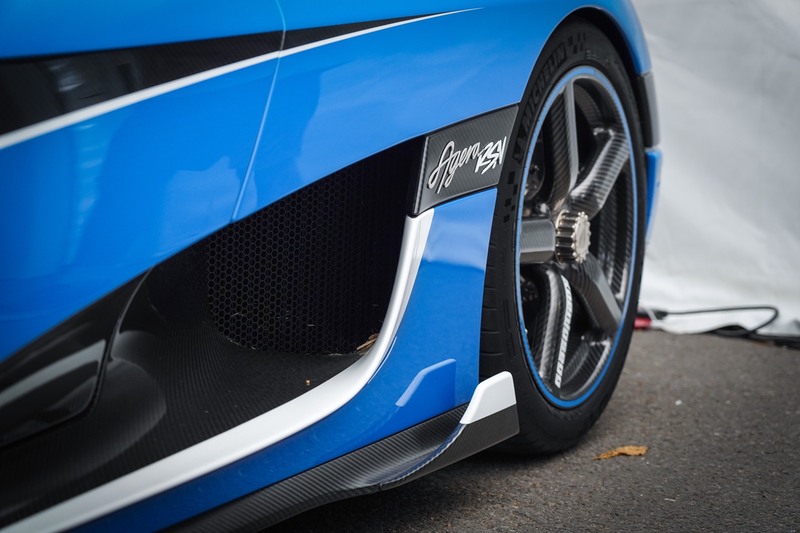 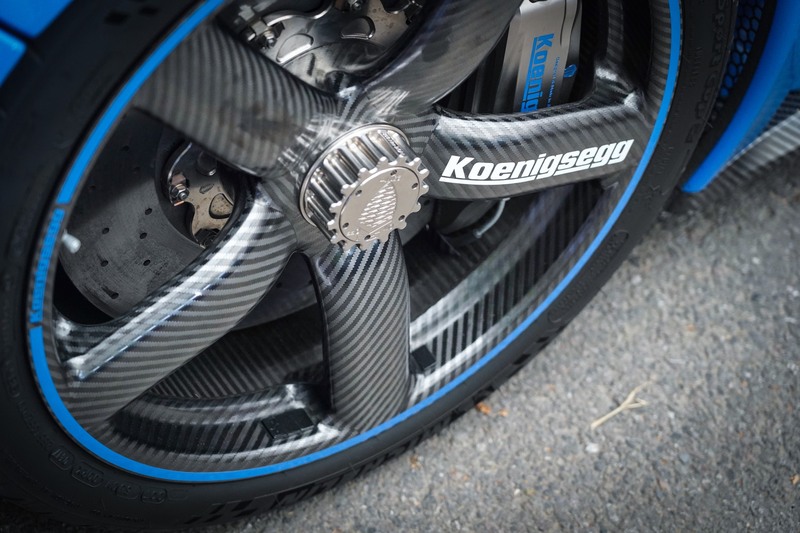 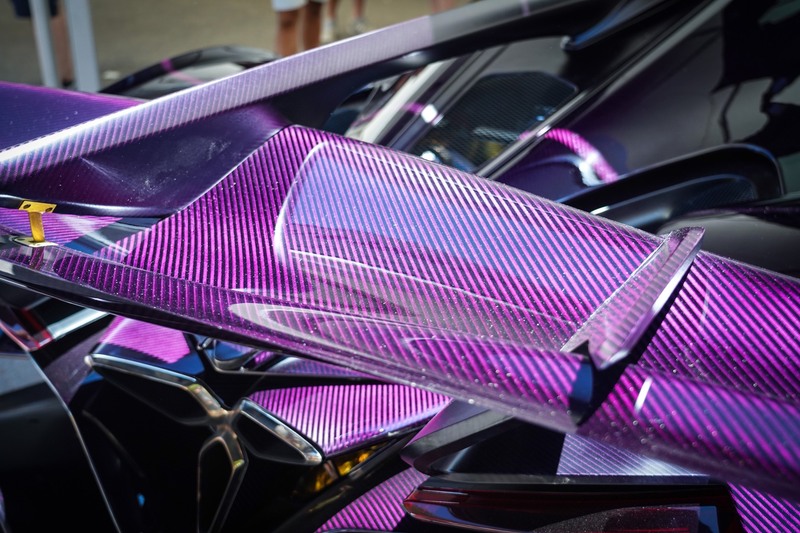 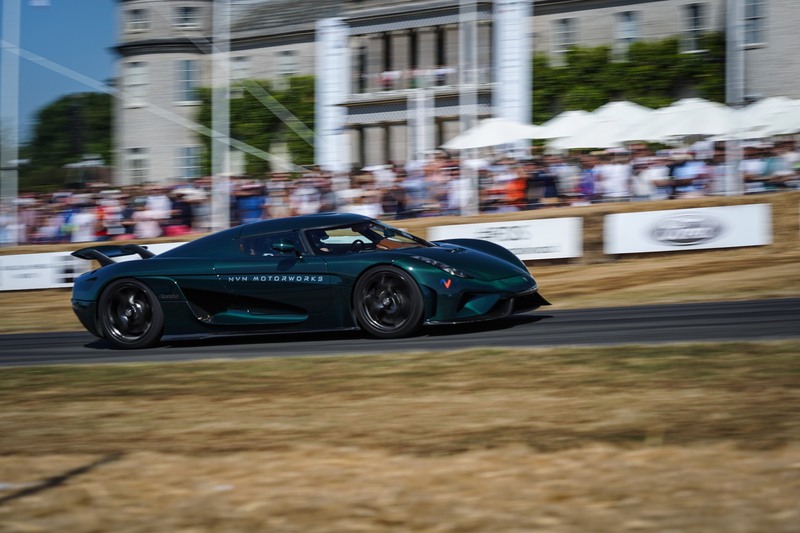 Rivals Koenigsegg bought along a green carbon fibre Regera alongside the bespoke Koenigsegg Agera RSN. 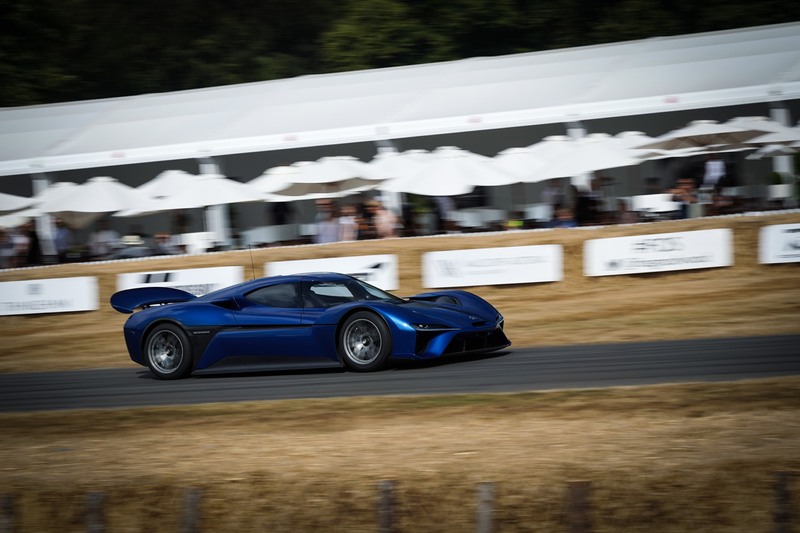 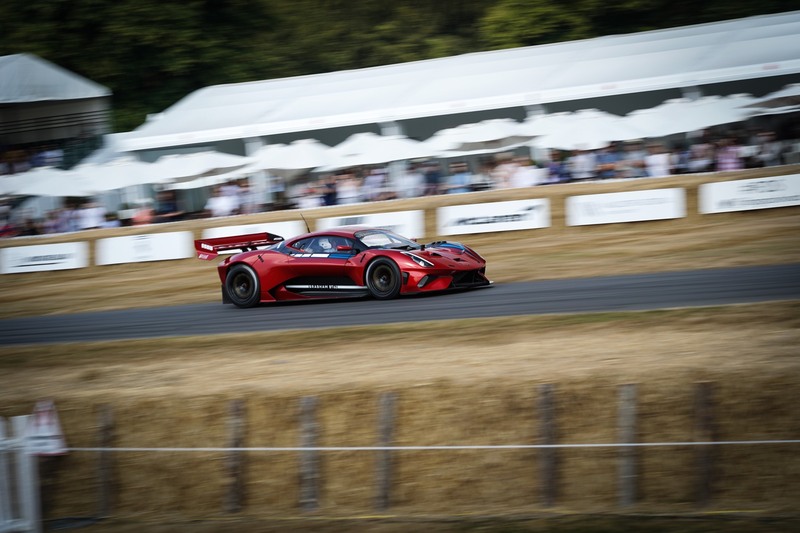 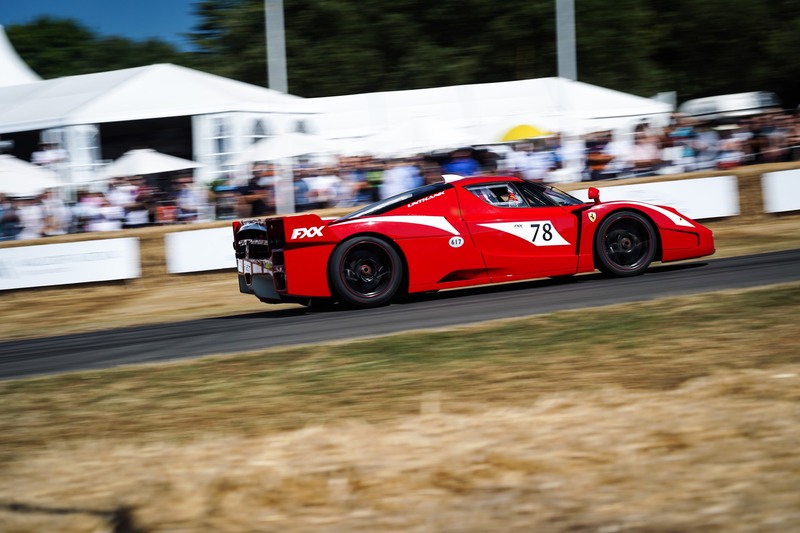 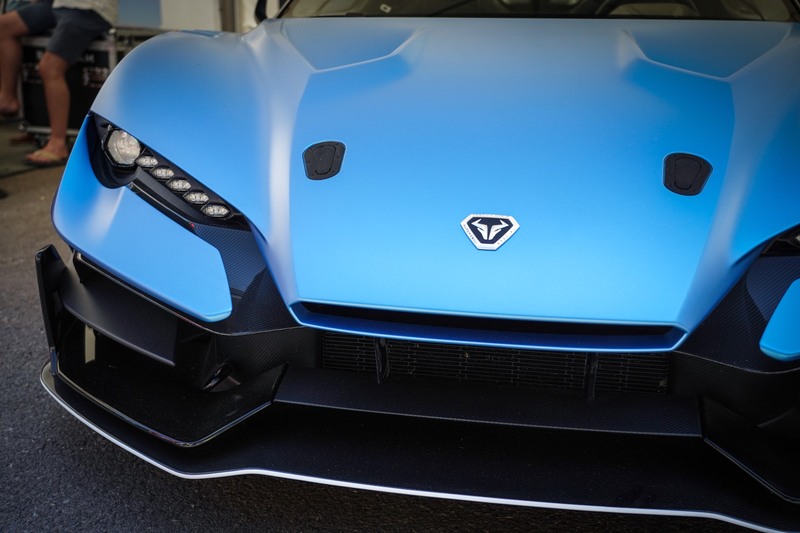 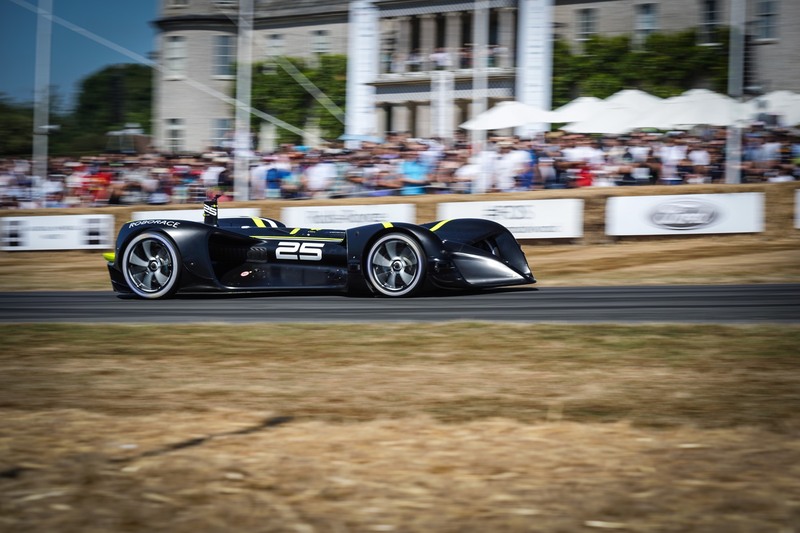 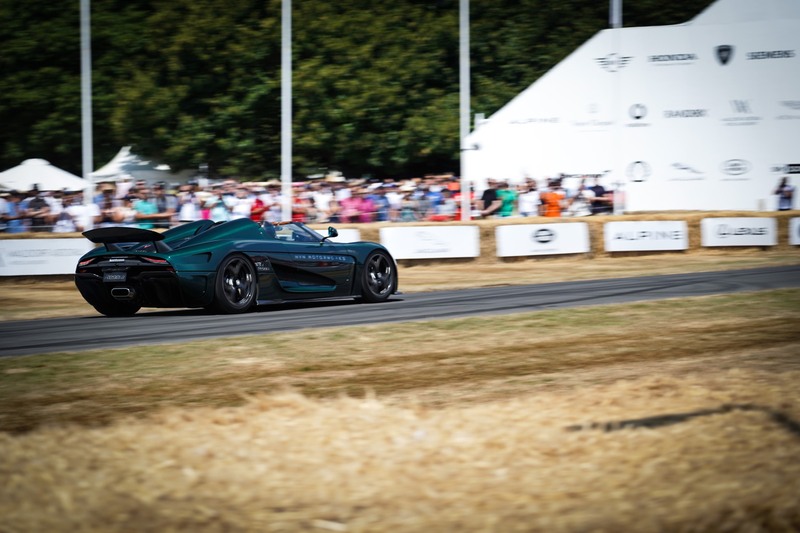 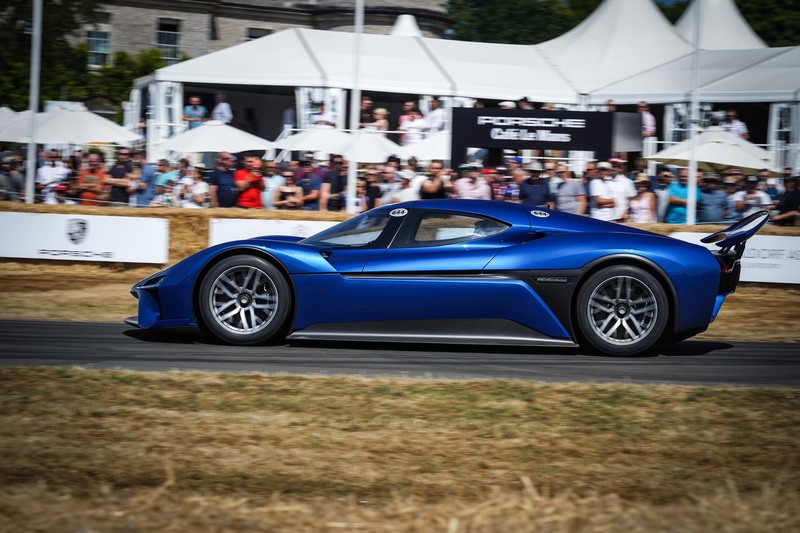 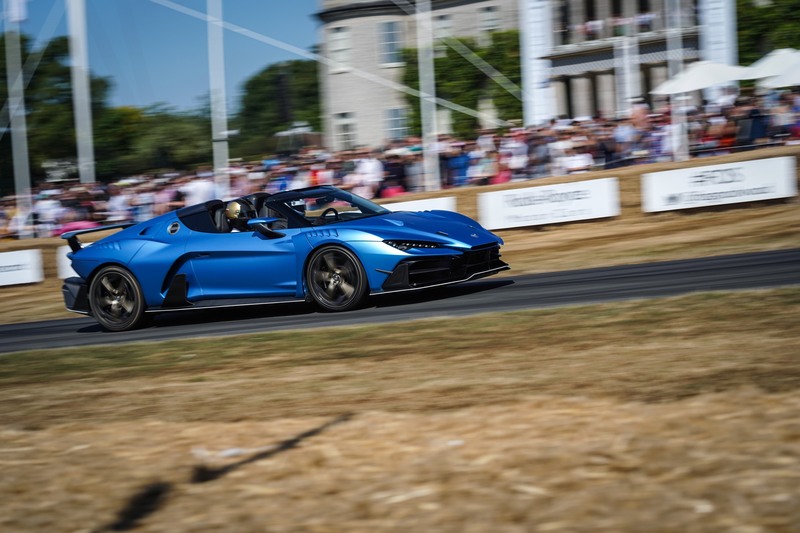 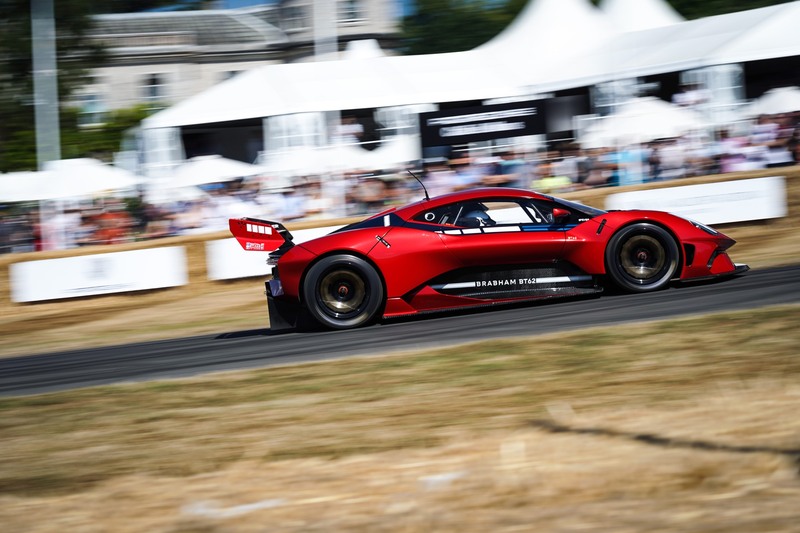 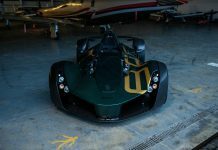 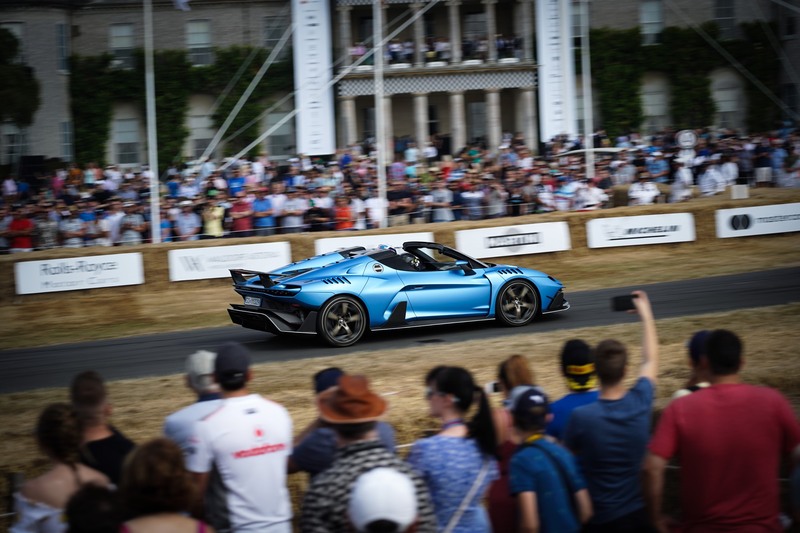 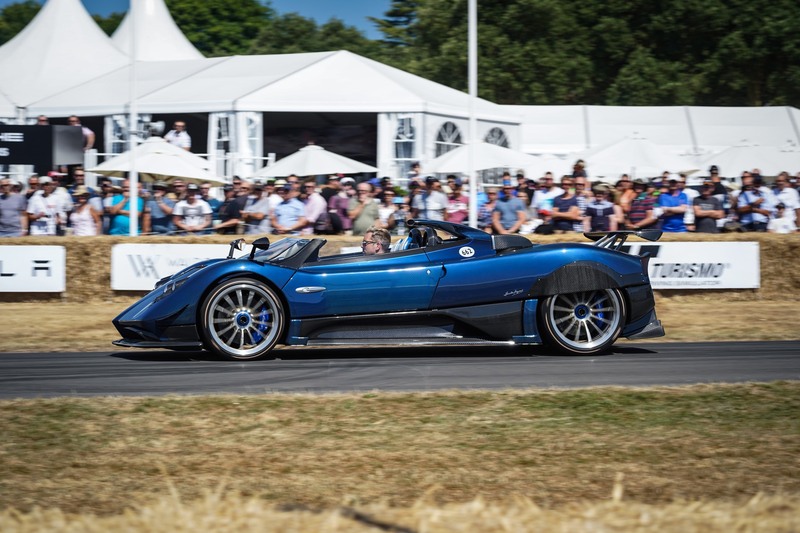 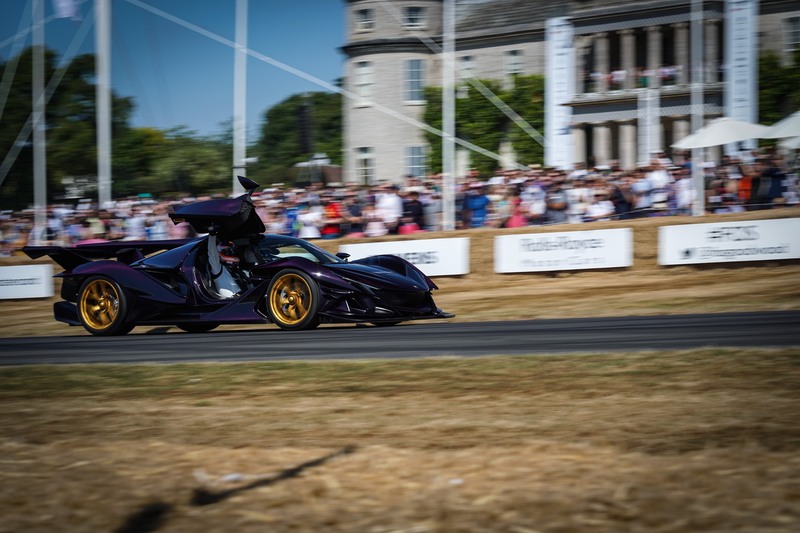 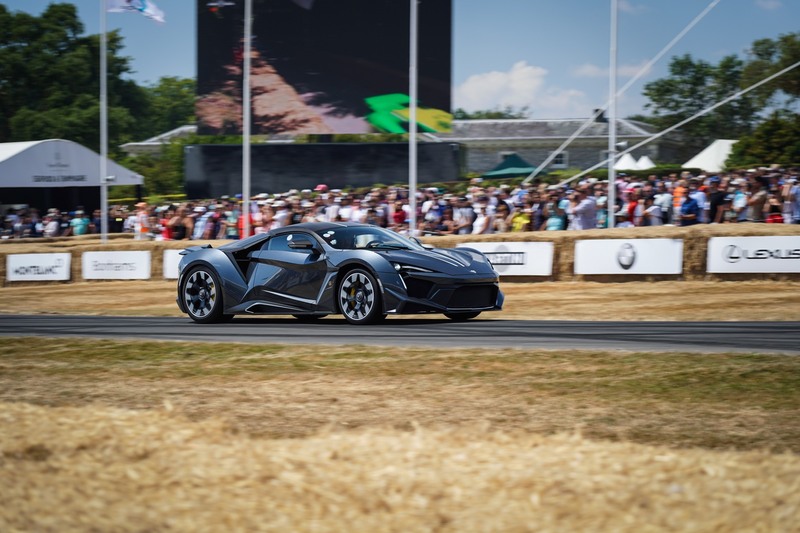 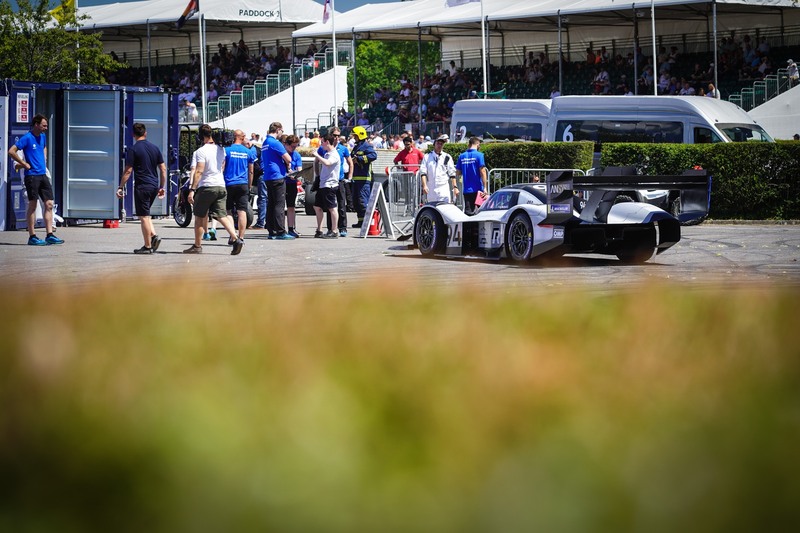 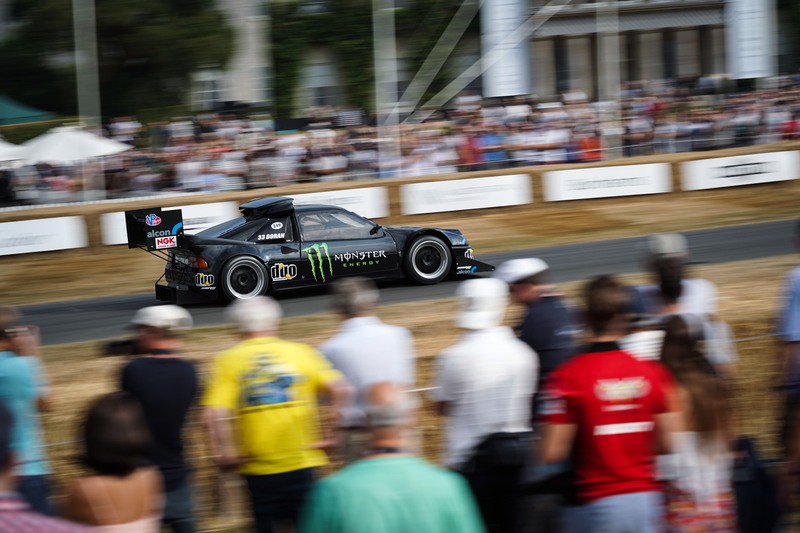 One of the fastest cars on the hill was the Chinese Nio EP9 which was only narrowly beaten on the hill climb by Volkswagen’s Pikes Peak car. 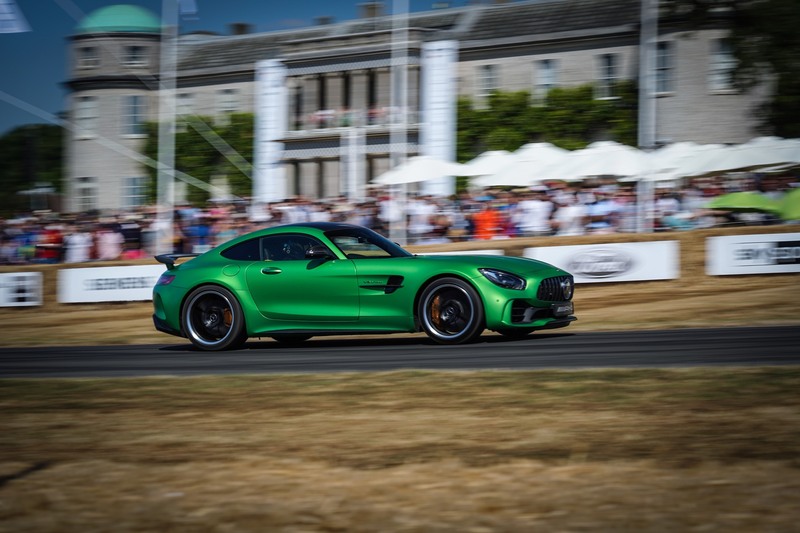 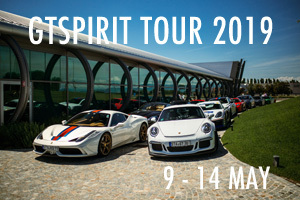 We saw dynamic debuts from the Mercedes-AMG GT sedan as well as the Ferrari 488 Pista. 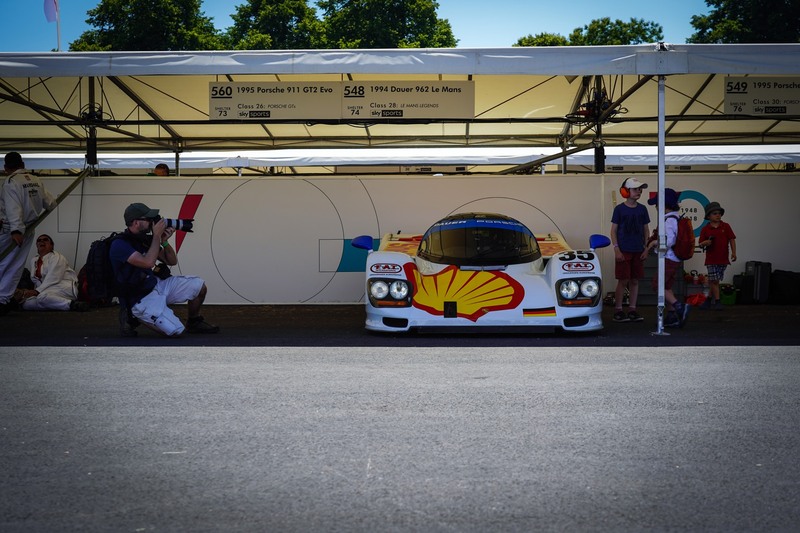 Away from the modern machinery, there was a display of the most iconic cars over the 25 years. 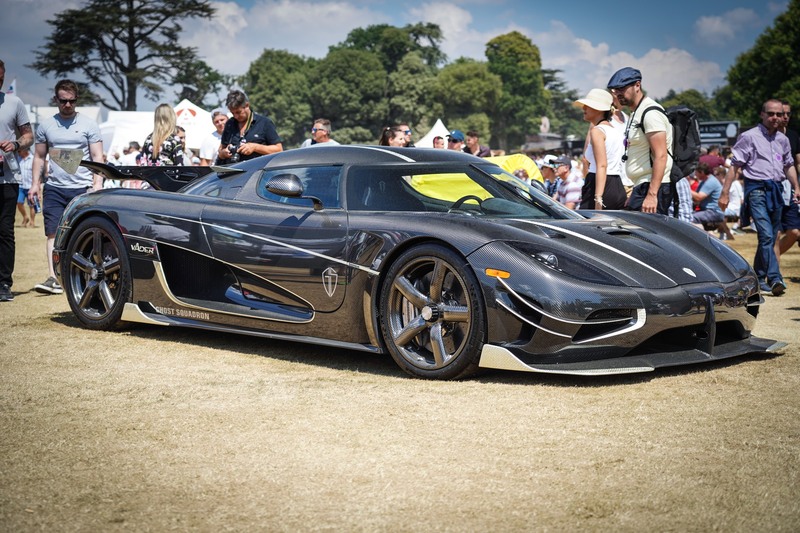 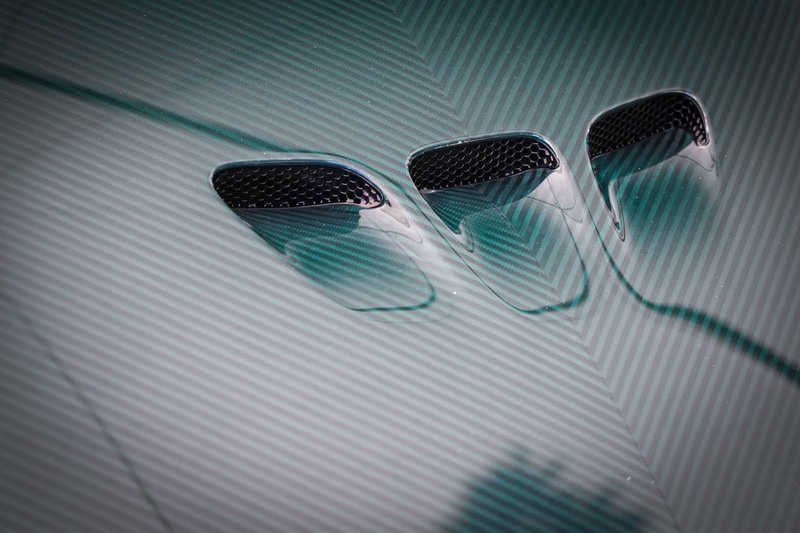 These ranged from the McLaren F1 right up to the Koenigsegg Thor, one of the final edition Agera’s. 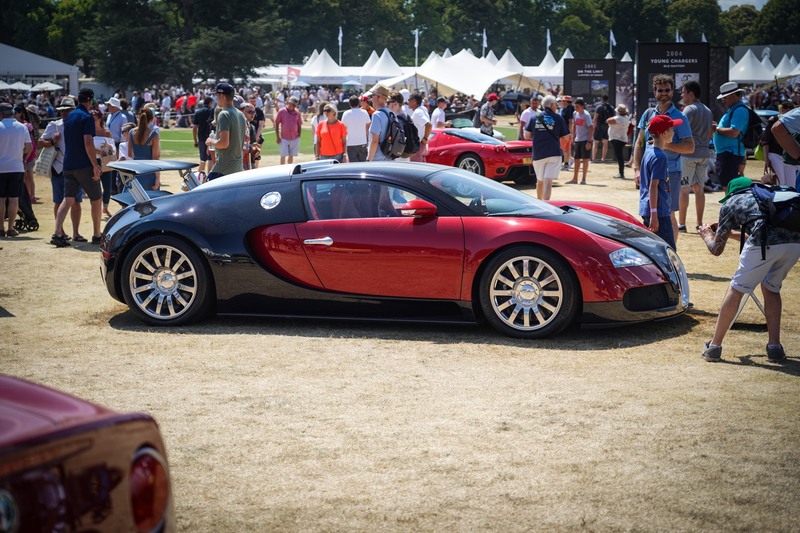 The display also included a Veyron and a Ferrari F50. 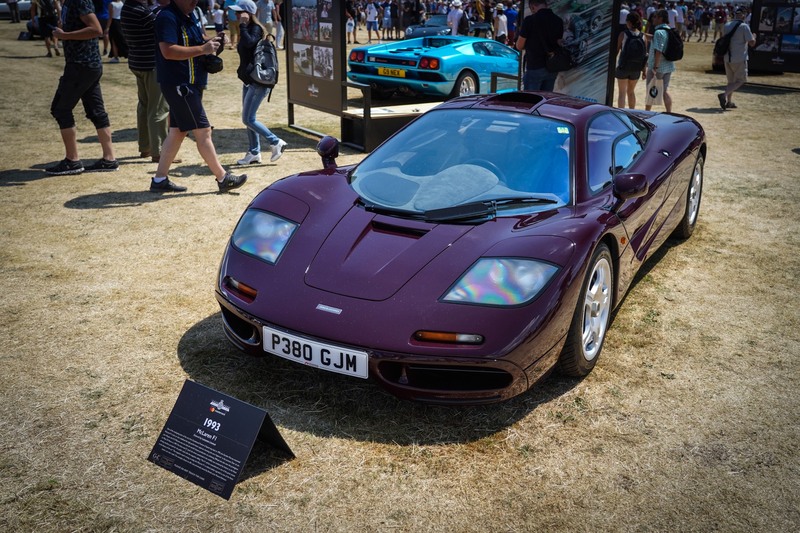 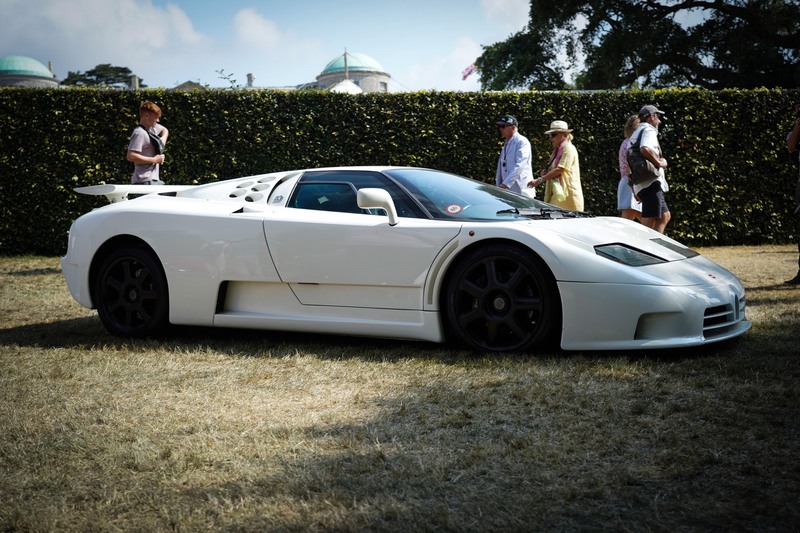 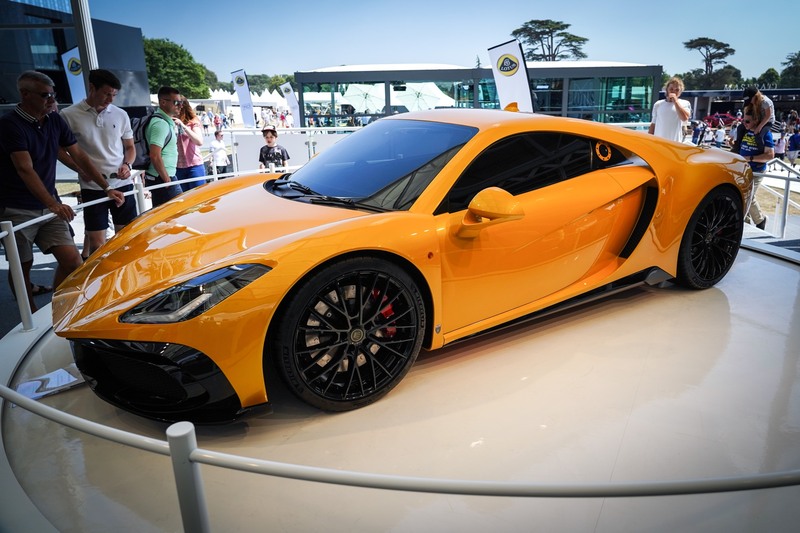 The Cartier Concours d’Elegance gathered together an exciting mix of early motorcars alongside another McLaren F1 and a Bugatti EB110. 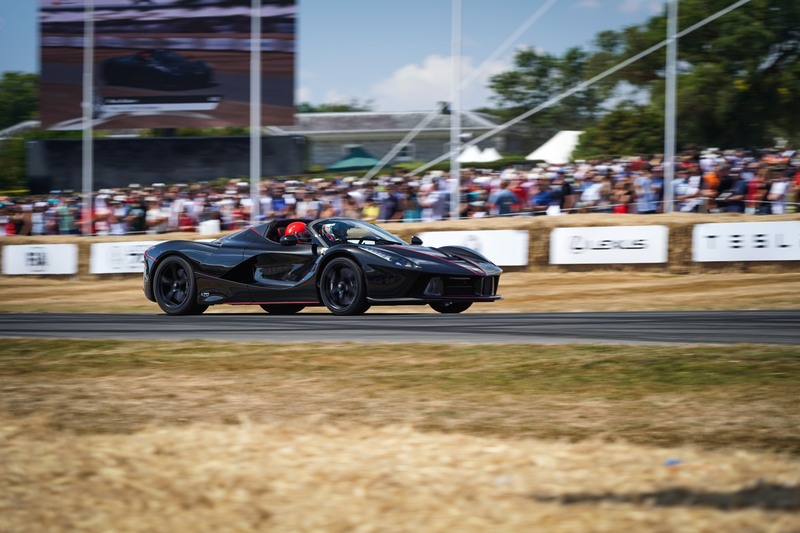 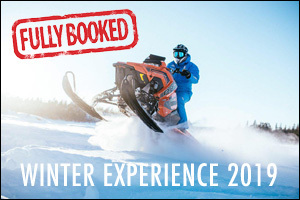 For many, the sound of a modern Formula 1 car charging up the hill or performing donuts is enough to justify the entrance fee. 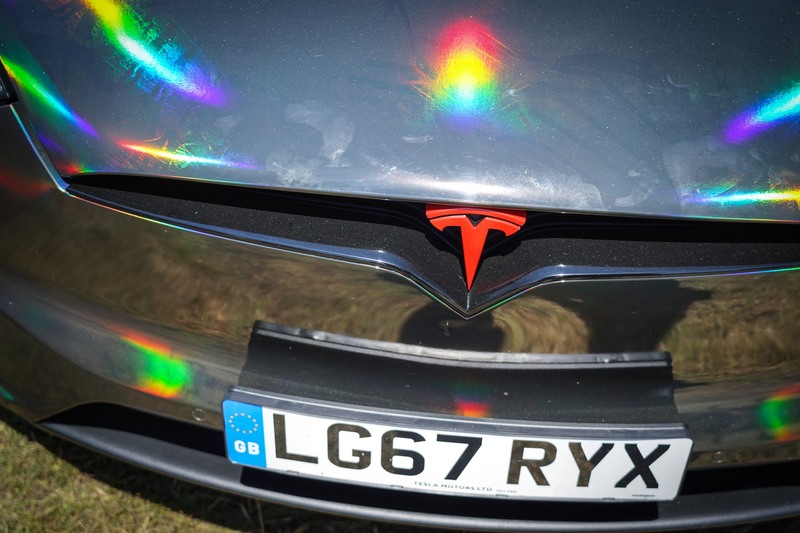 We saw plenty of that! 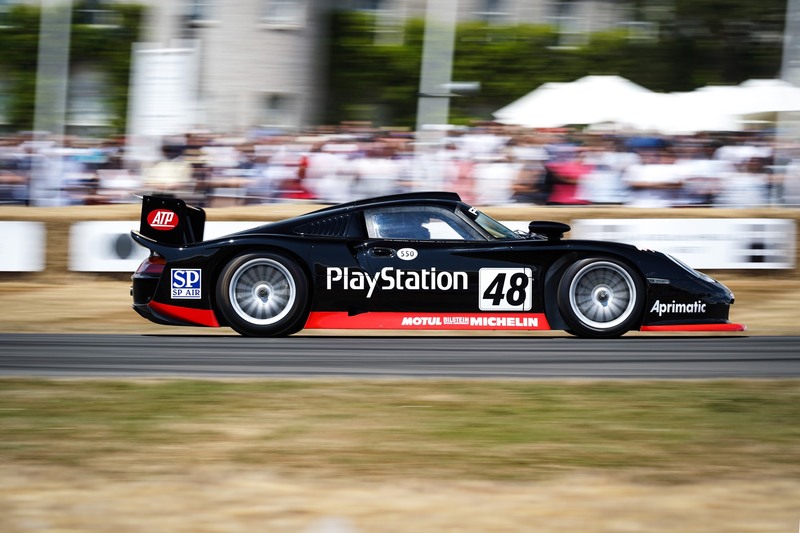 It was Porsche’s anniversary year too which meant that there was an entire class of cars dedicated to the brand. 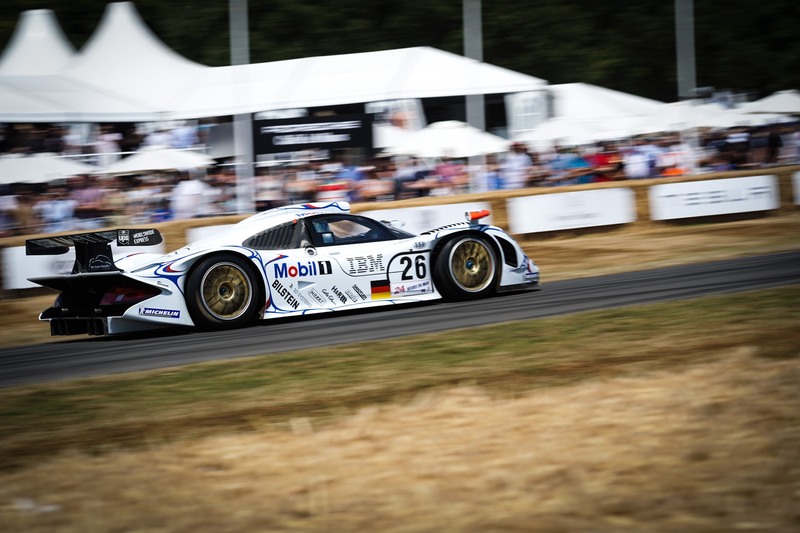 The cars ranged from classic Porsche 917’s to iconic Porsche Carrera GT’s, together with everything else in this middle! 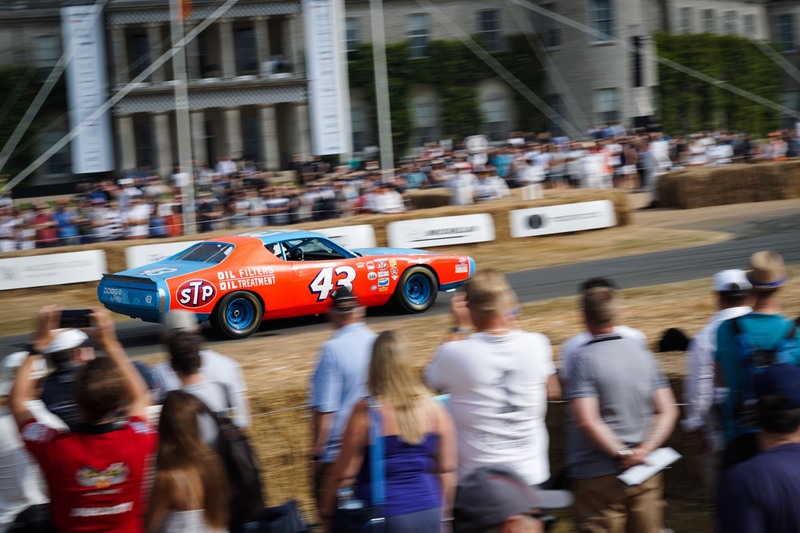 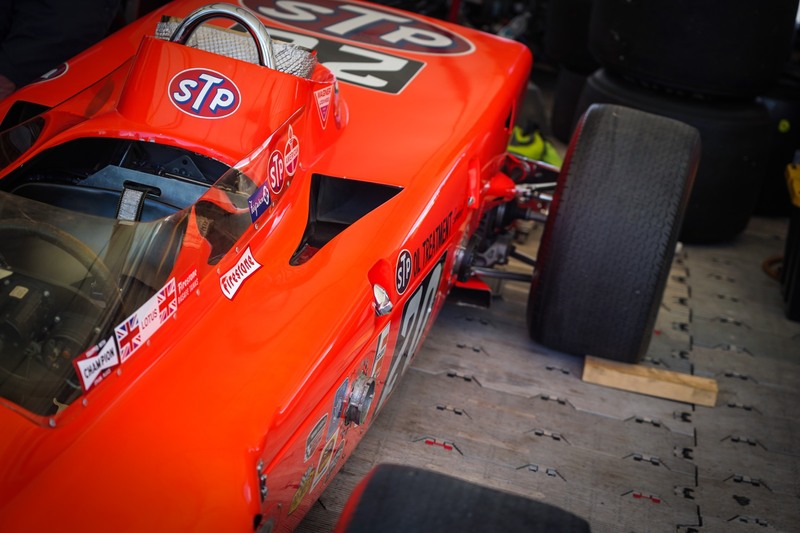 The Festival of Speed really is a fantastic event. 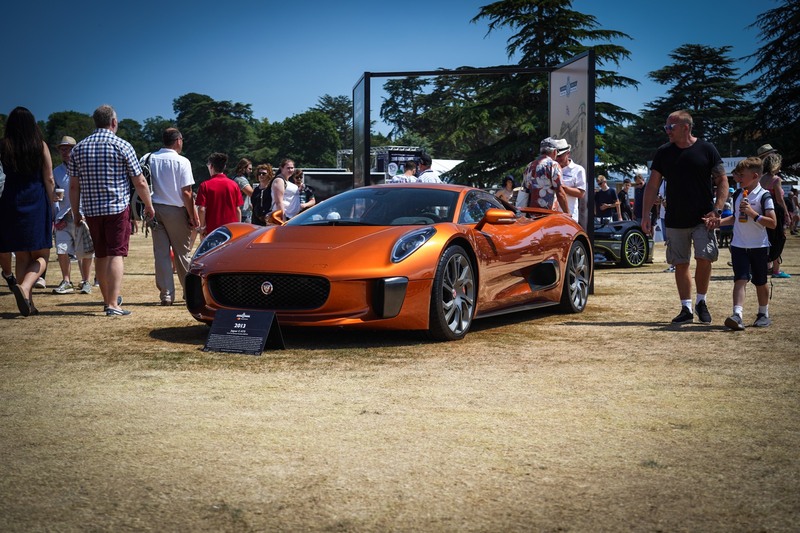 We hop you enjoy the photos!